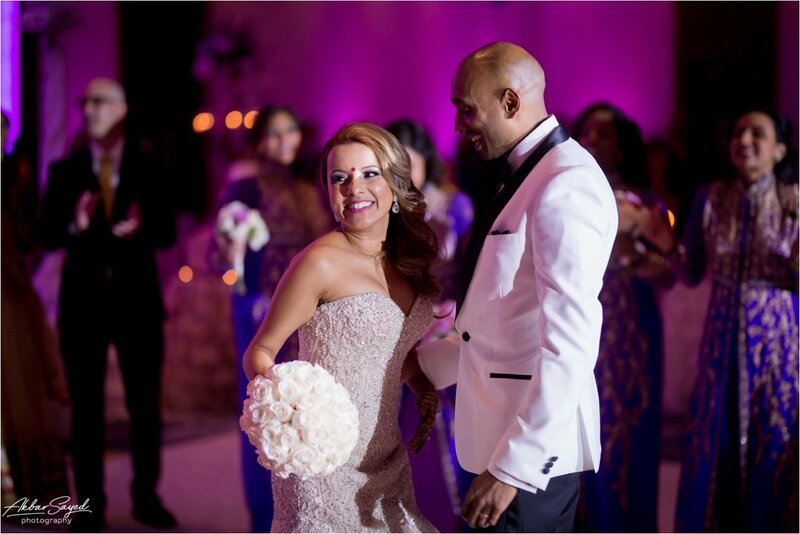 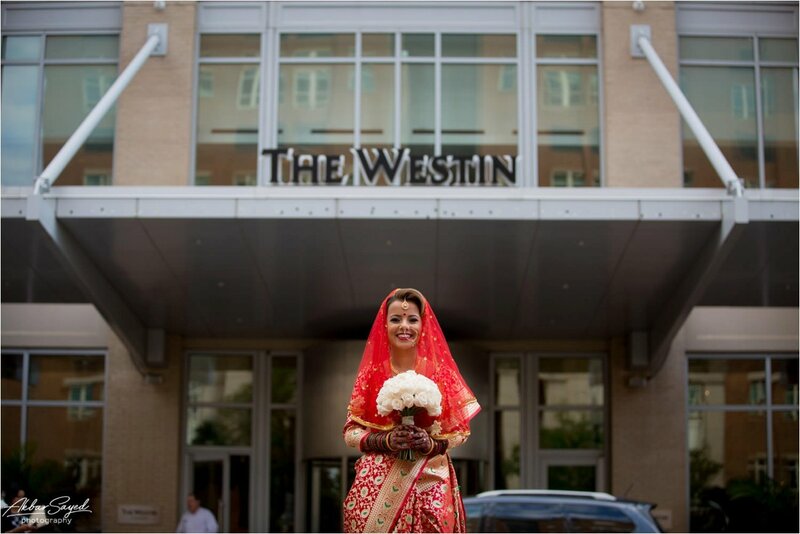 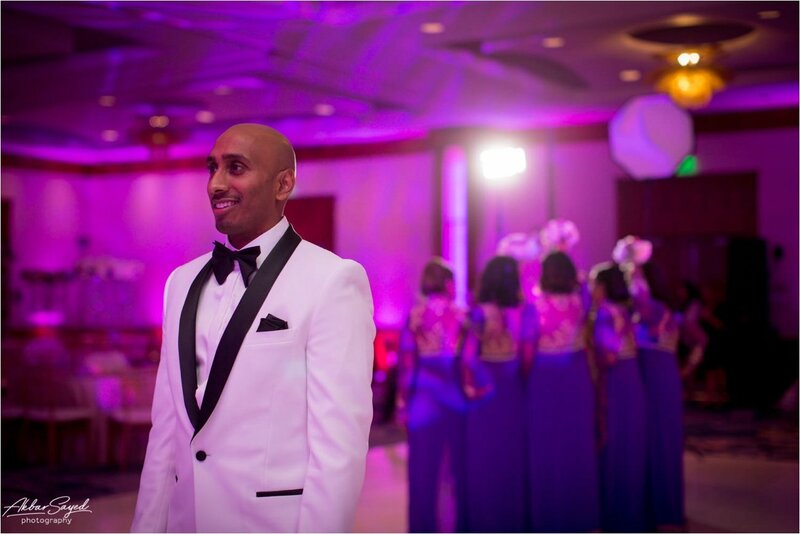 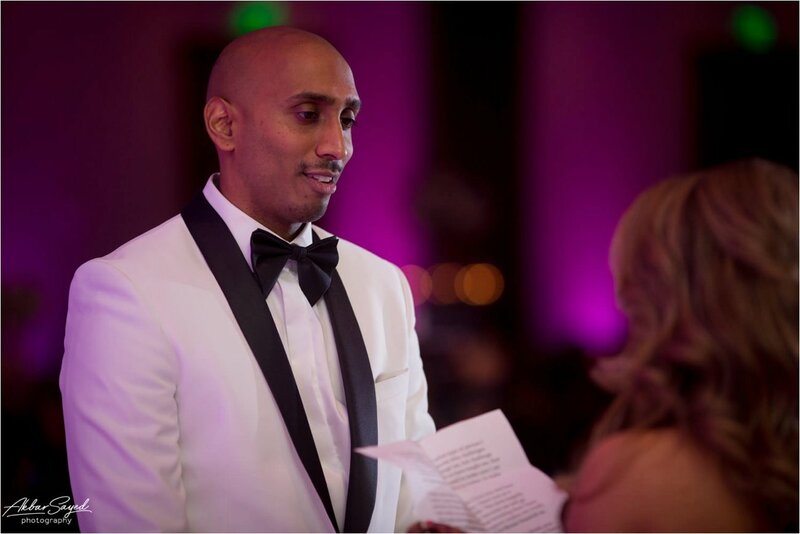 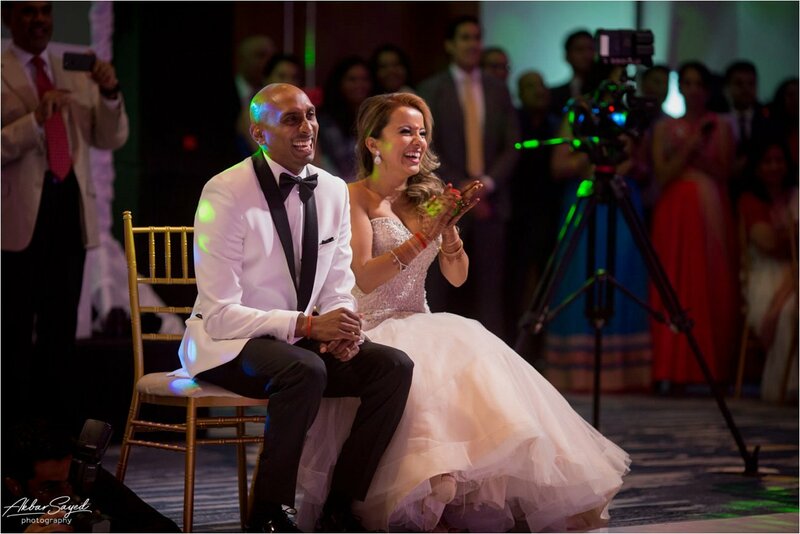 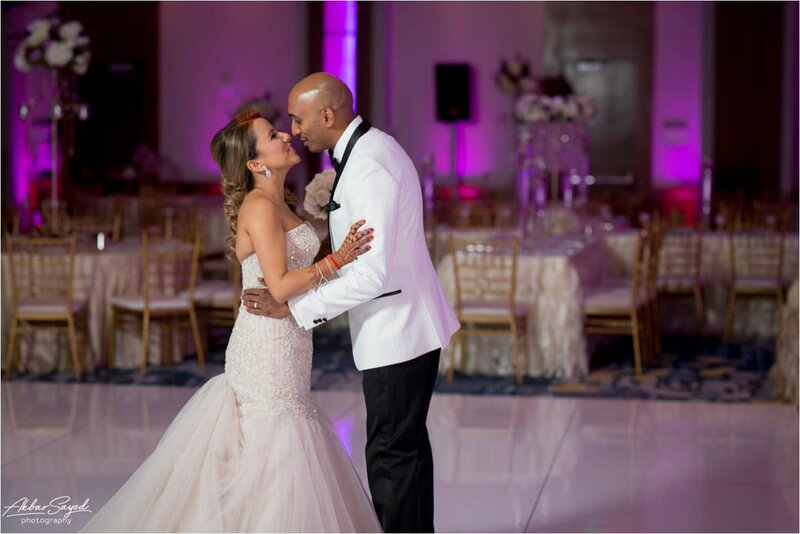 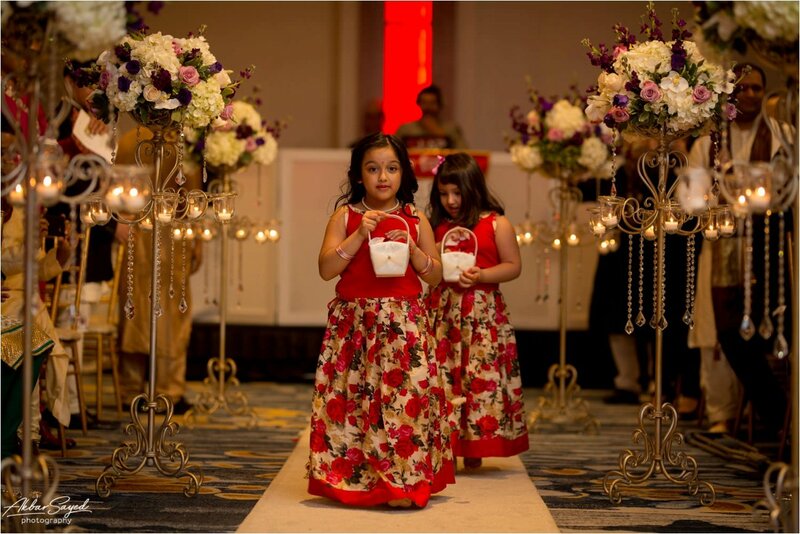 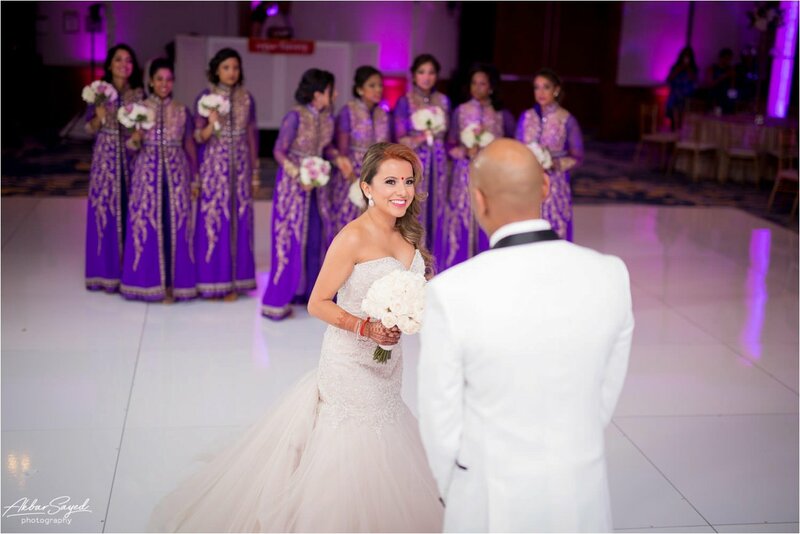 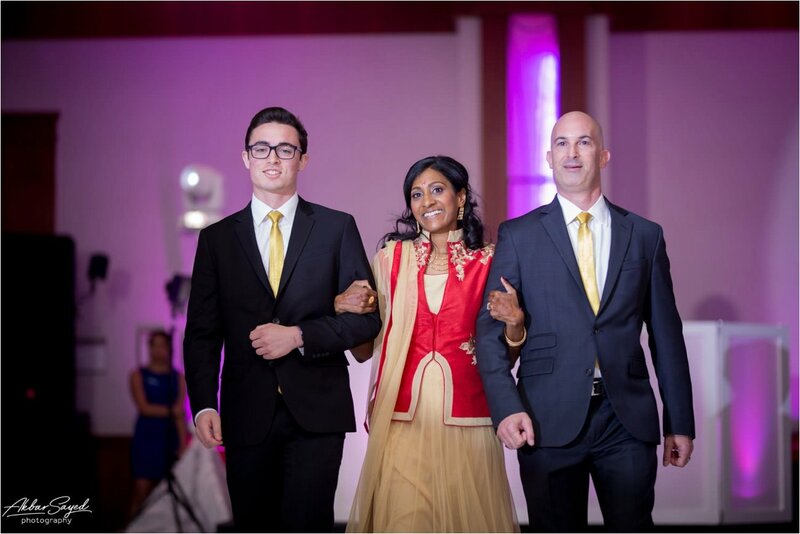 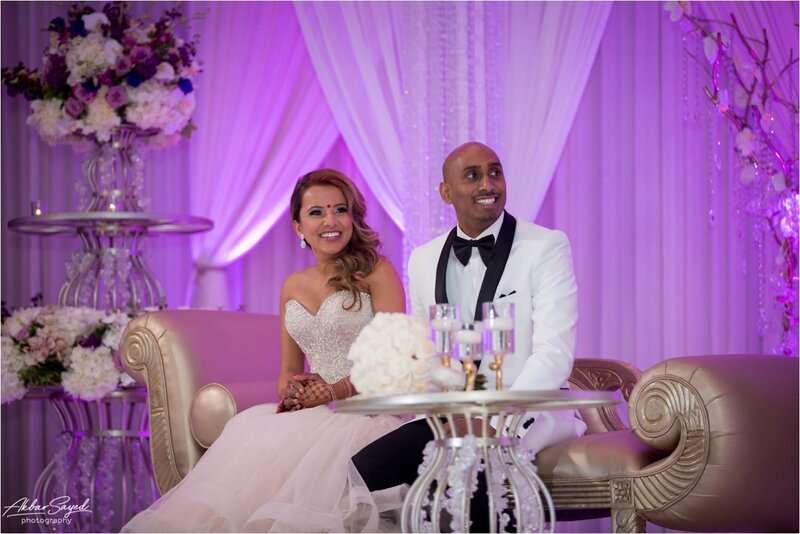 Arjoo and Sharath were married on May 27th, at the Westin Alexandria Wedding where I was honored to join them for the Ceremony and reception of this grand event! 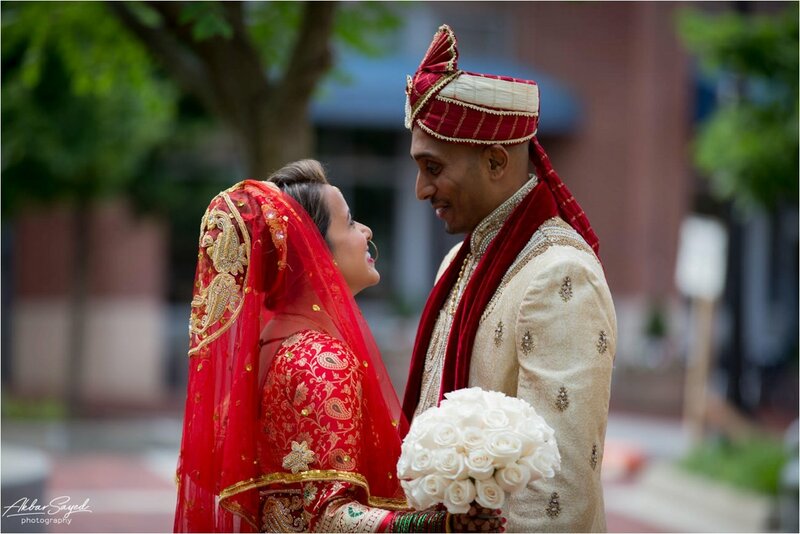 Recently, I posted the engagement session that I did with these two and told you their love story: They met while Sharath was in Washington, D.C., for Barack Obama’s 2009 inauguration and ended up staying with some of Arjoo’s friends. 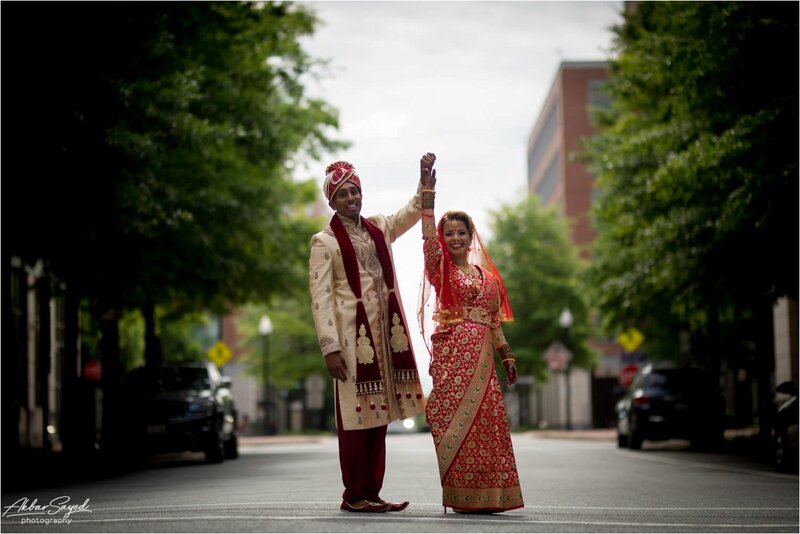 They both felt like they had such a special connection, especially since their friends and family already knew each other so well. 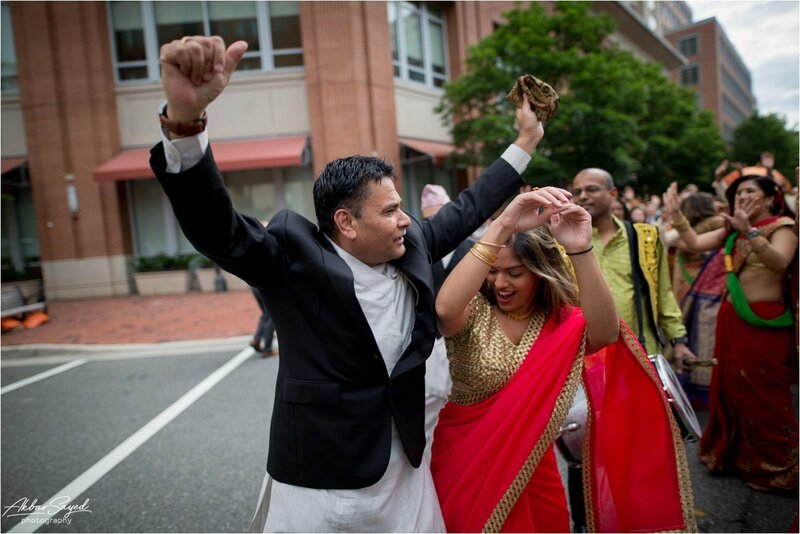 Then, on Arjoo’s 31st birthday, Sharath proposed right in front of the White House. 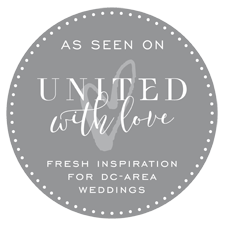 You can see their Washington D.C. engagement shoot here. 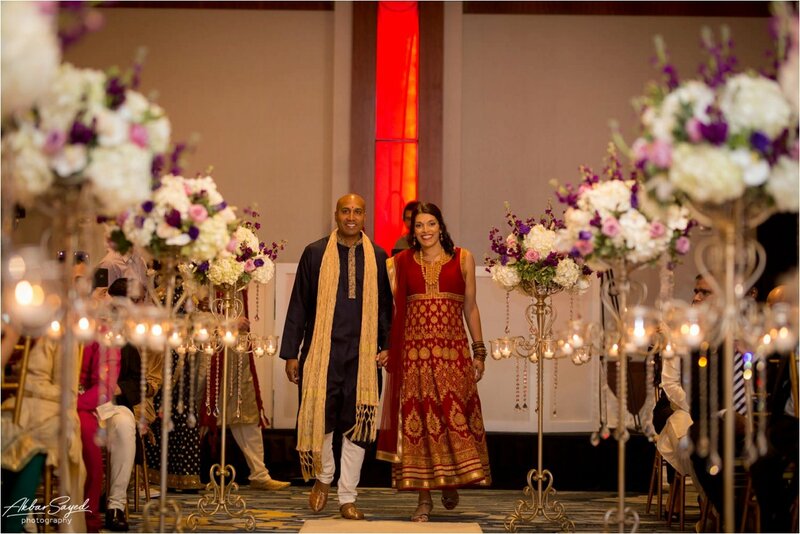 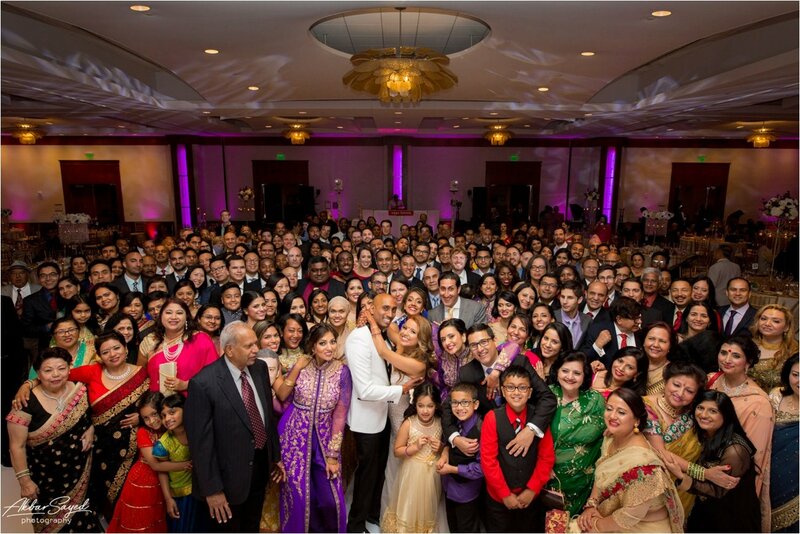 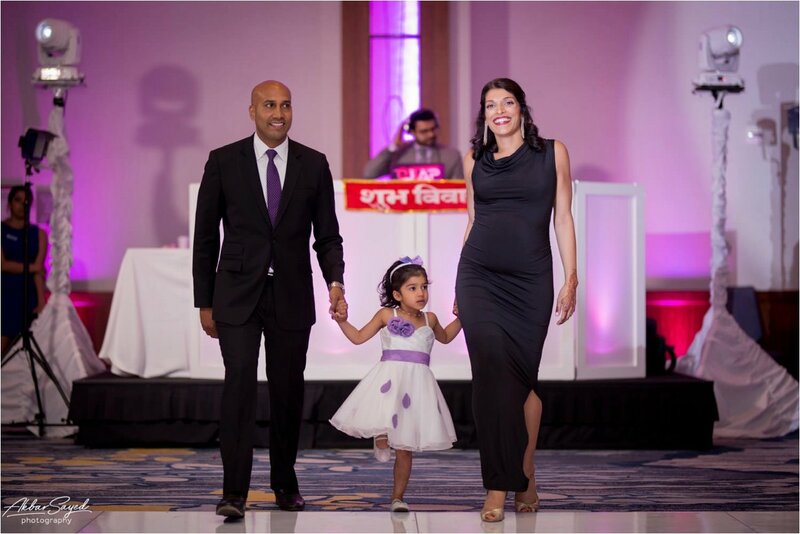 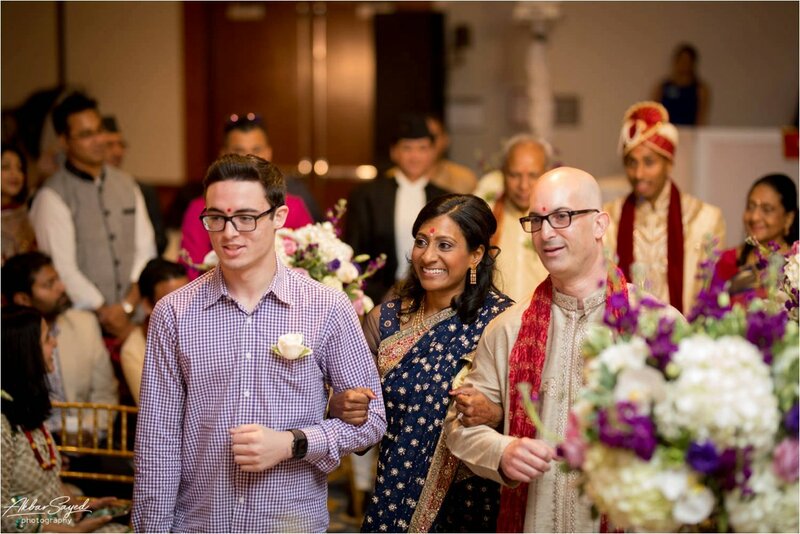 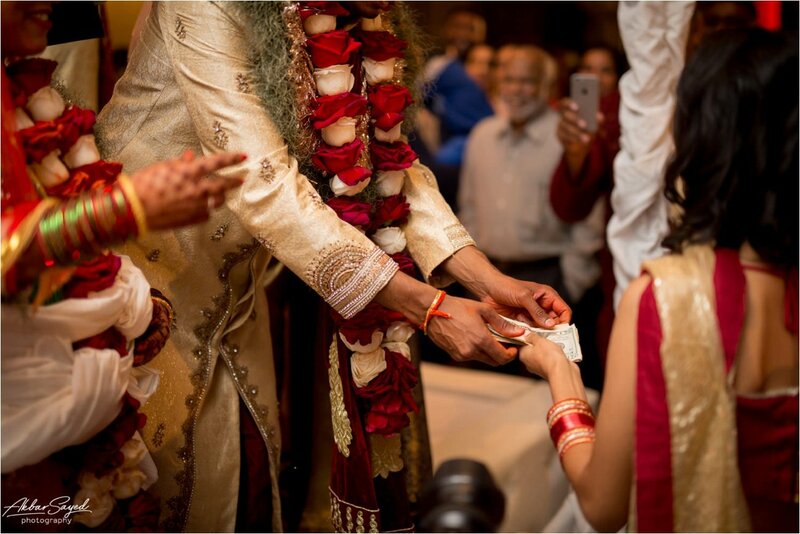 This was a fusion wedding, even though both Arjoo and Sharath are Hindu. 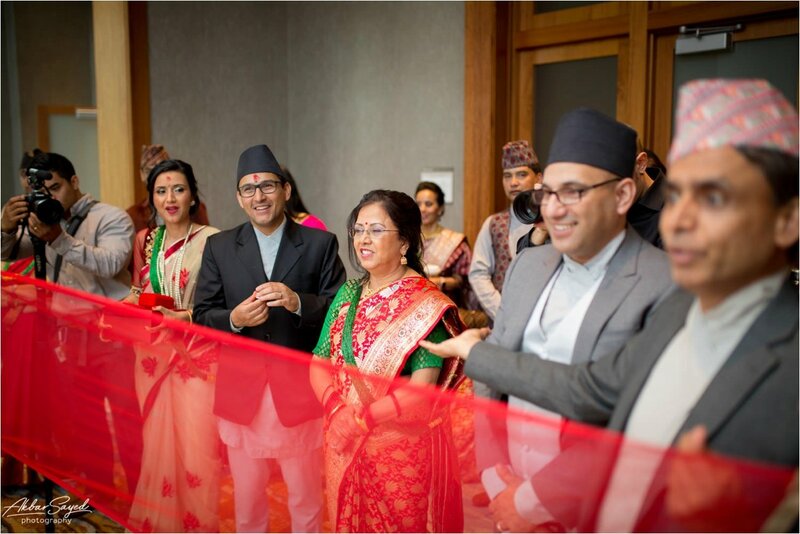 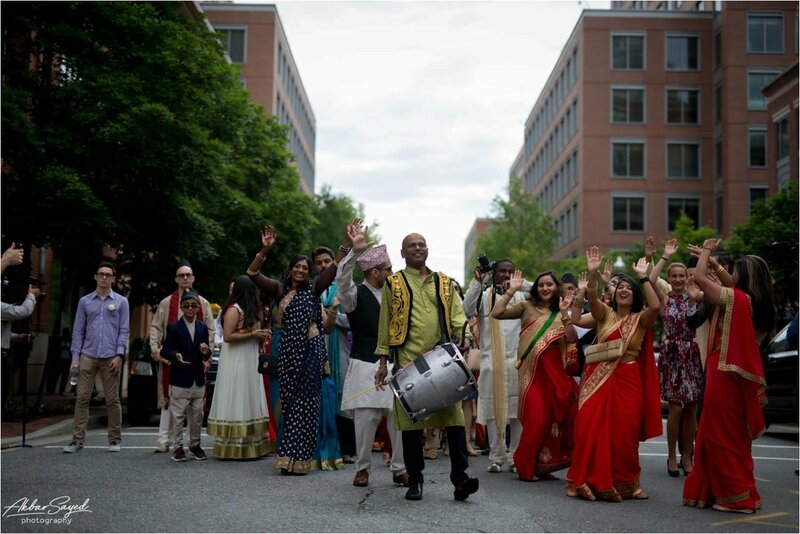 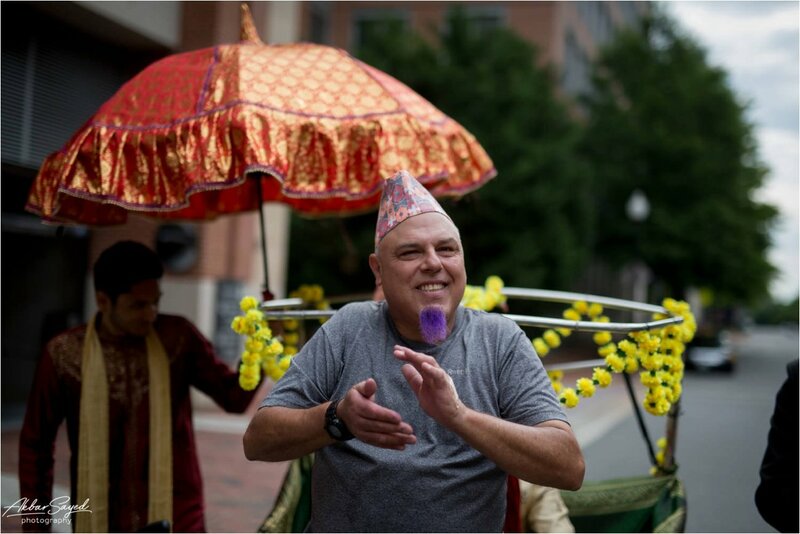 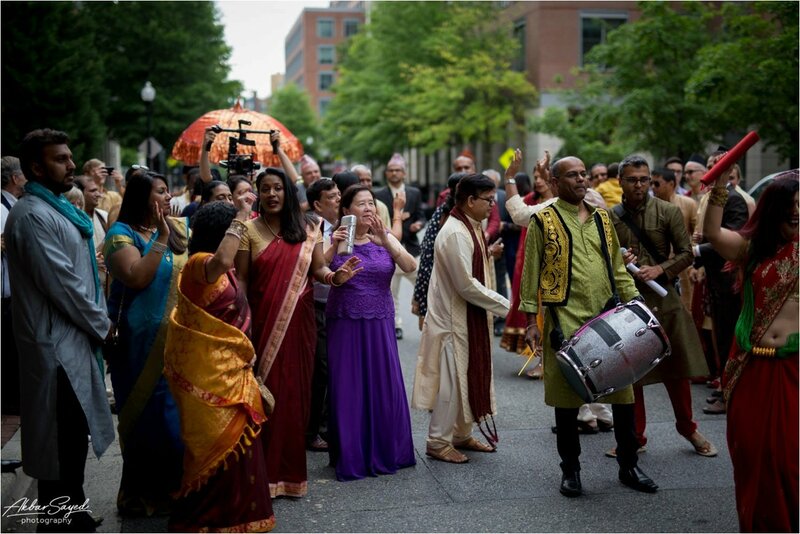 Because Arjoo is from Nepal and Sharath is from South India, there are different subcultures there, and they made sure that both sides were represented for this celebration. 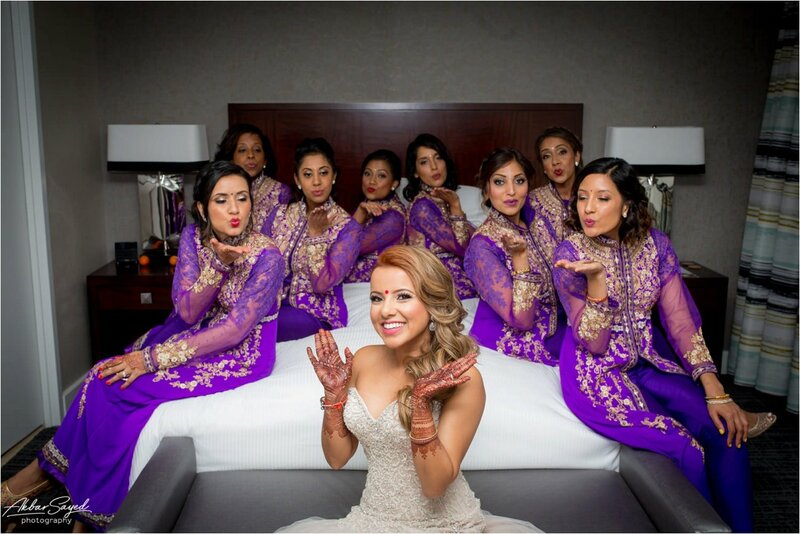 I started out the morning with Arjoo and her bridesmaids, while my wife and second shooter, Nadia, was with Sharath and his family. 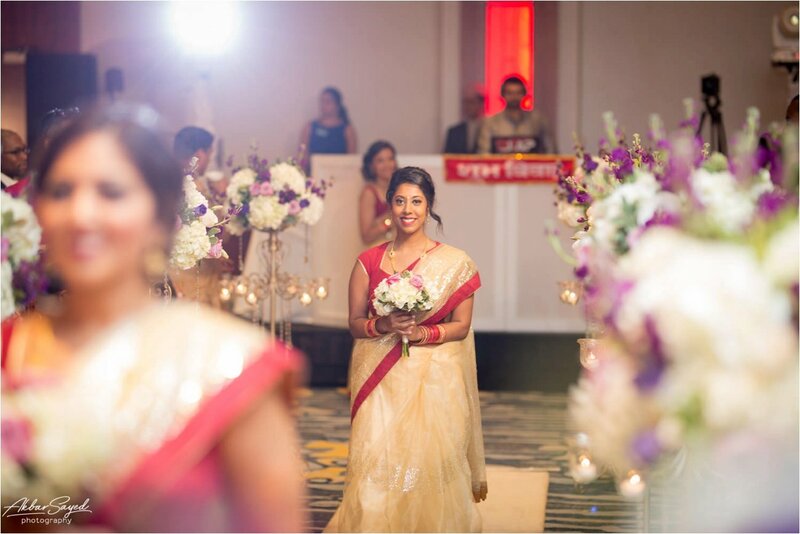 Jenny, who introduced Sharath and Arjoo was one of the bridesmaids. 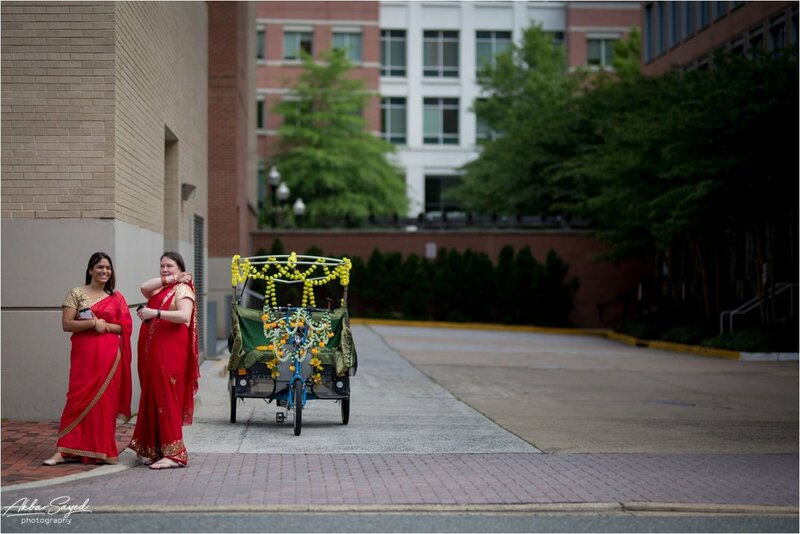 We planned a first look at the hotel and the surrounding area before heading to the ceremony itself. 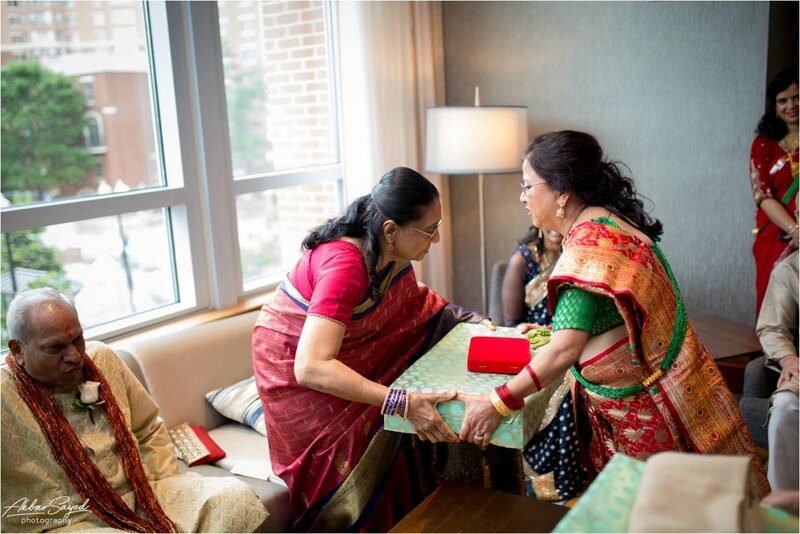 As was the case when I shot their engagements, I was struck so many times photographing these two by how gentle both Sharath and Arjoo were with one another. 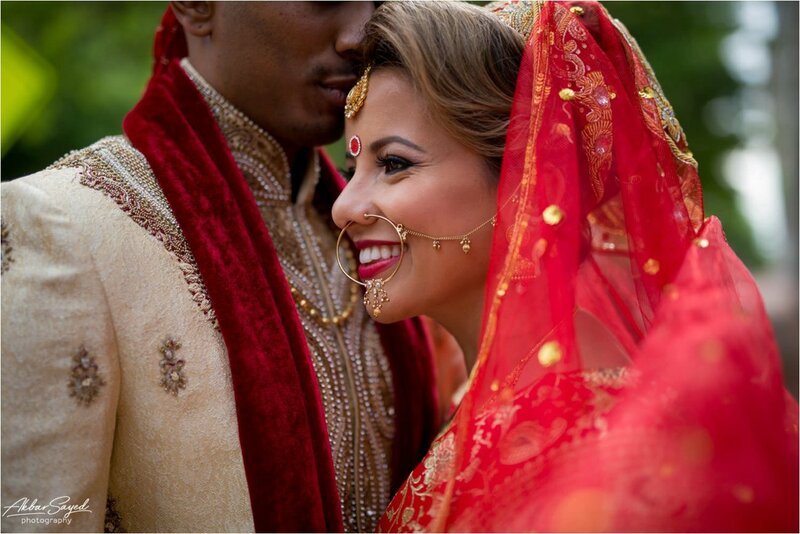 During the first look you could see Sharath literally lose his breath at the sight of her; it was so real, and so amazing to witness. 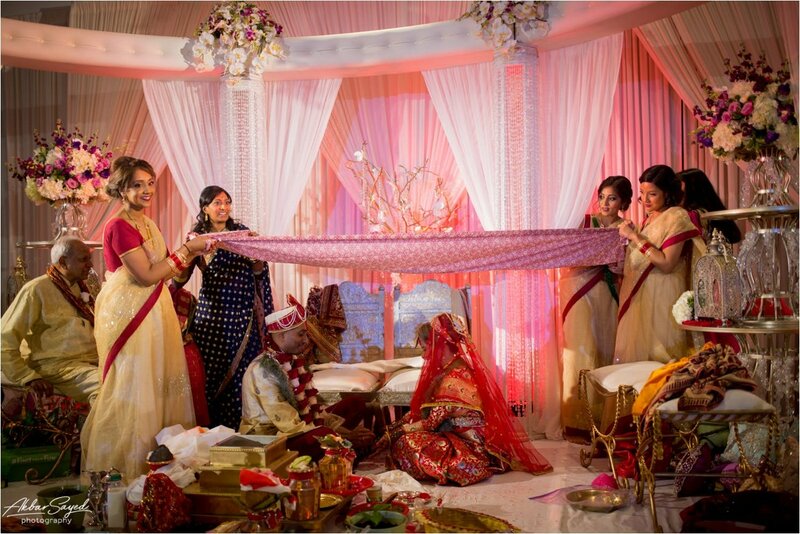 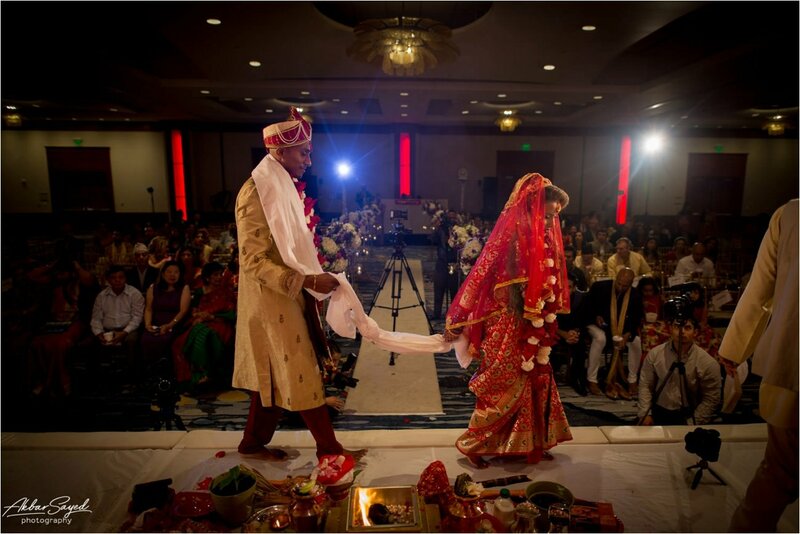 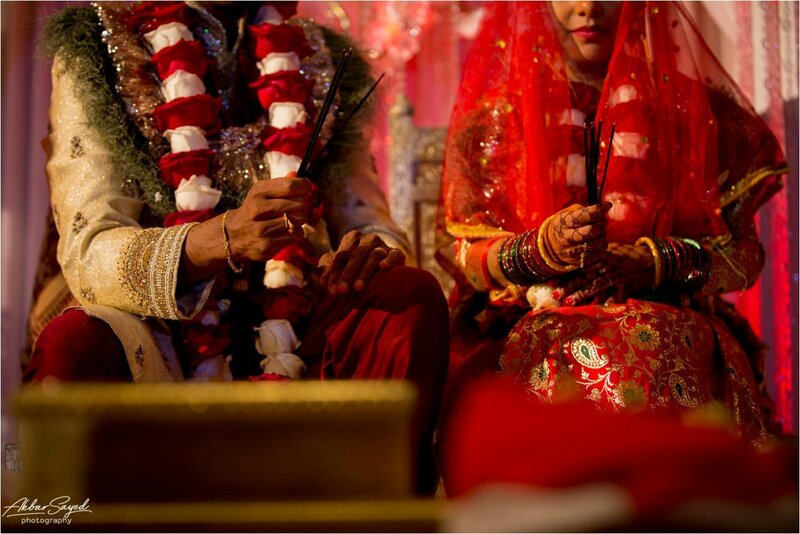 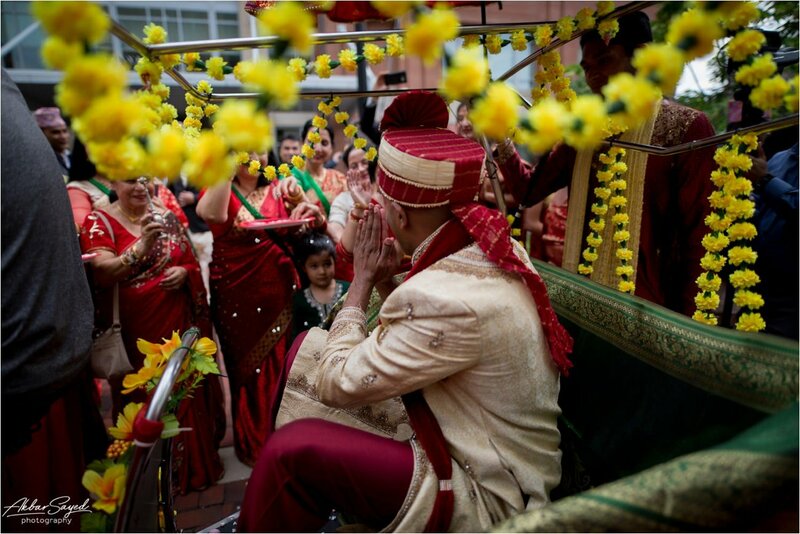 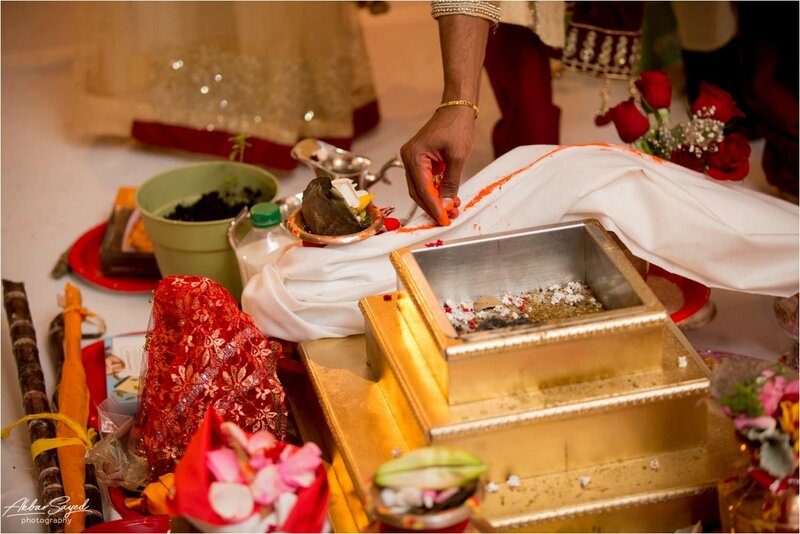 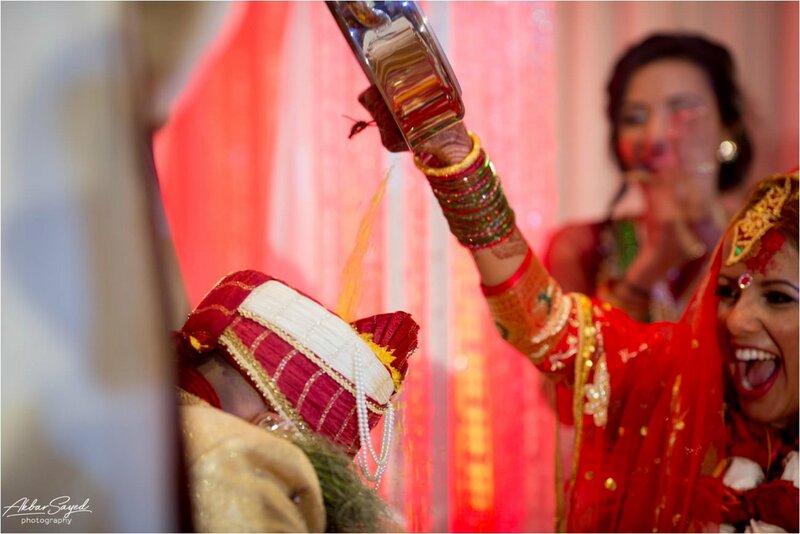 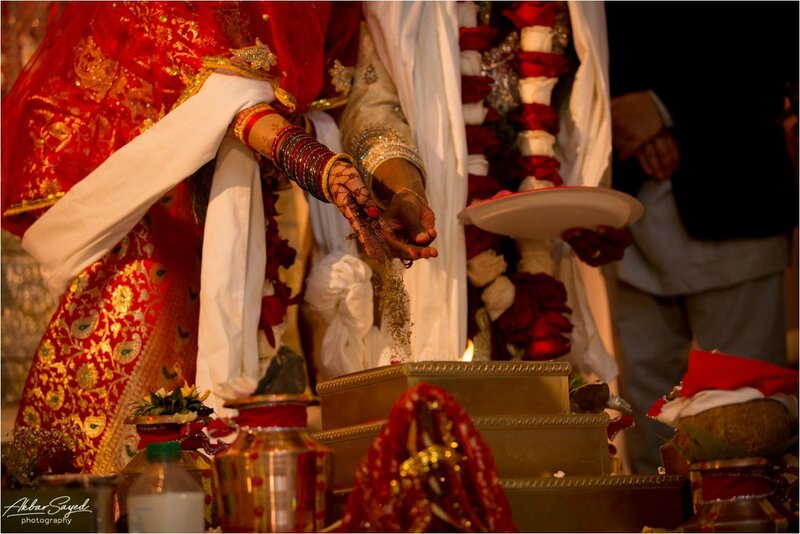 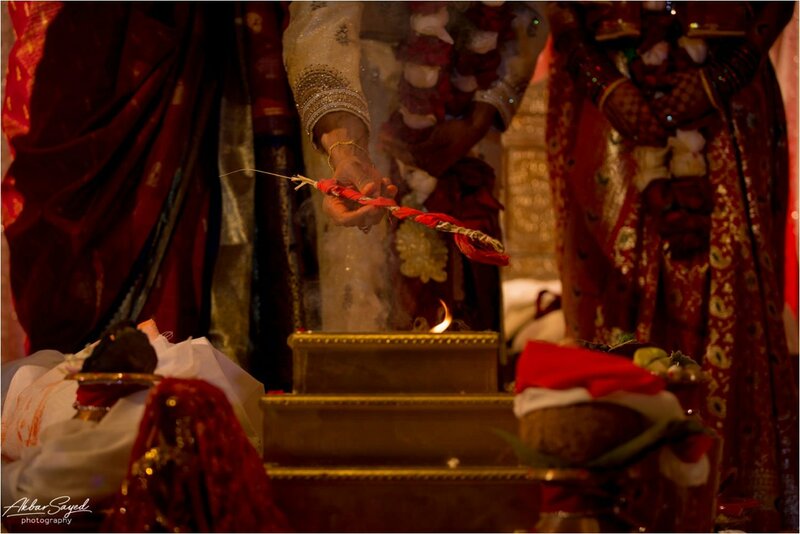 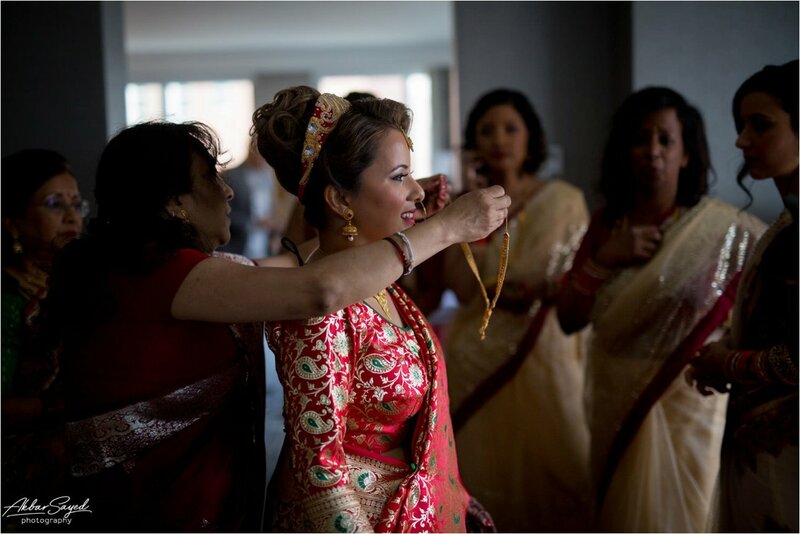 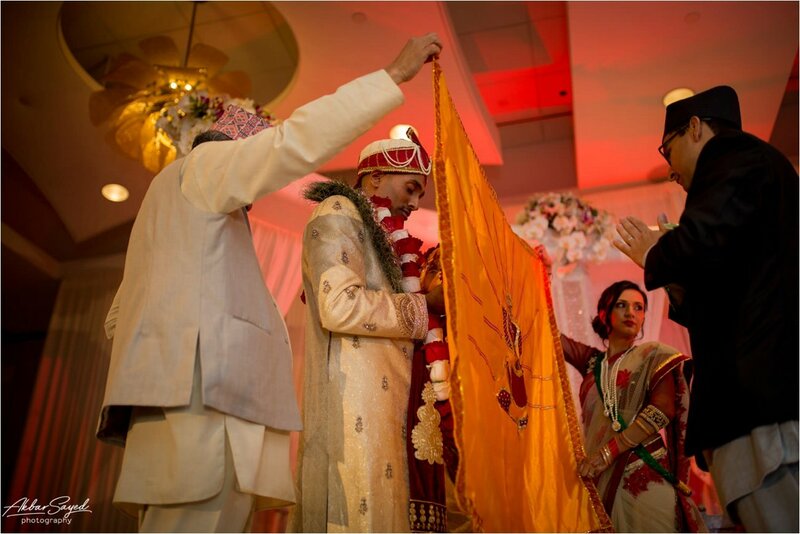 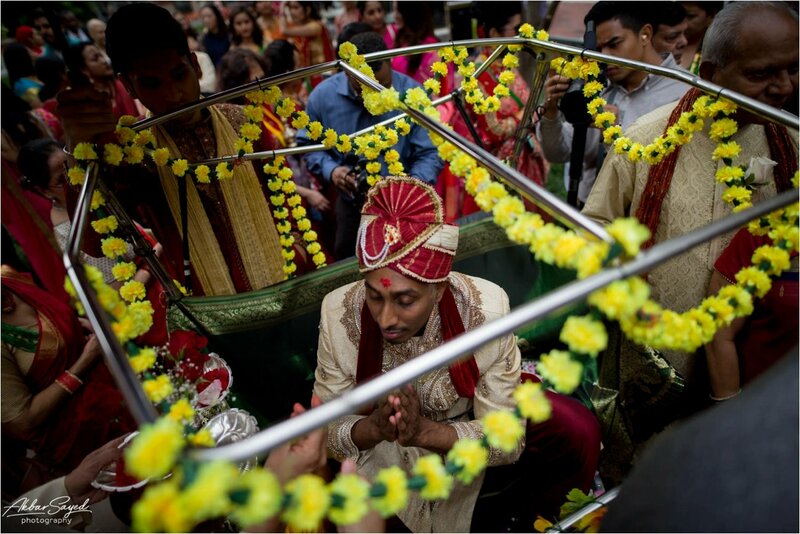 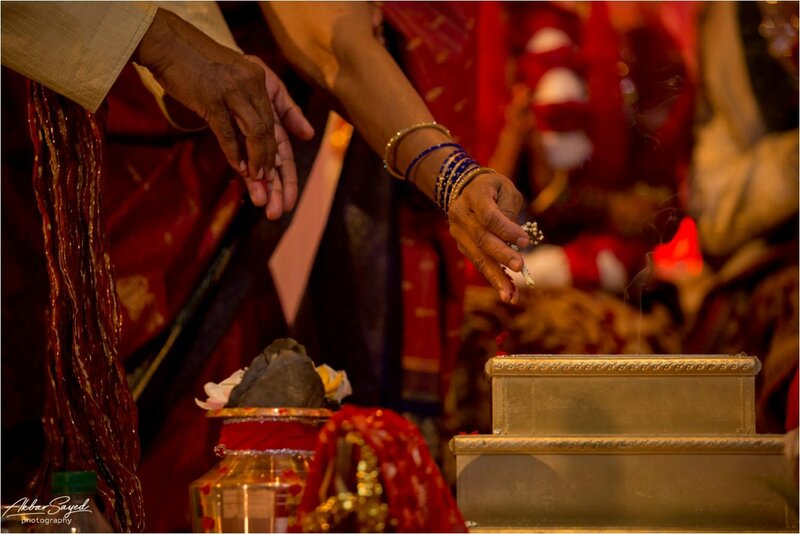 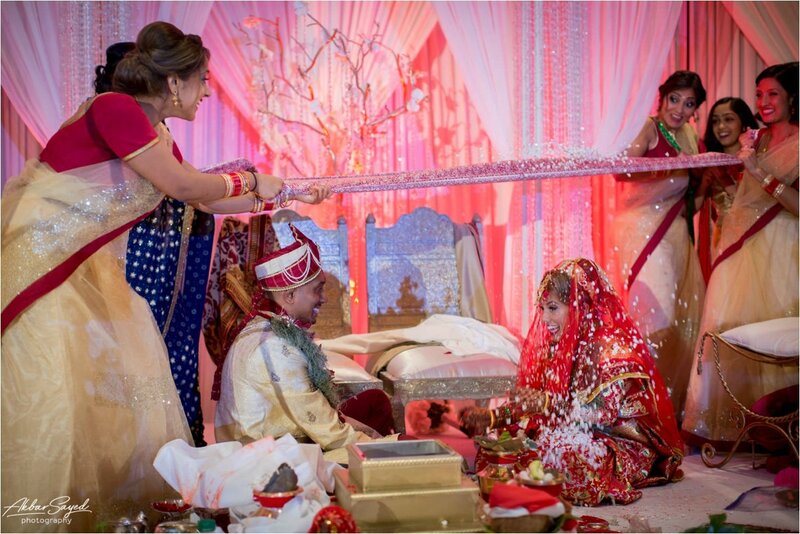 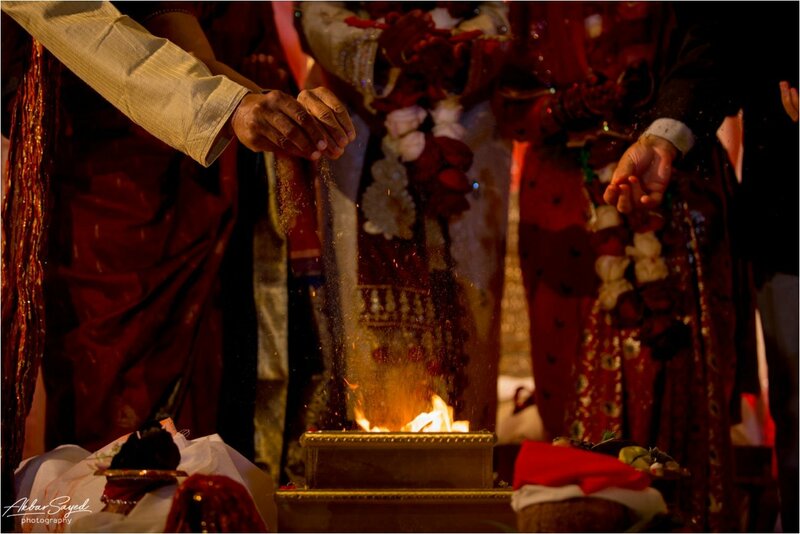 Arjoo began by blessing the ceremonial items on the stage, while the baraat assembly gathered near the parking garage. 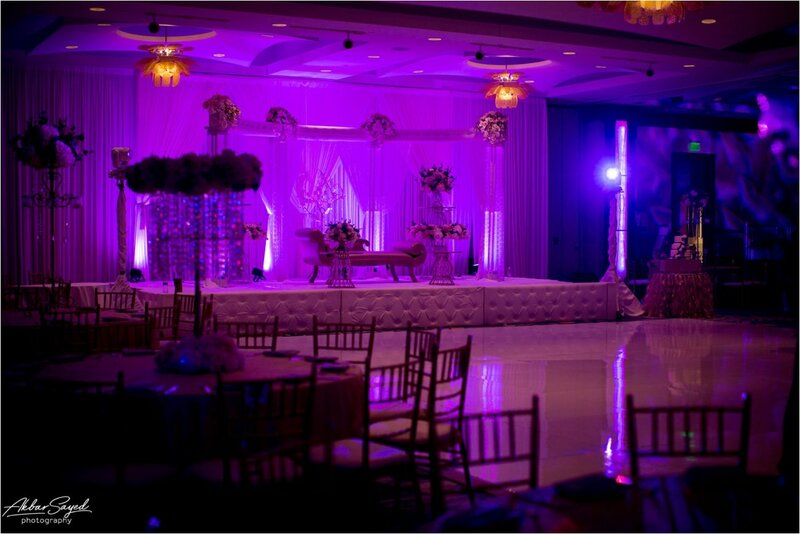 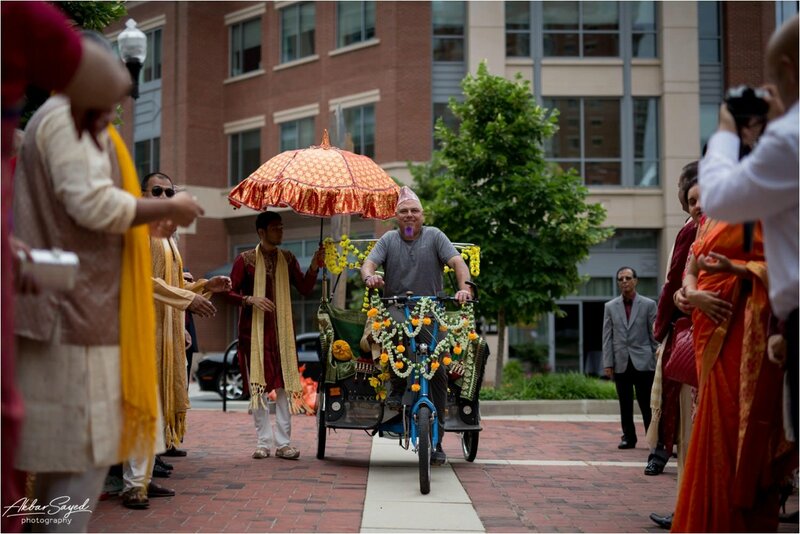 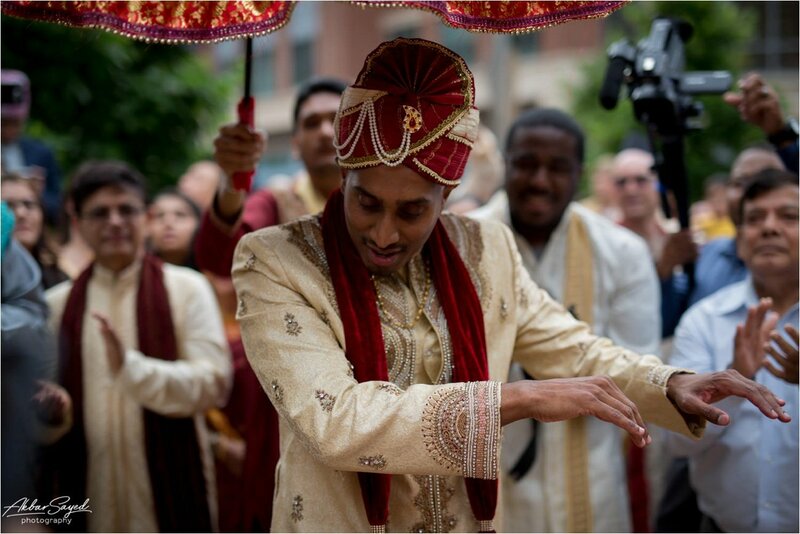 When Arjoo was finished, the ceremony door was opened, and the baraat began, ending in the courtyard fountain. 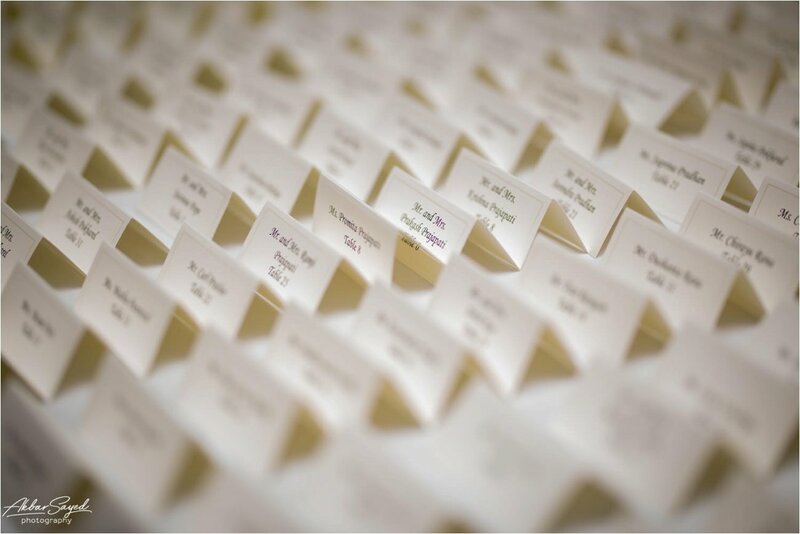 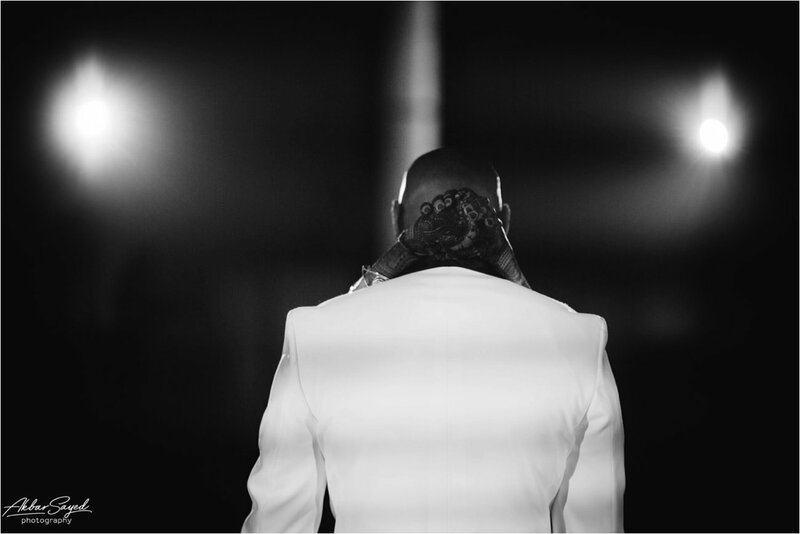 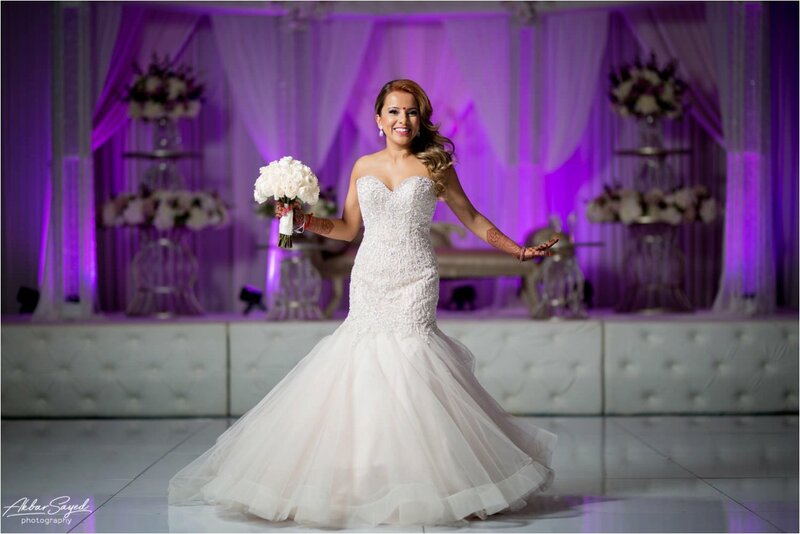 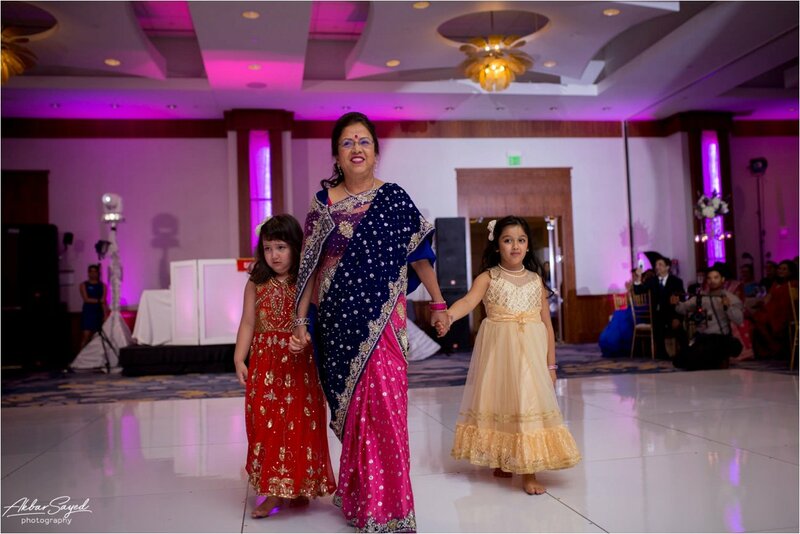 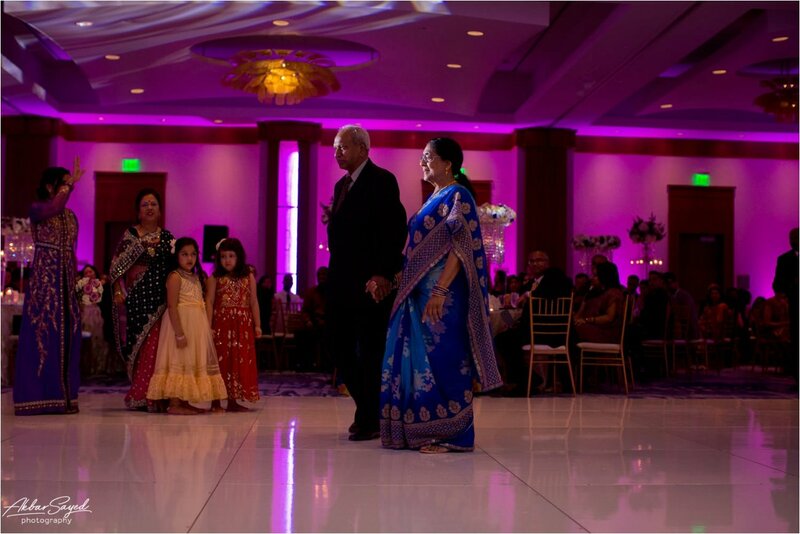 The guests settled into the ceremony hall, the bridesmaids had a mini dance in the aisle as they were introduced, and then the families made their entrances before the marriage itself. 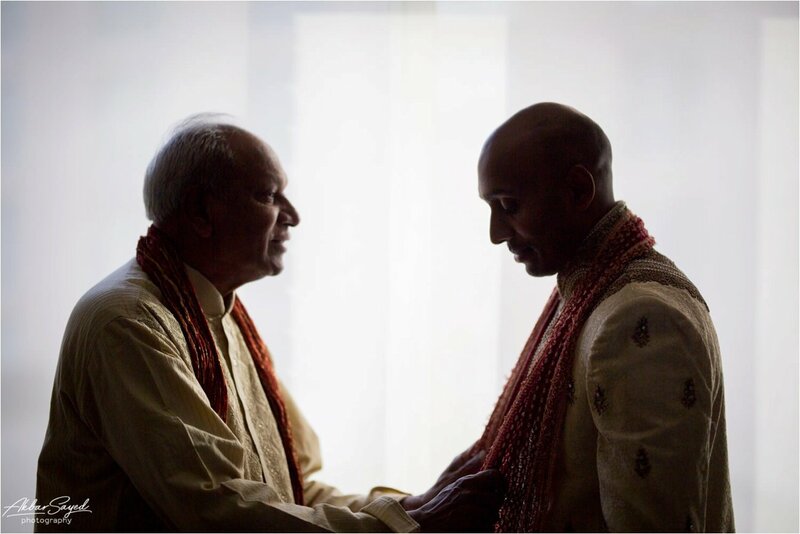 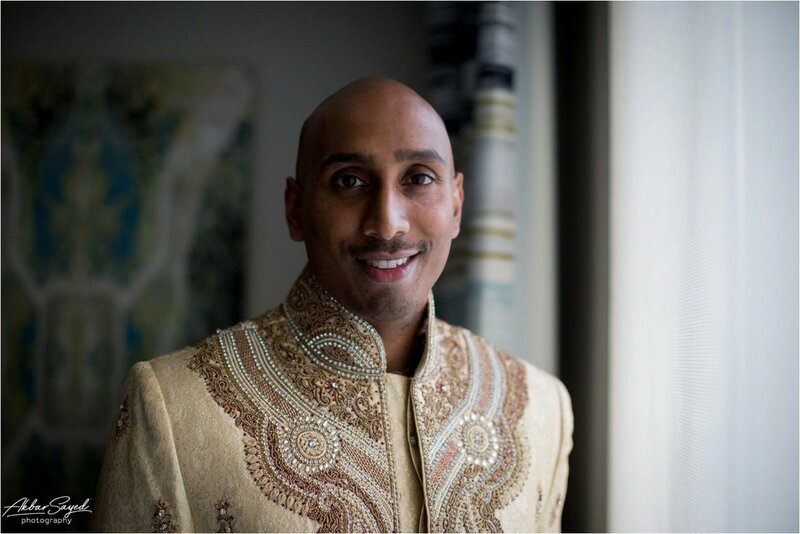 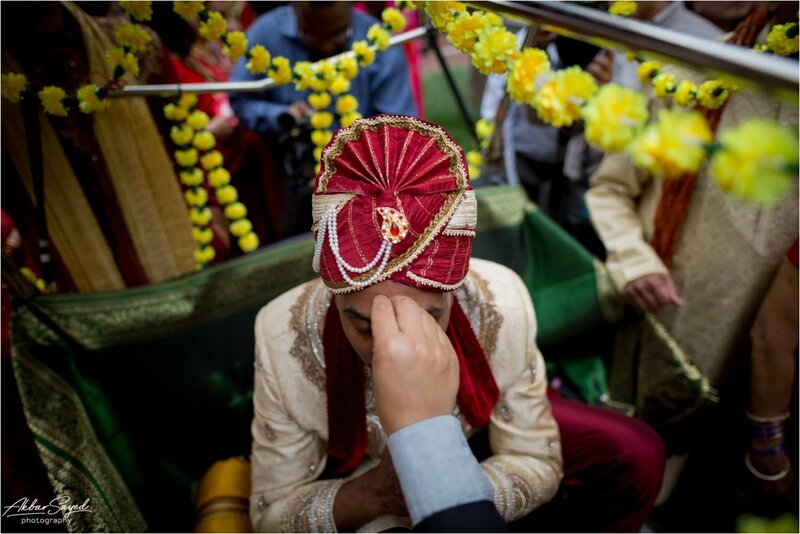 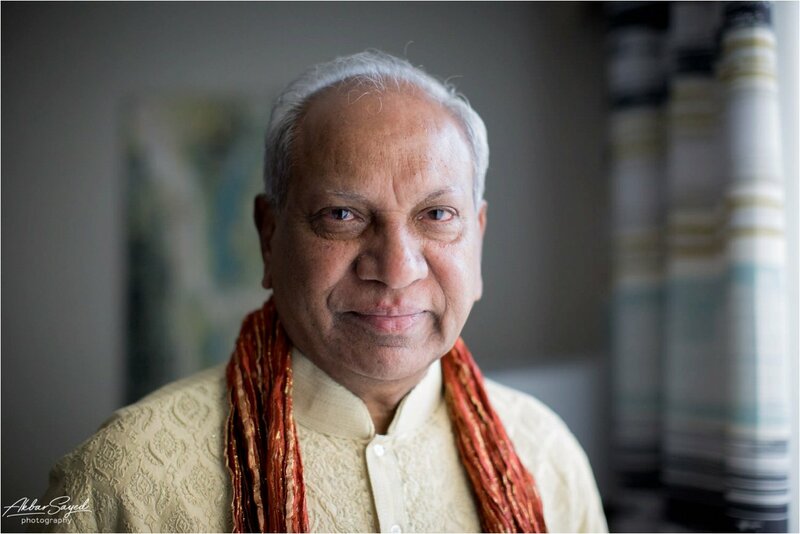 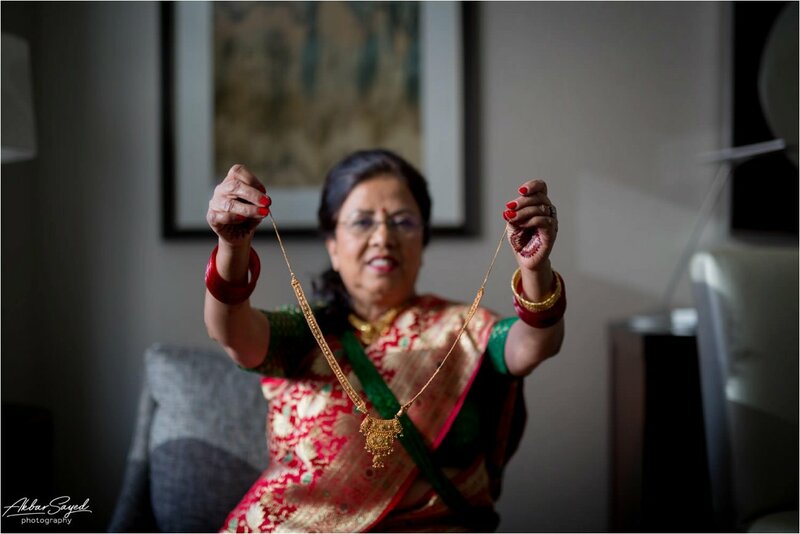 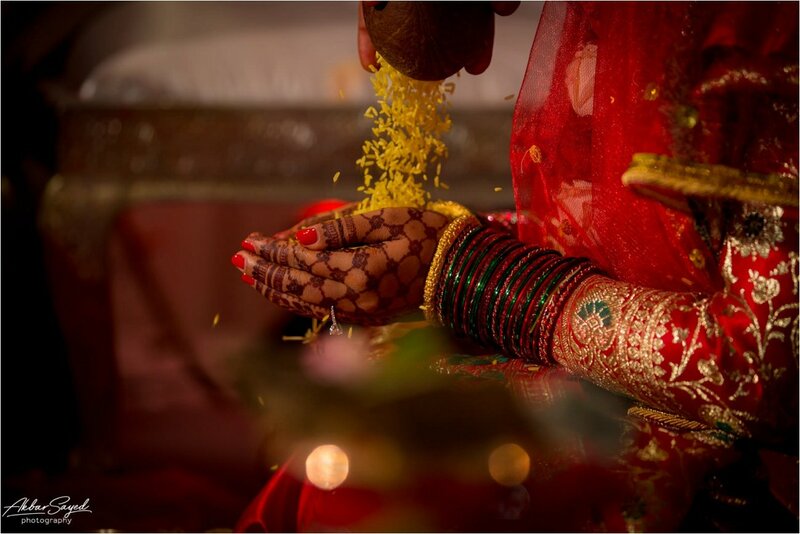 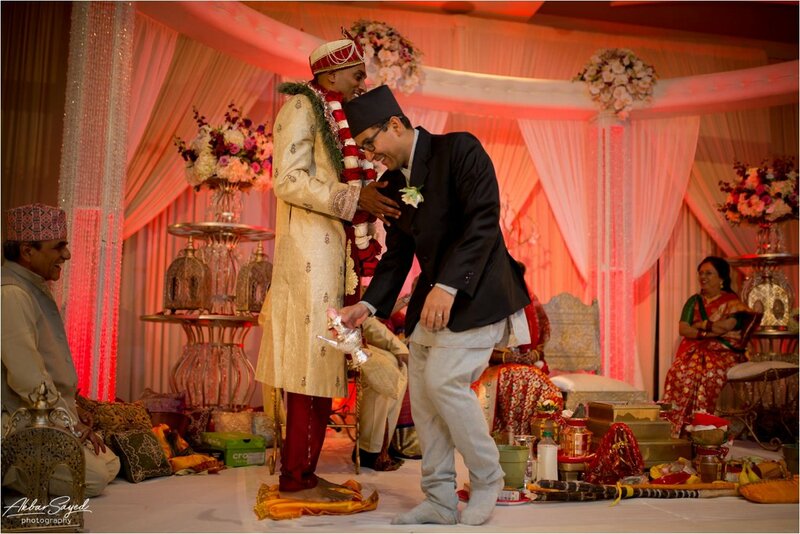 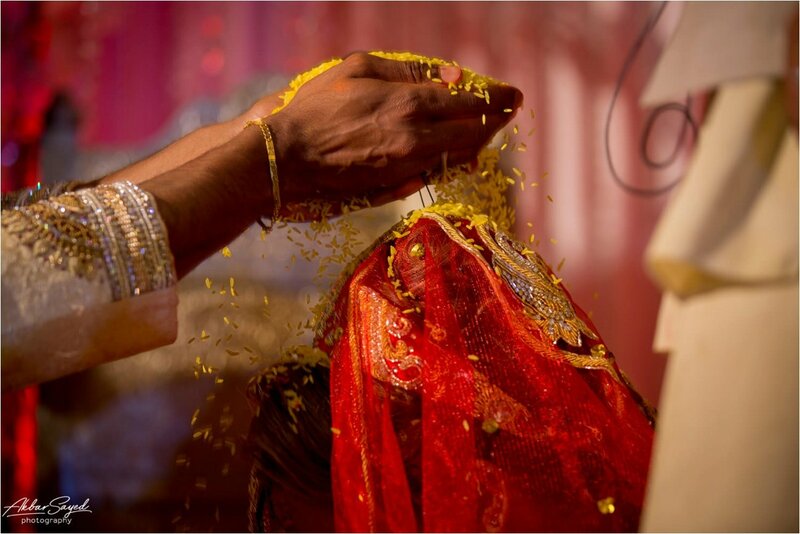 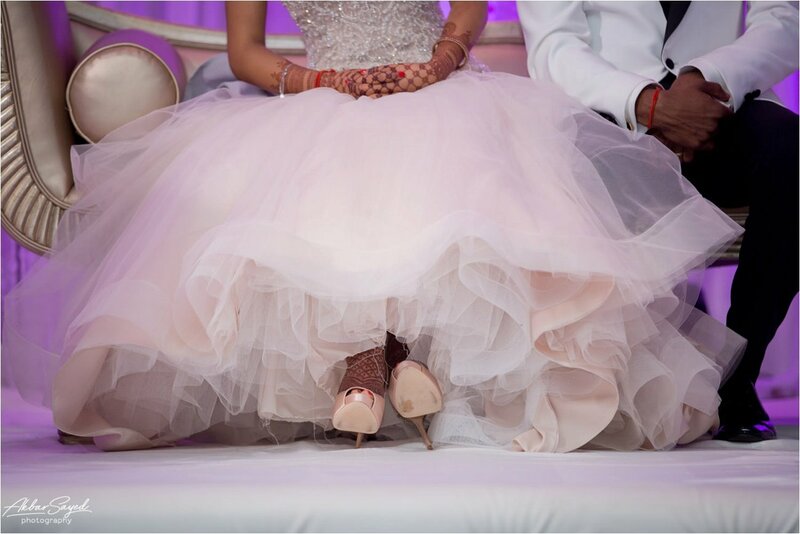 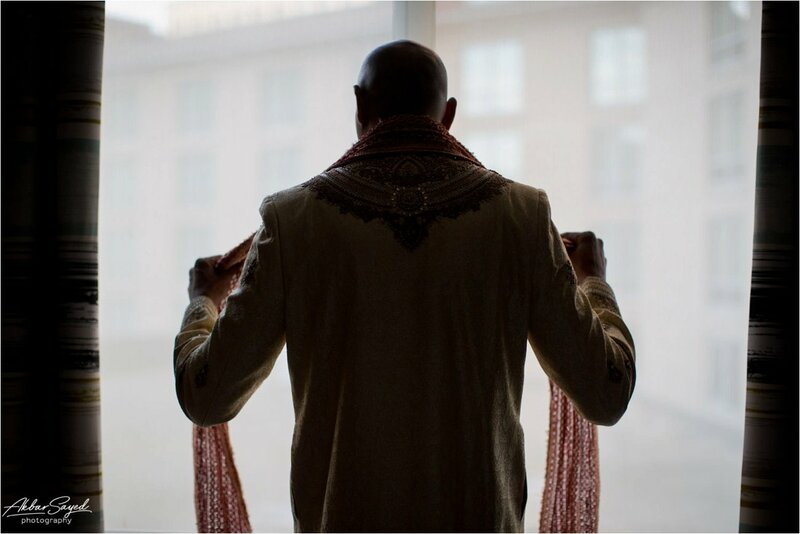 Arjoo and Sharath stayed separate from their guests in a holding room in the bridal suite during lunch before meeting up with their immediate family for the groom’s shoe stealing ritual. 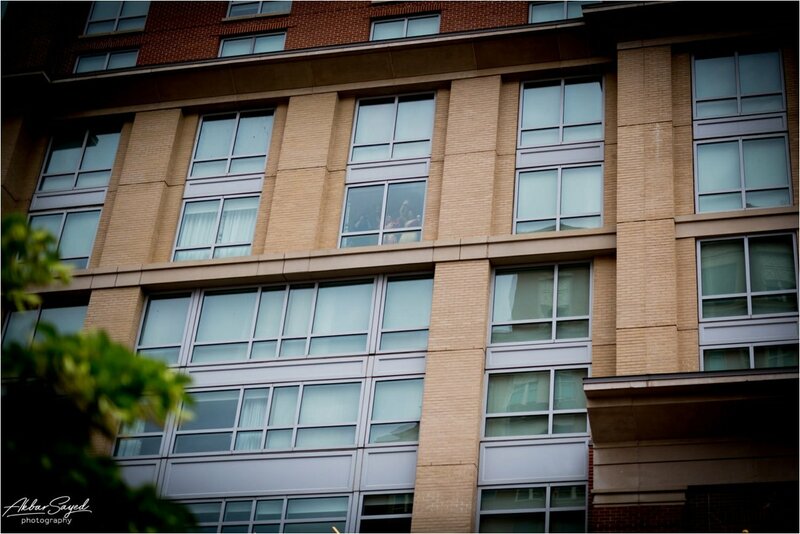 After that, they were able to eat lunch and steal away for a little while together. 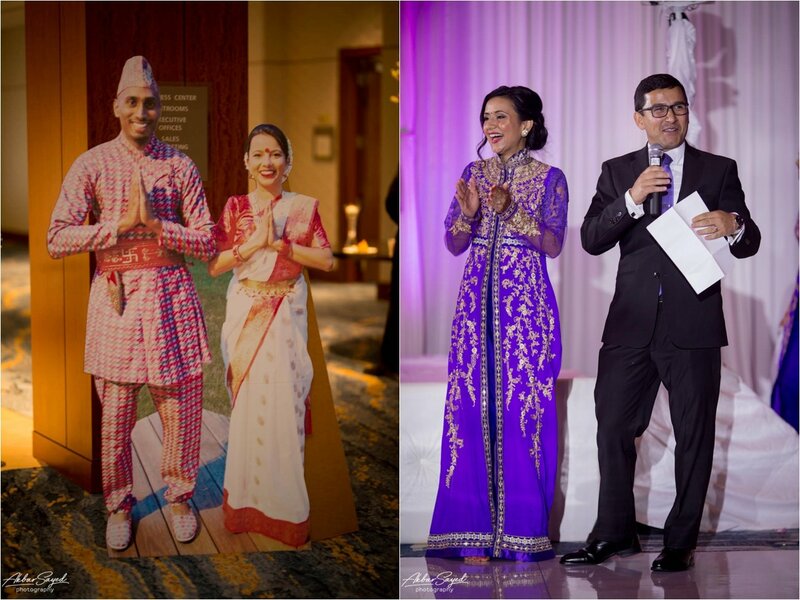 We staged another “first look” picture with Arjoo and Sharath ahead of the reception so that they could see each other for their first time in their reception attire. 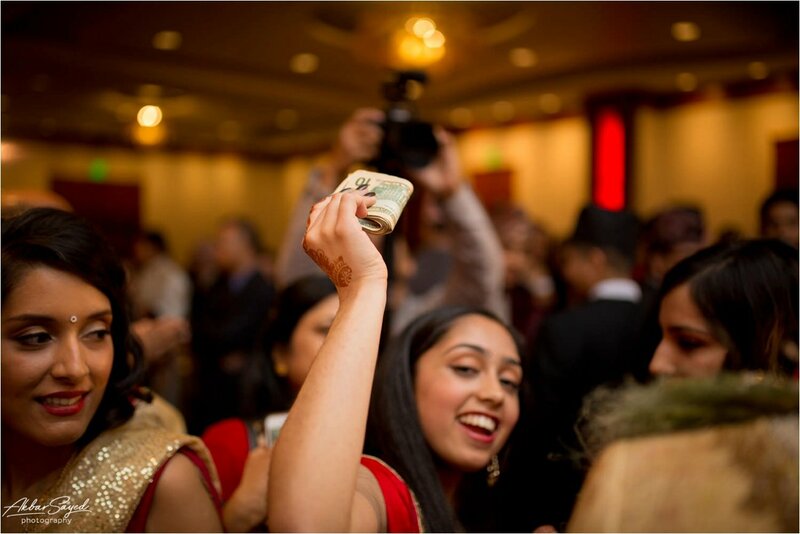 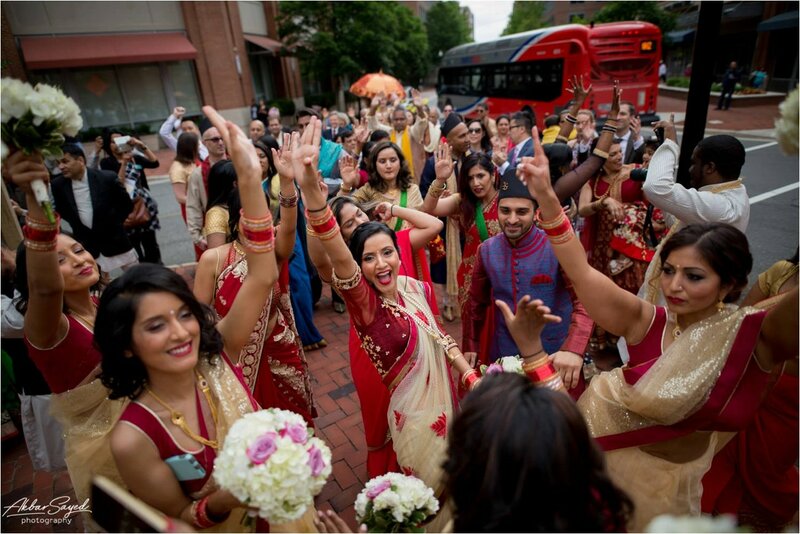 Sharath accidentally turned around too quickly and saw her—but we were able to capture the reactions anyway. 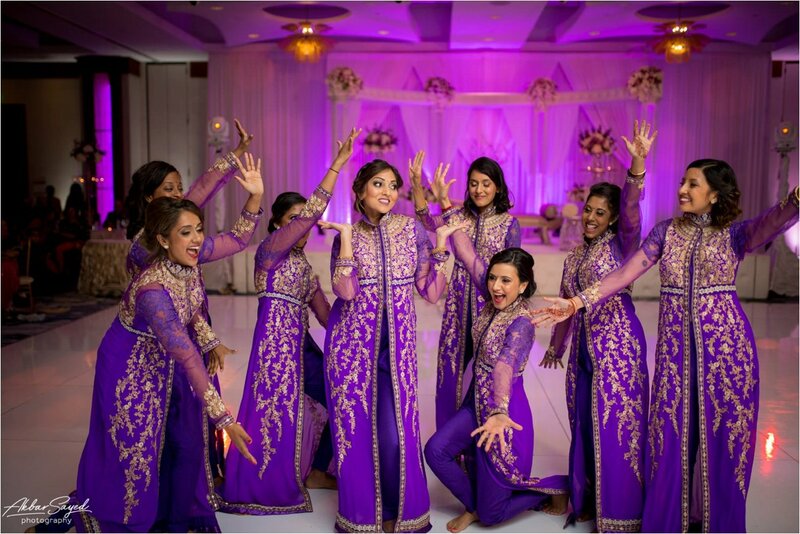 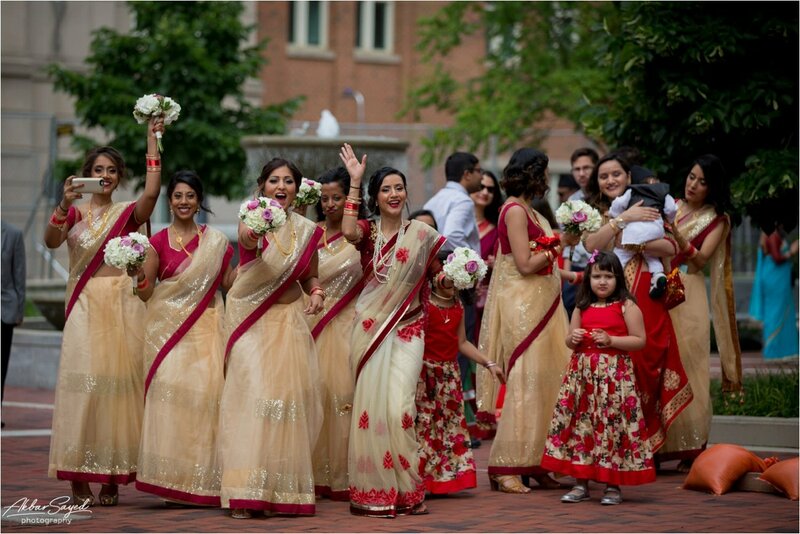 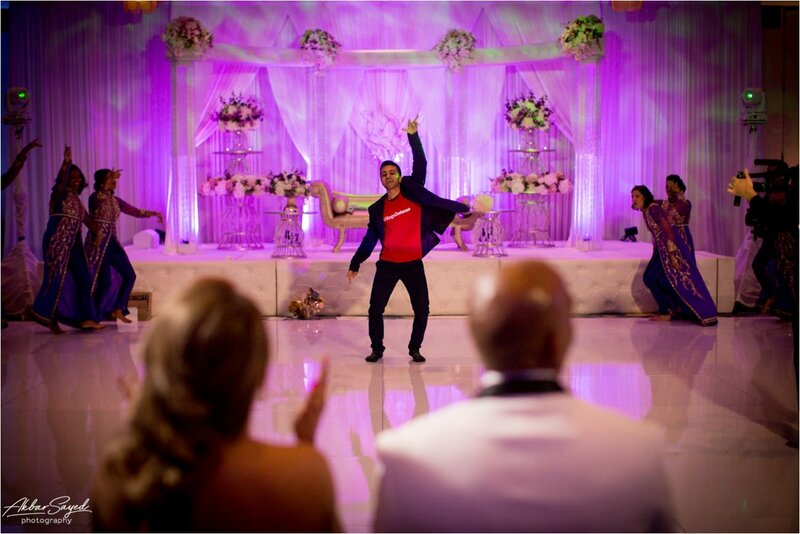 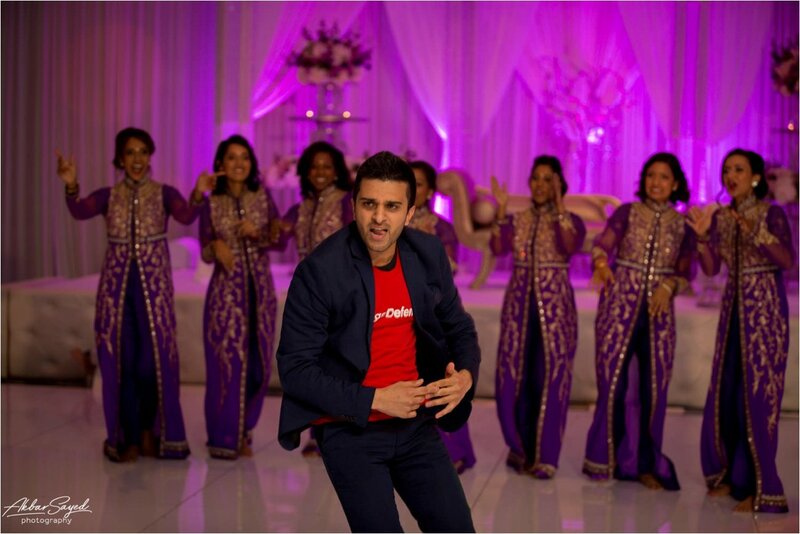 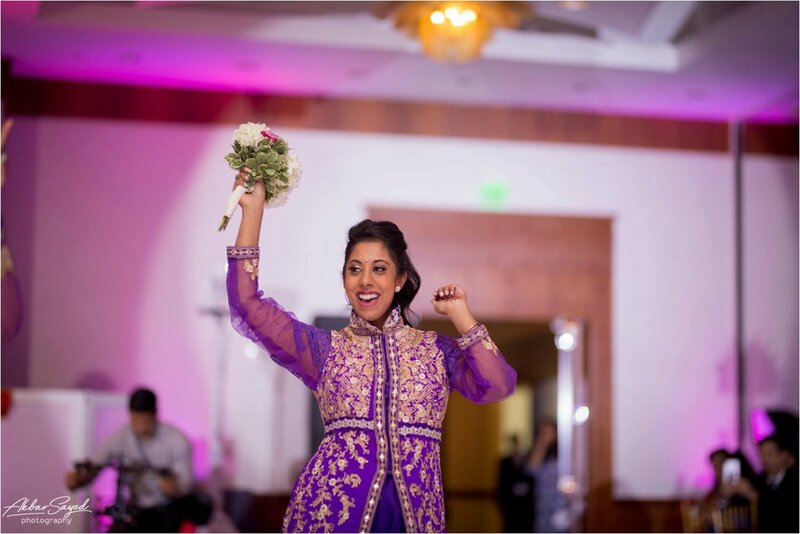 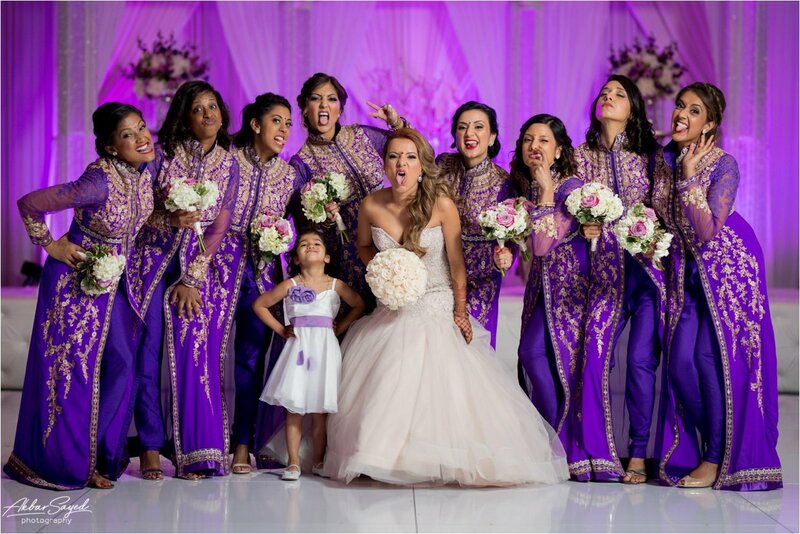 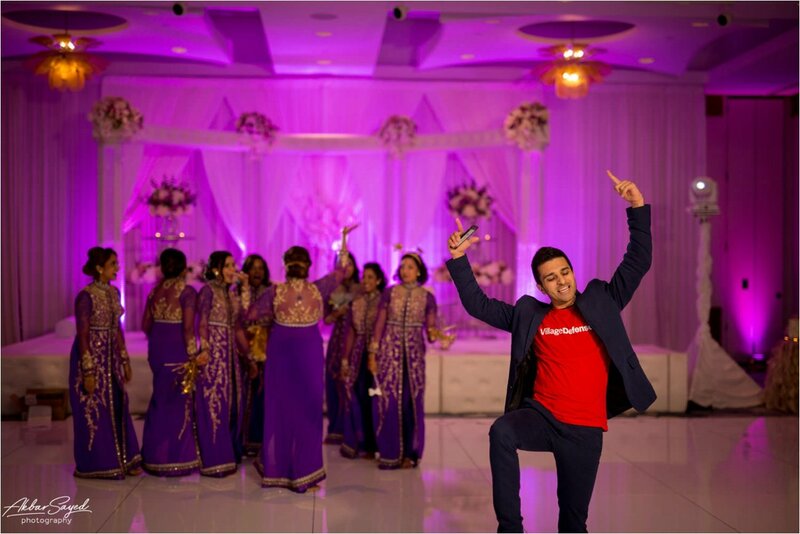 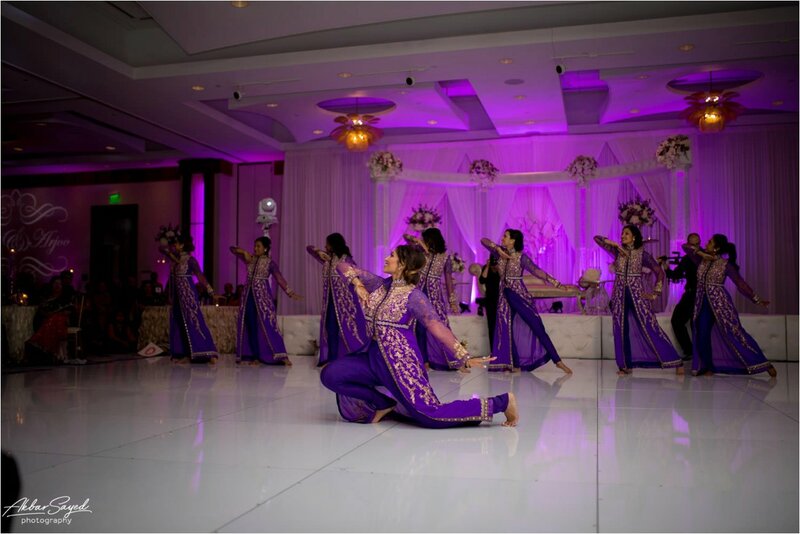 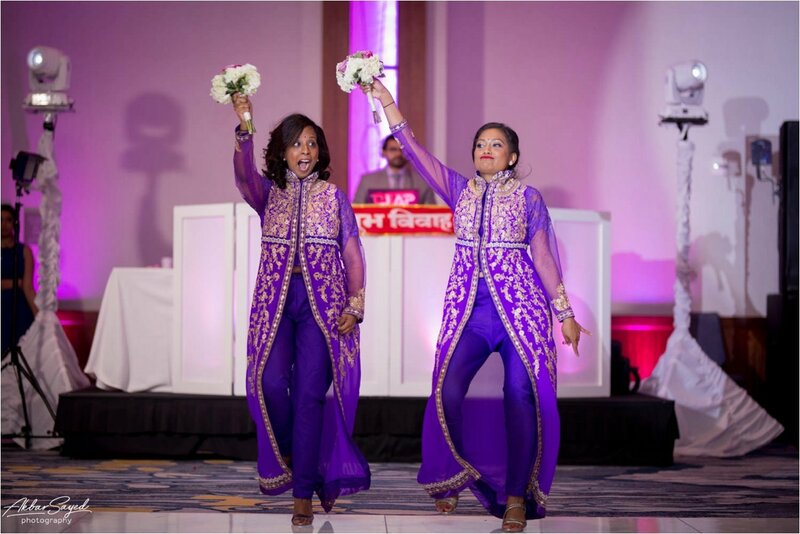 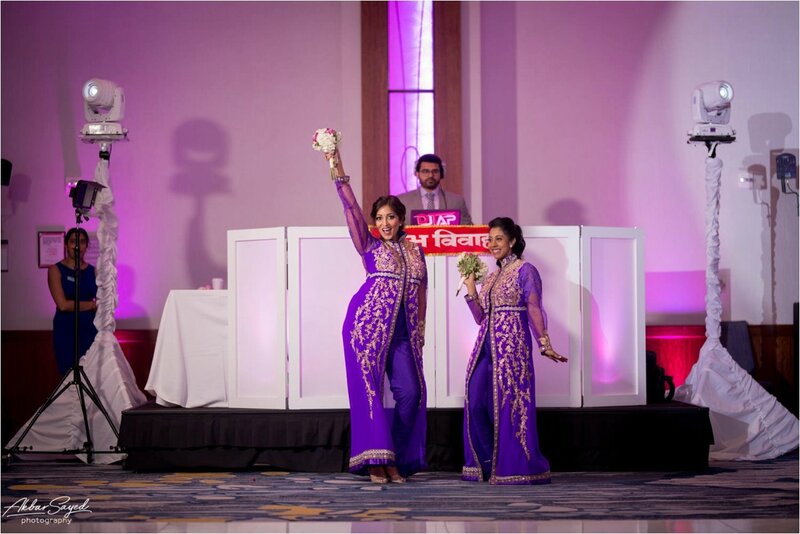 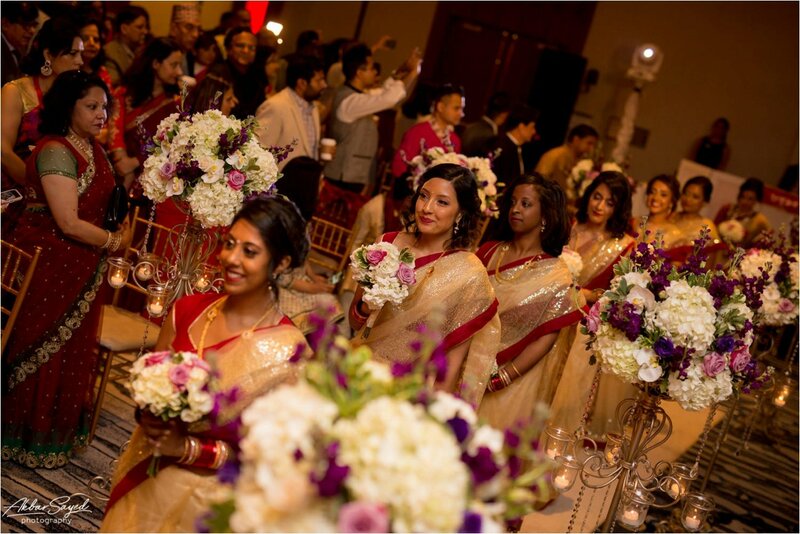 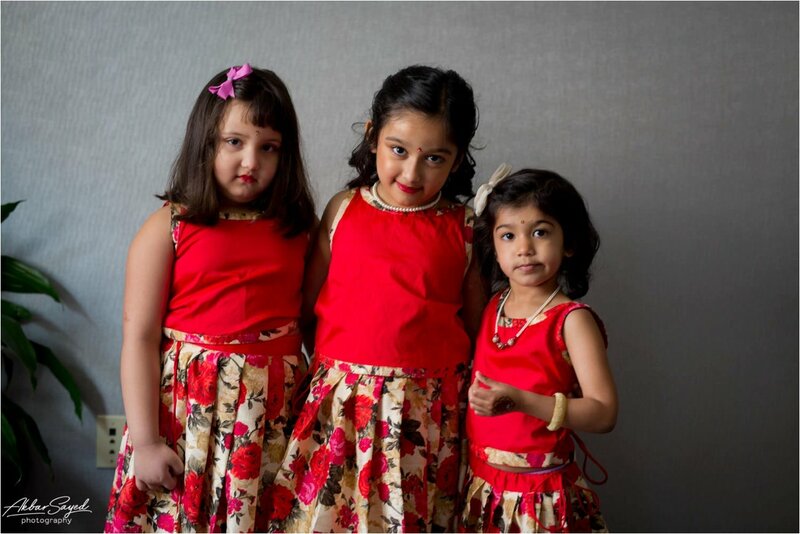 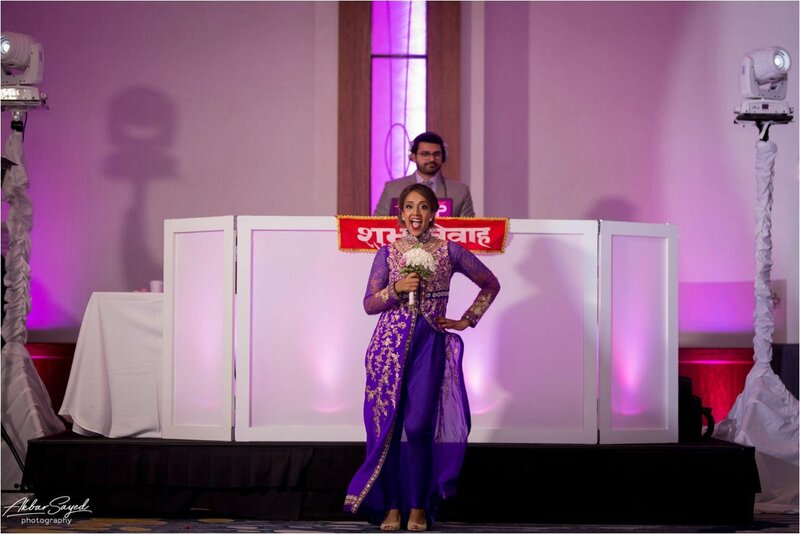 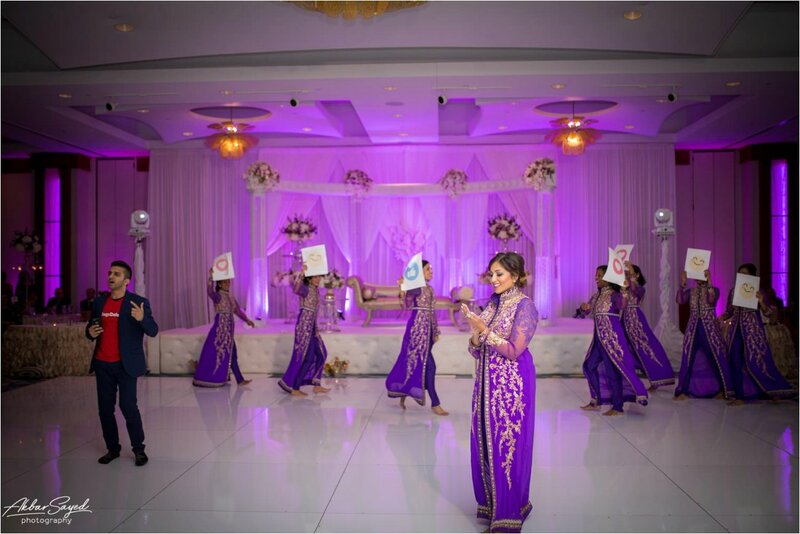 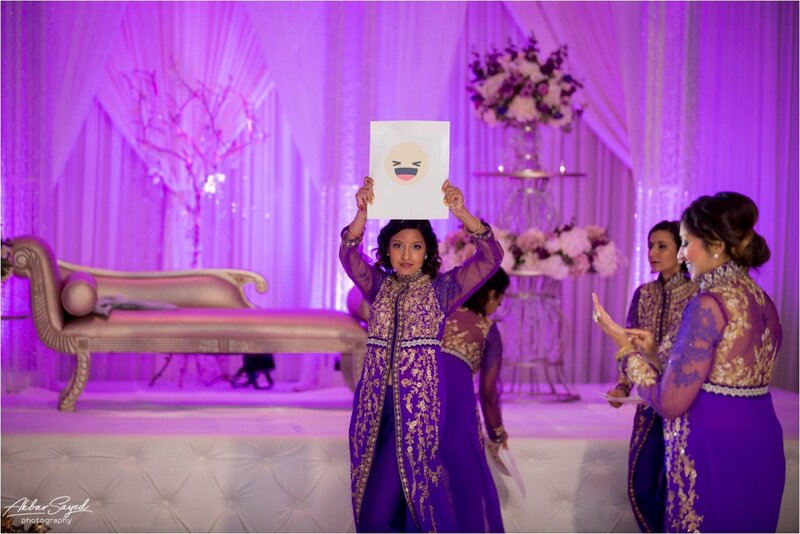 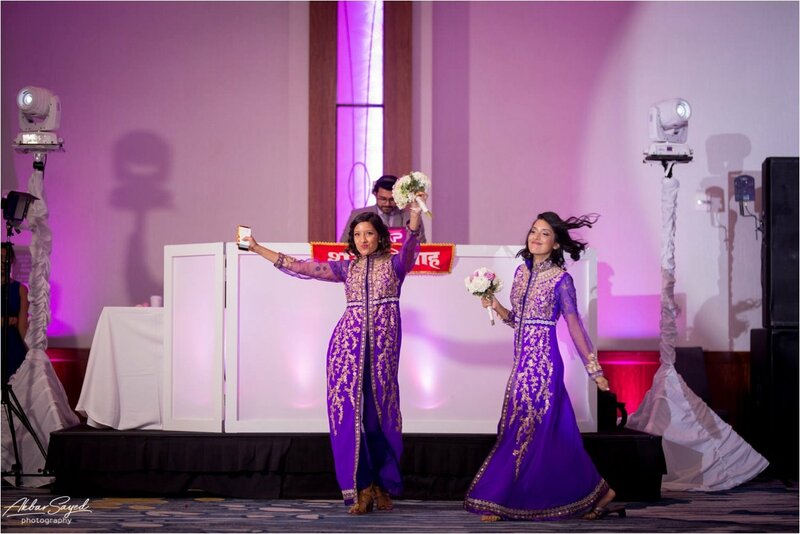 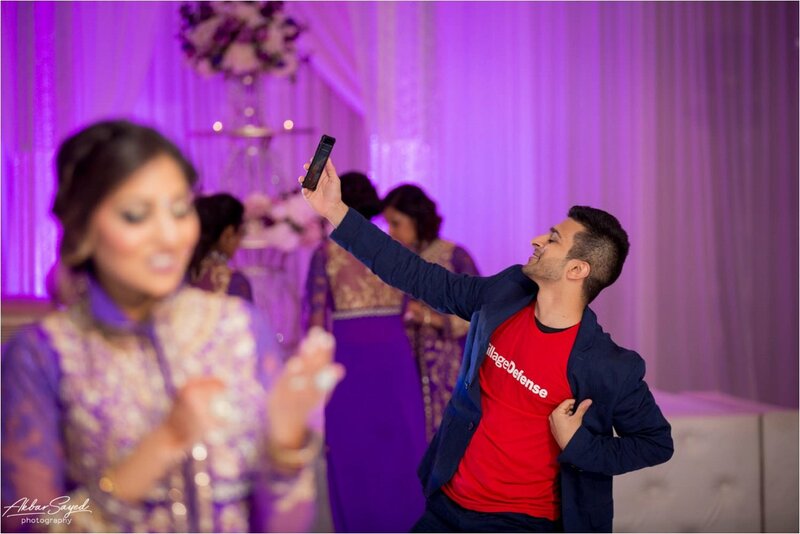 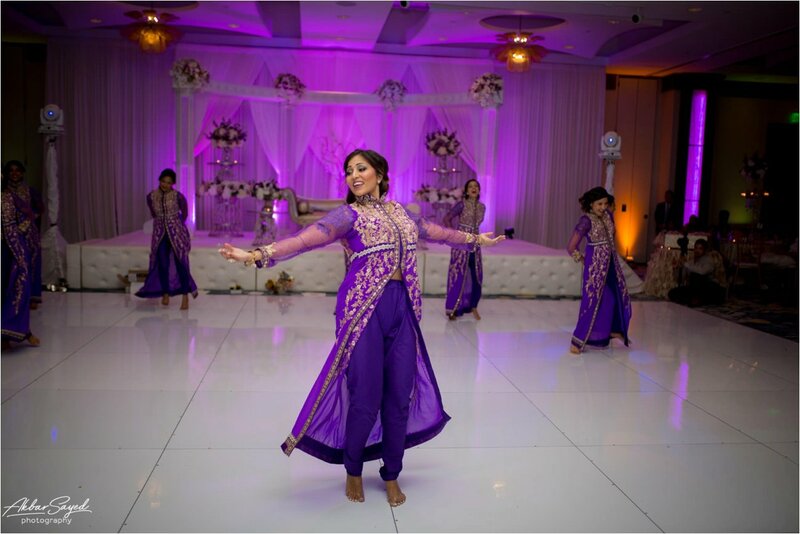 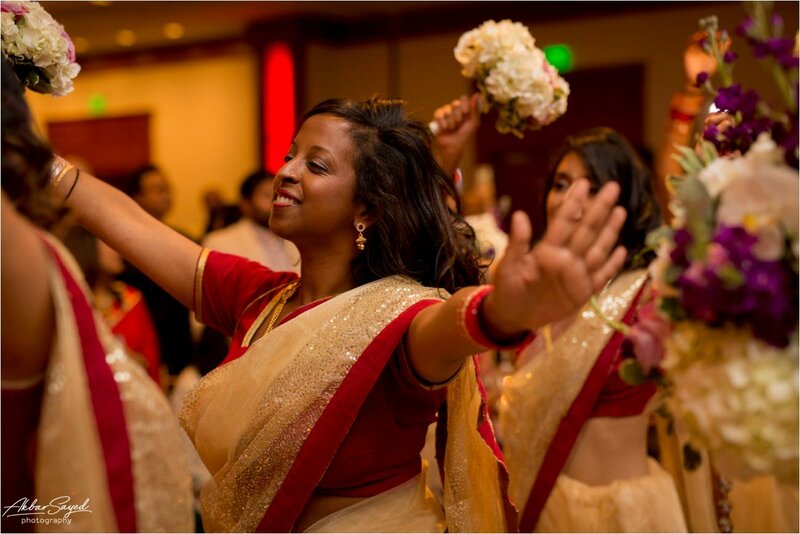 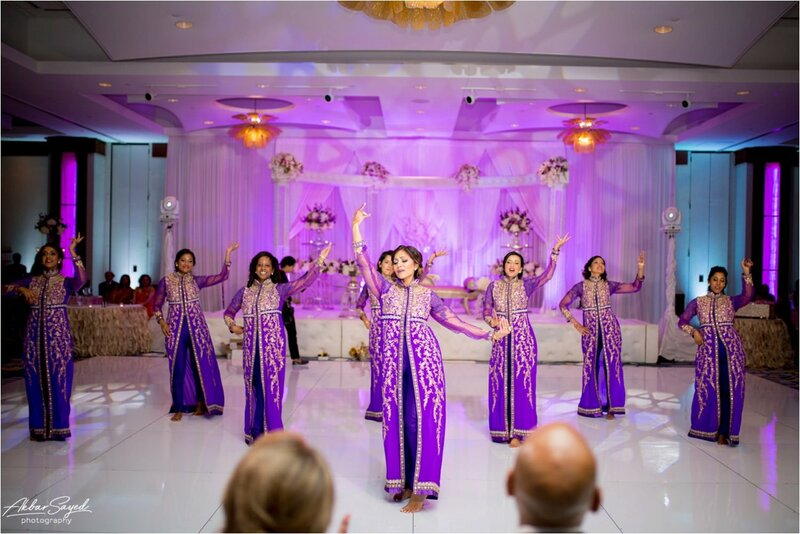 During the reception, the bridesmaids staged a dance performance, about 20 minutes long, telling the story of how Arjoo and Sharath met, up through their engagement. 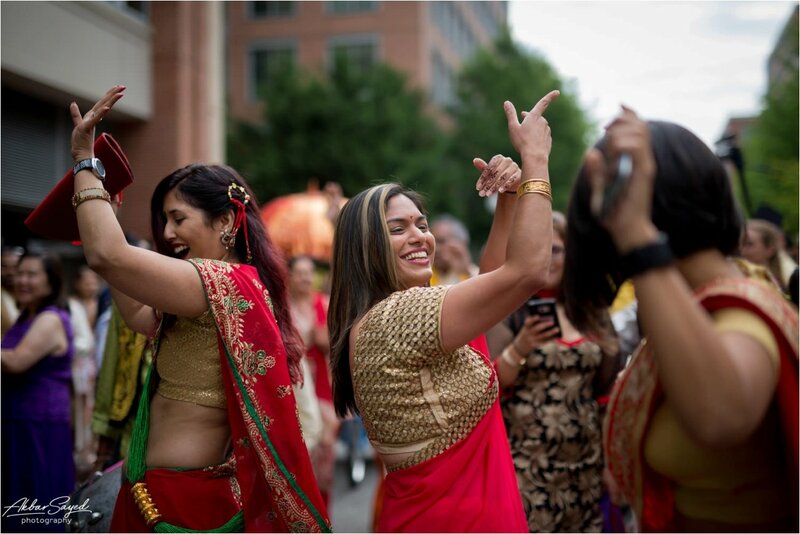 Meenakshi, who played Arjoo opposite Kavit’s Sharath, is a professional dancer and owns her own studio, and she coordinated the whole thing wonderfully. 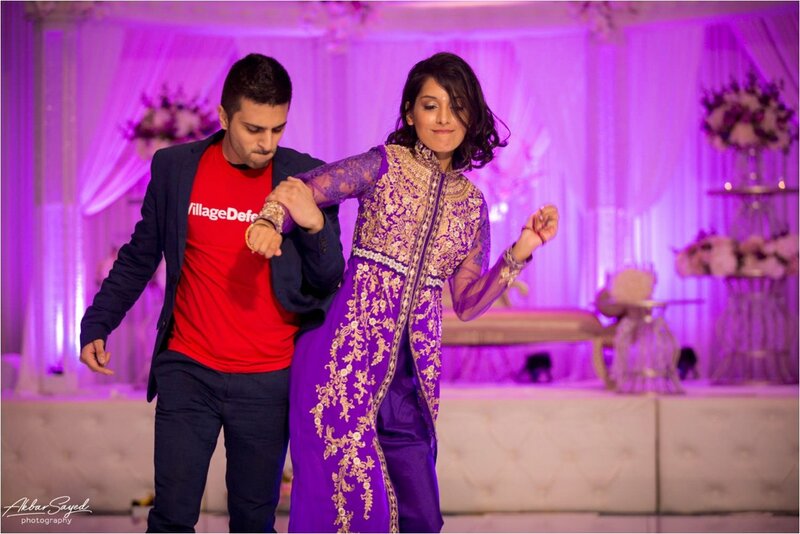 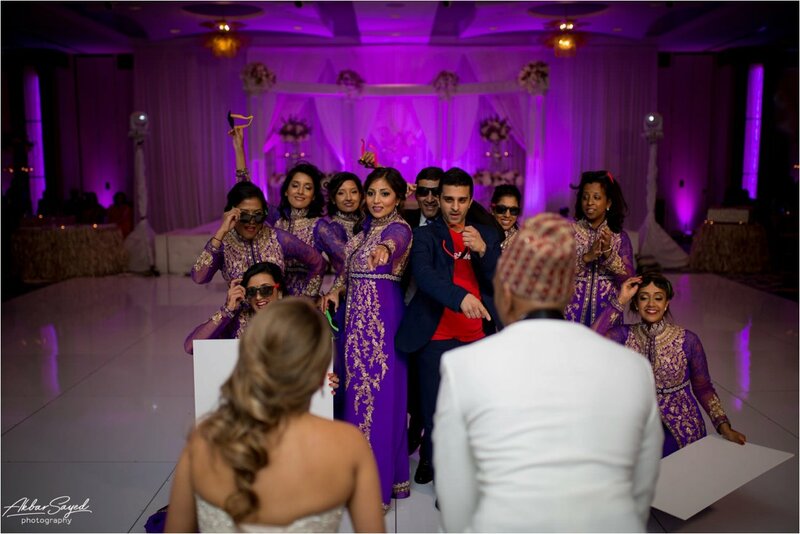 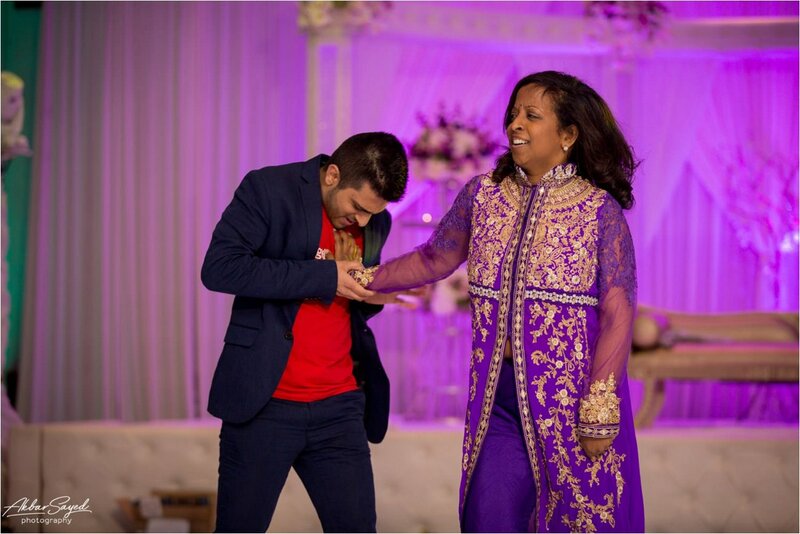 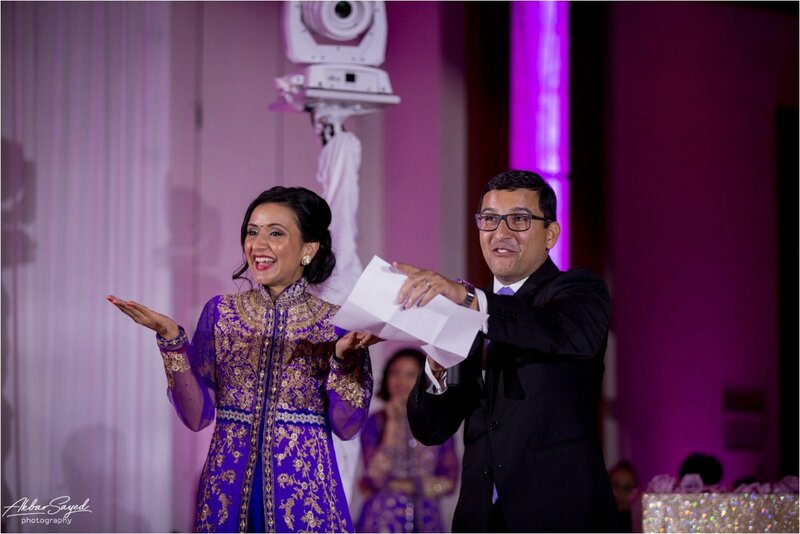 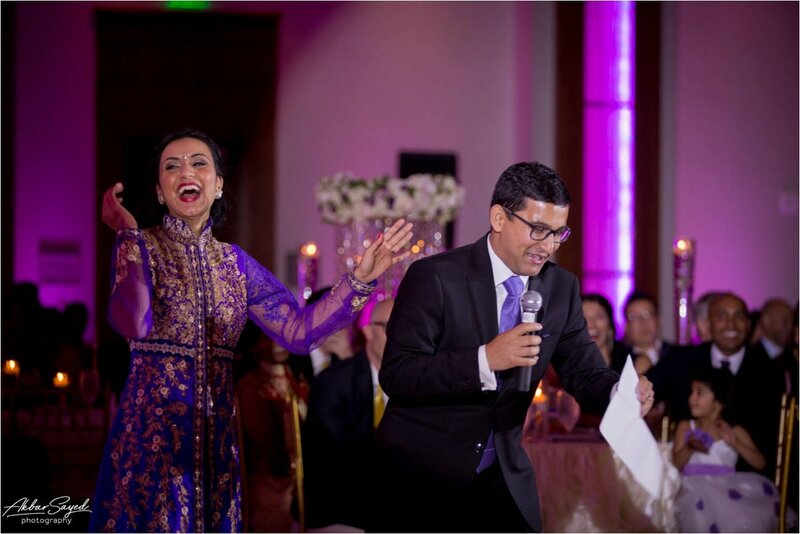 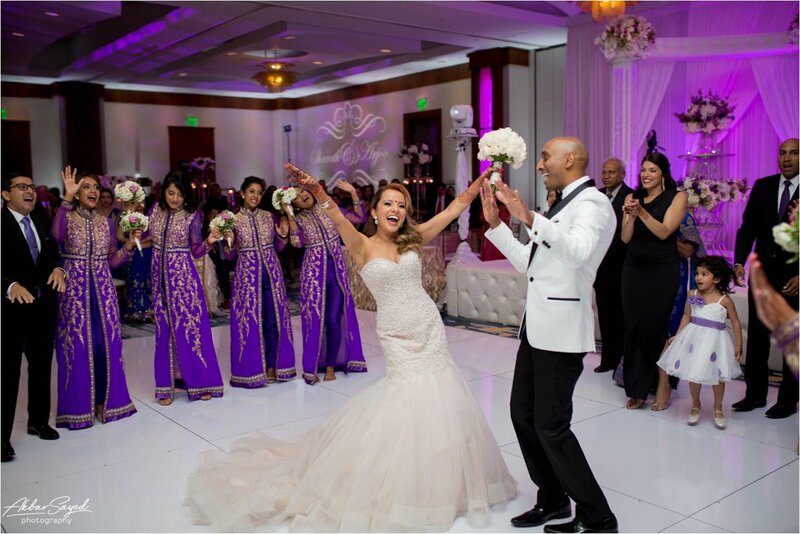 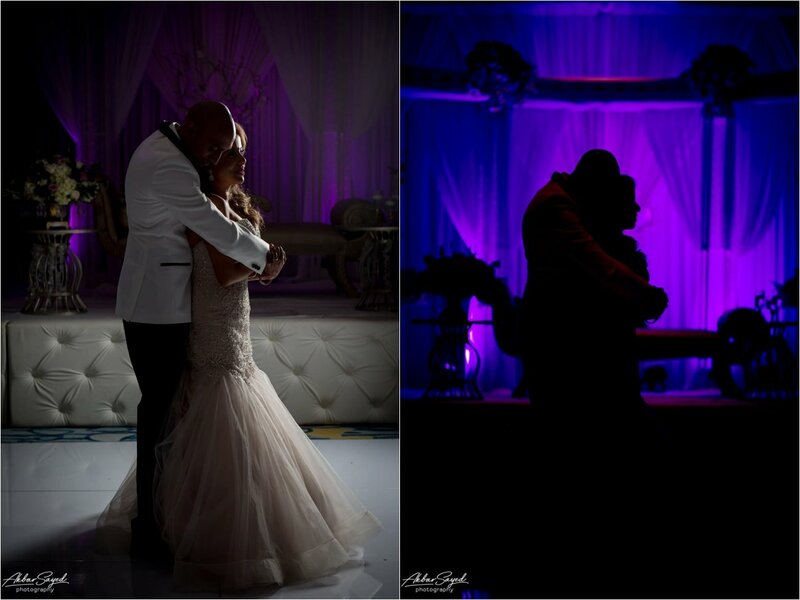 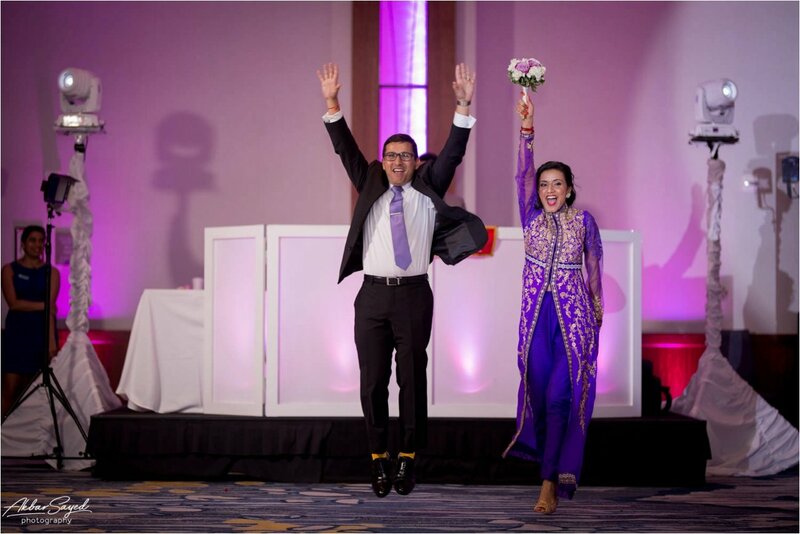 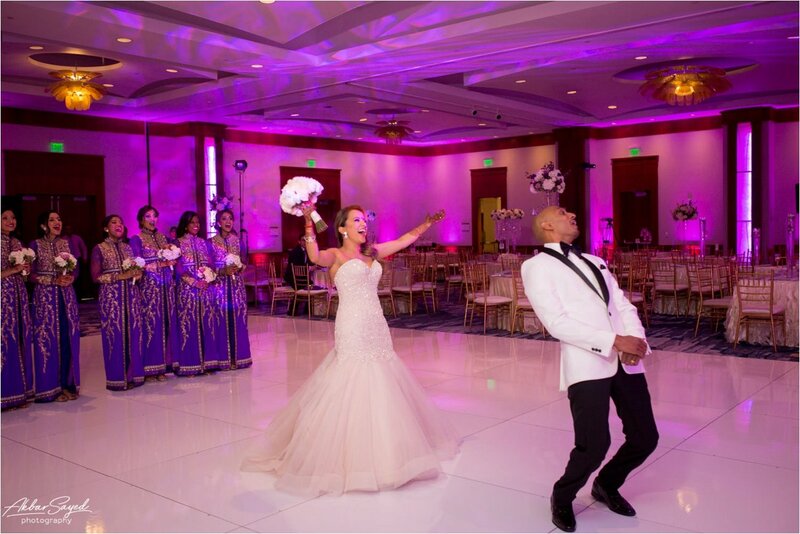 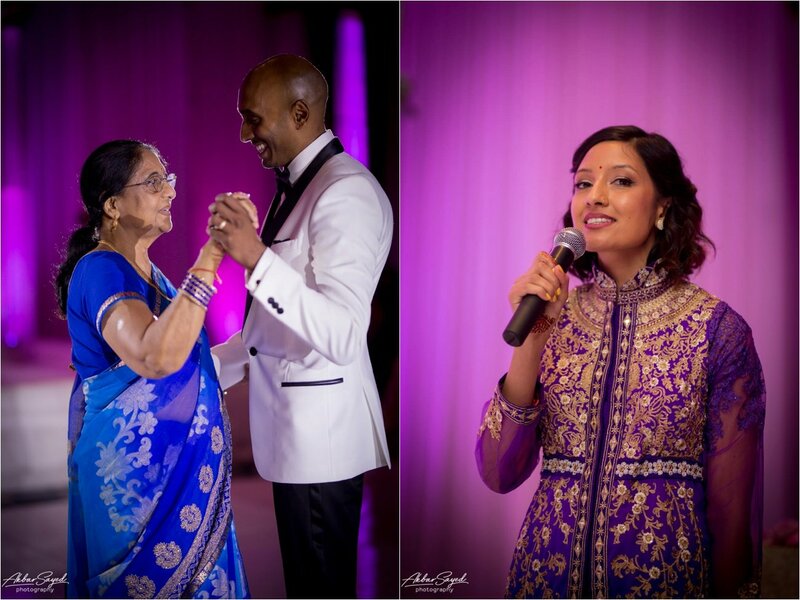 Achaya and Arjoo shared a brother-sister dance that was incredibly touching. 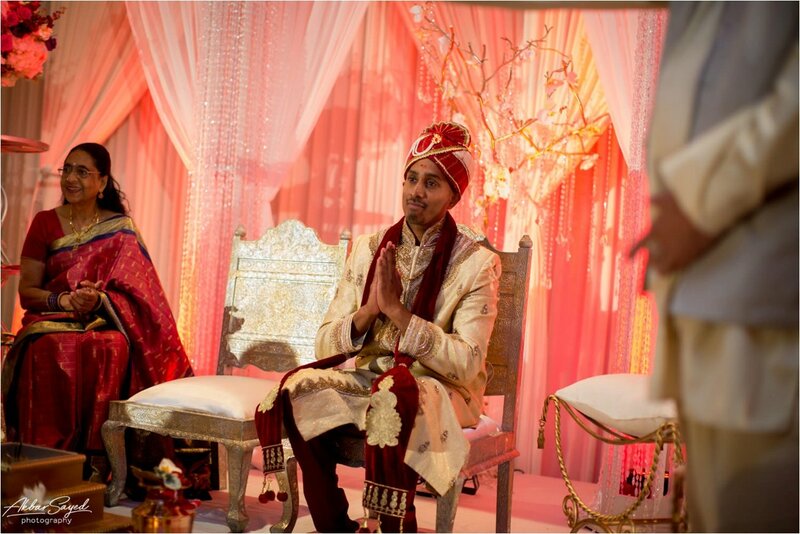 Later, it was also amazing to see Achaya, Arjoo’s older brother, get emotional during his speech. 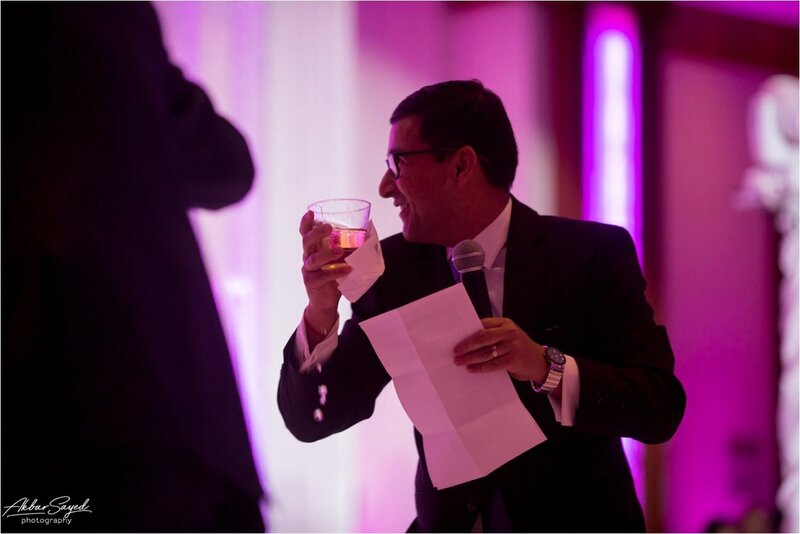 He had given a drink to a friend of his prior to the speech and asked that friend to bring it to him in case he teared up. 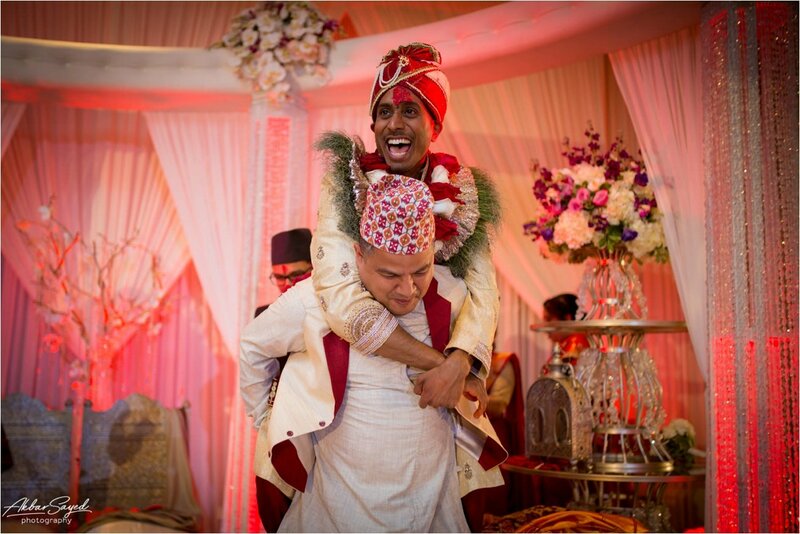 Achaya made it till the end but still asked for the drink at the end. 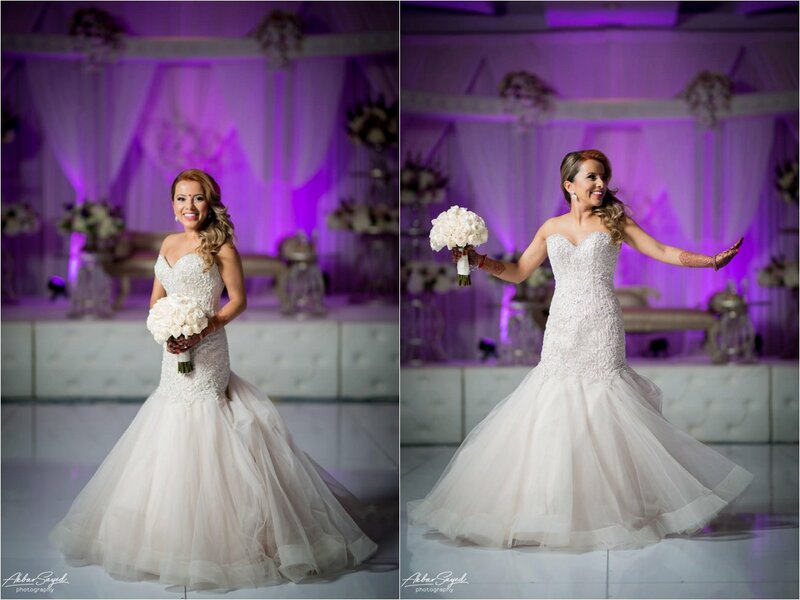 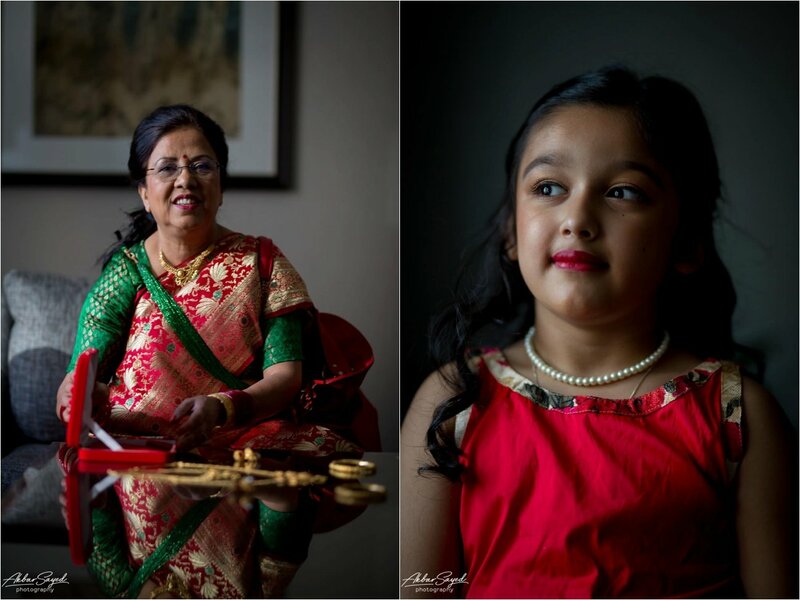 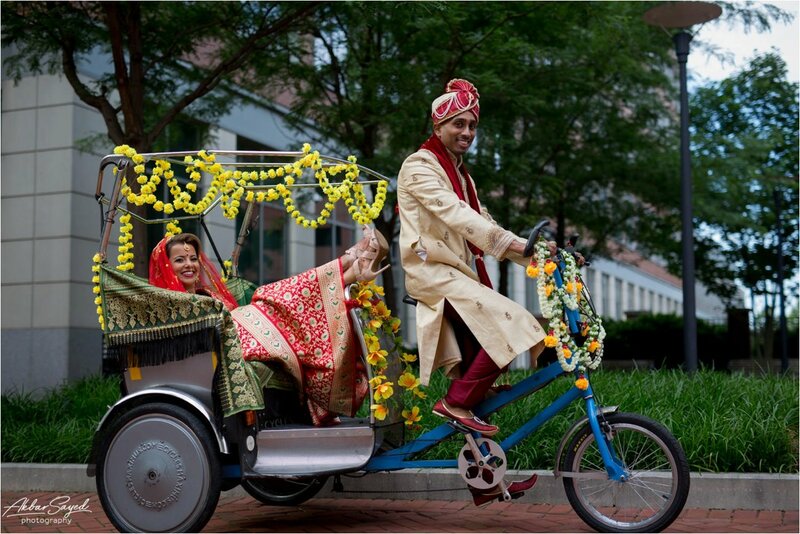 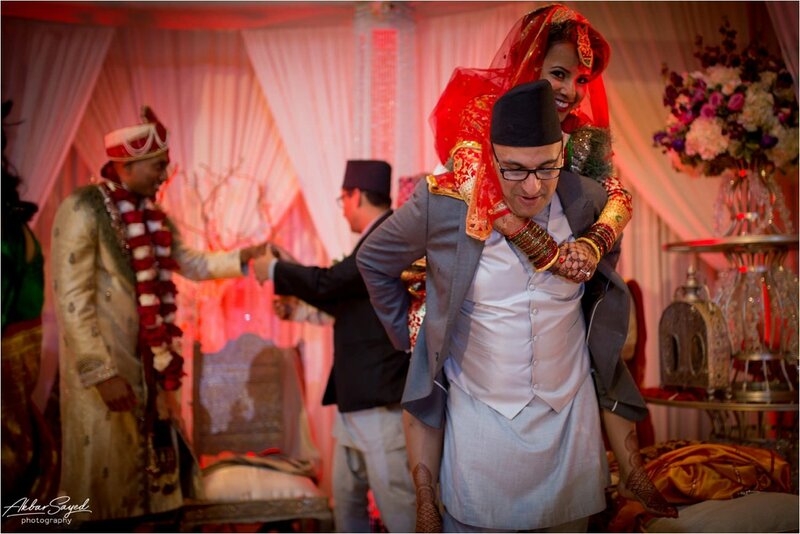 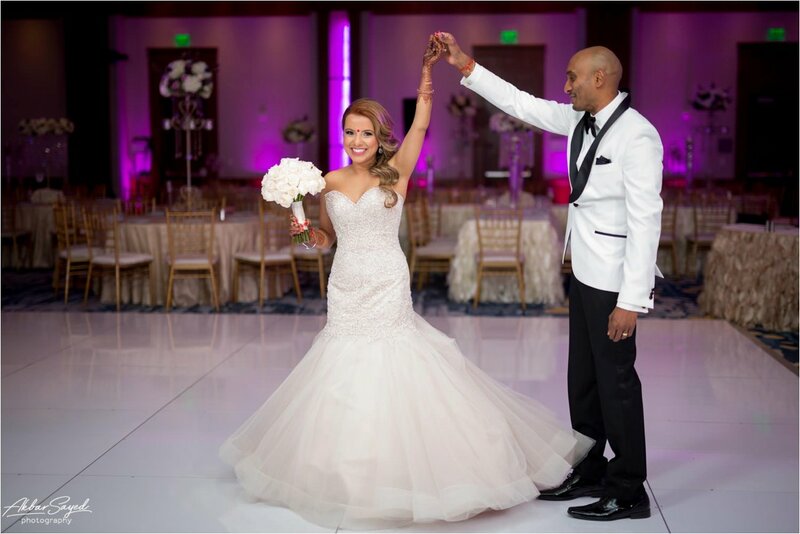 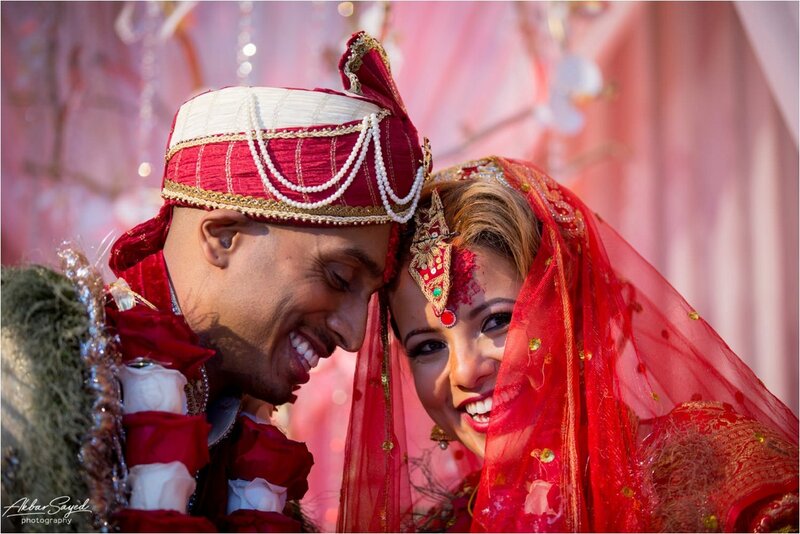 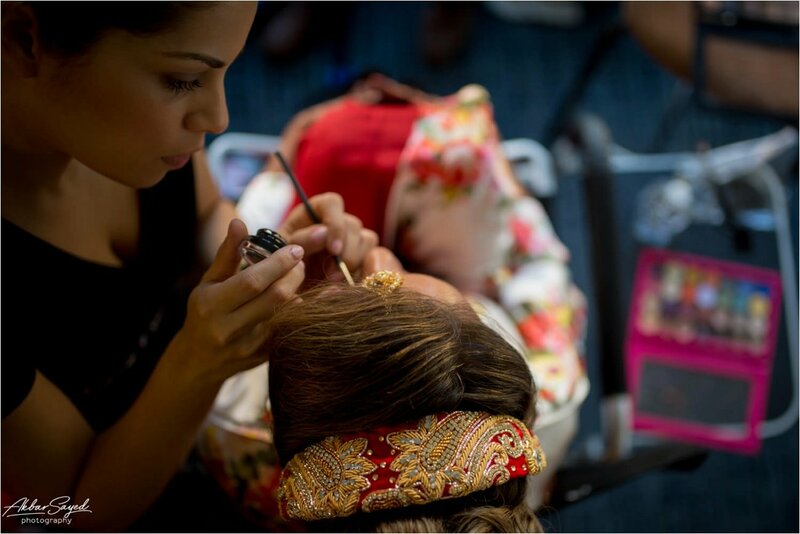 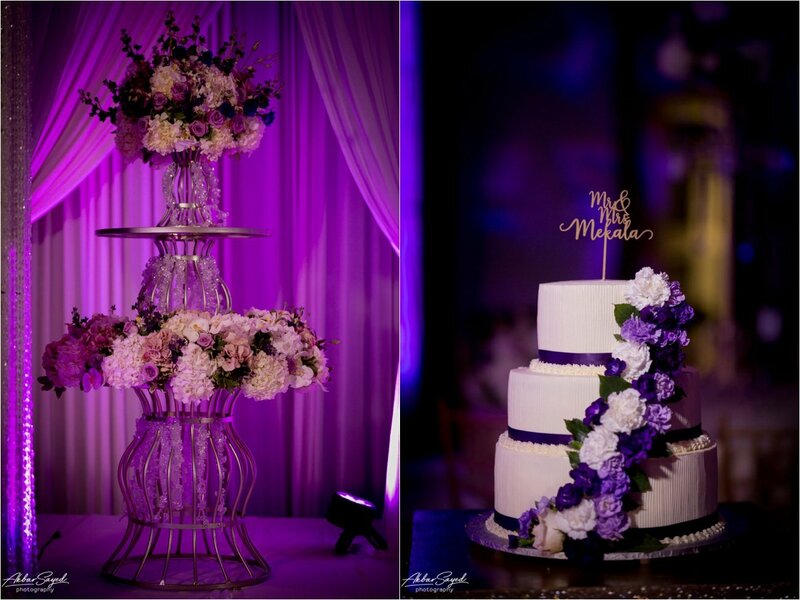 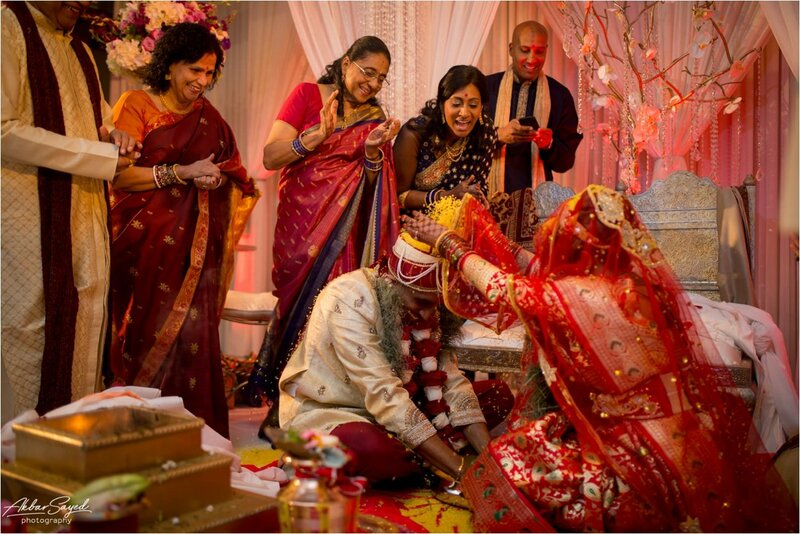 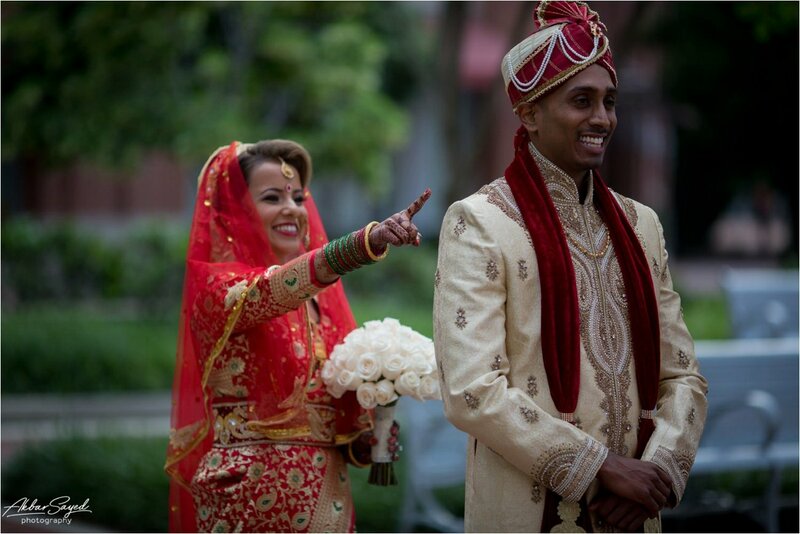 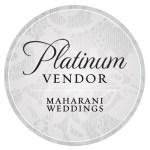 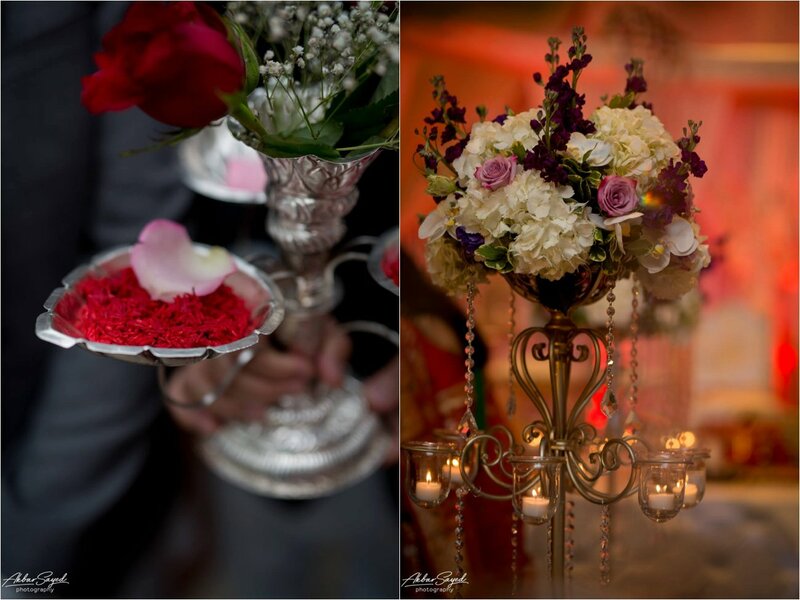 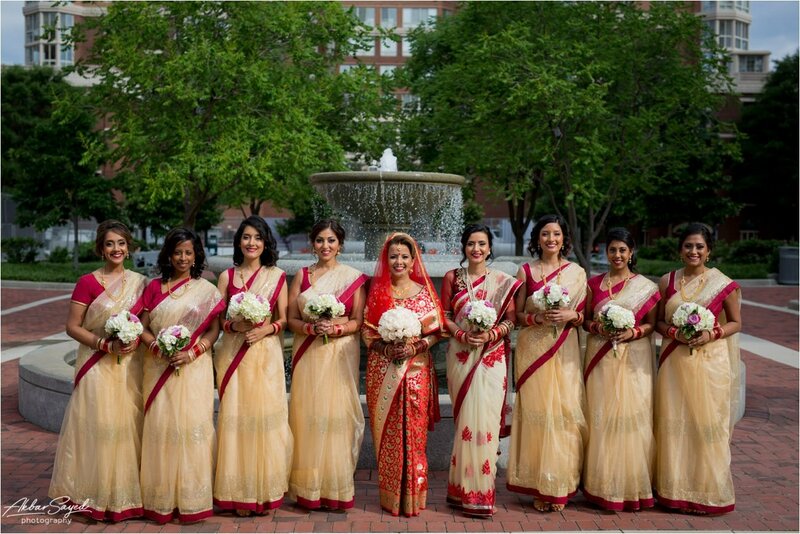 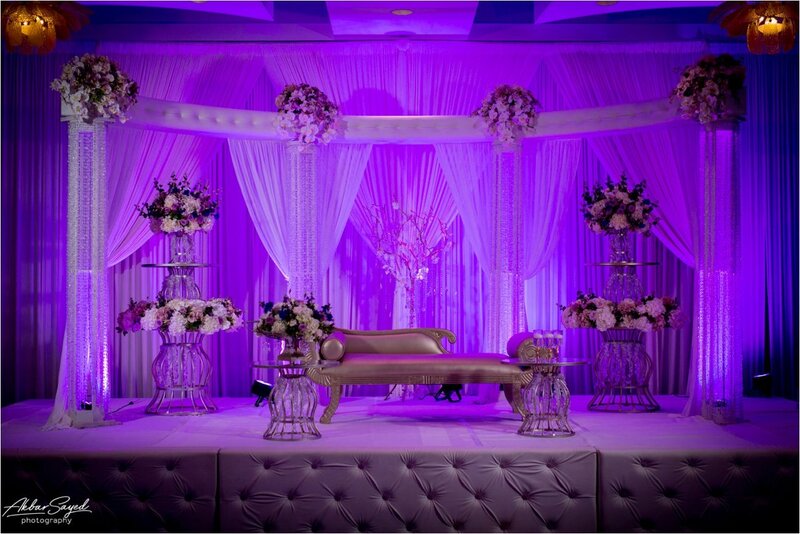 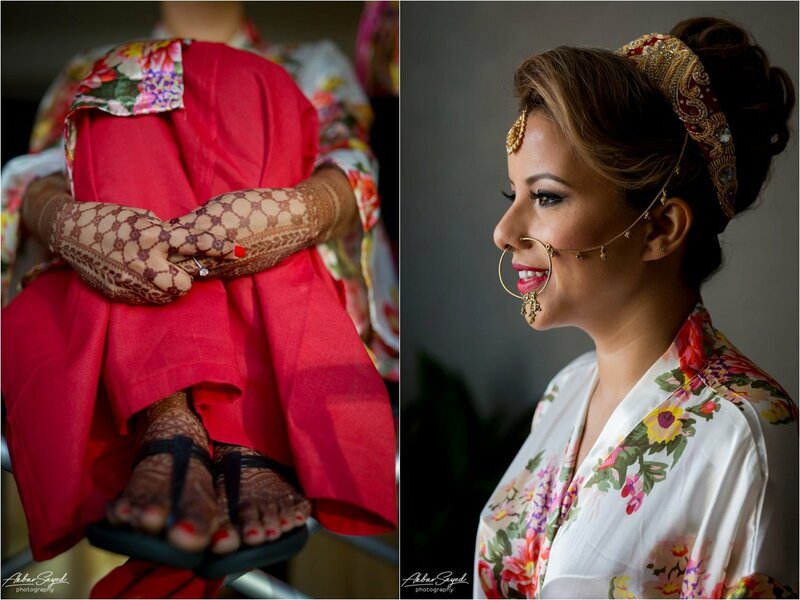 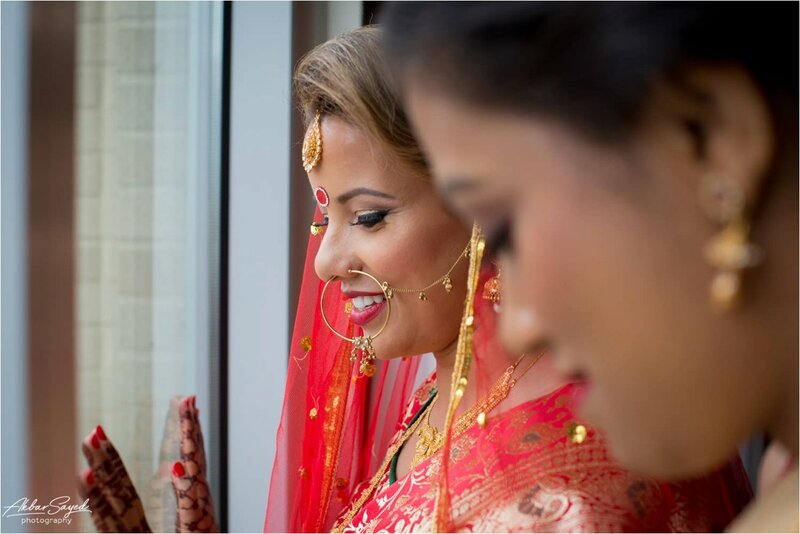 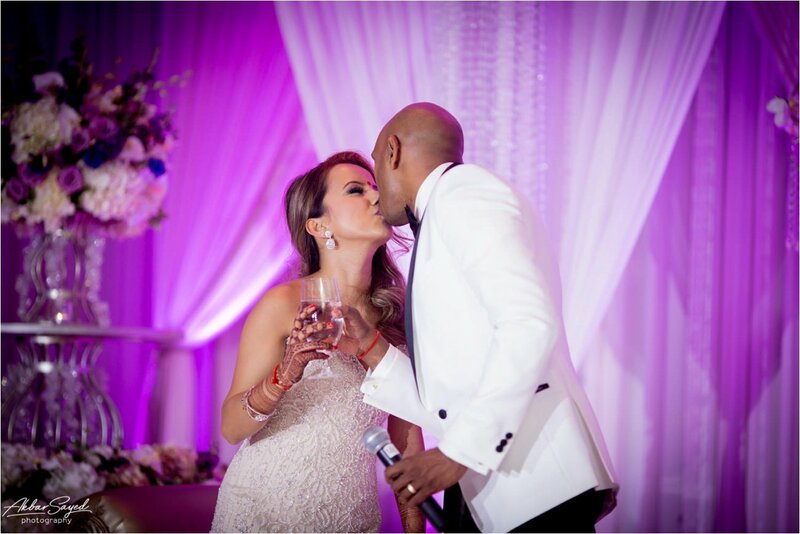 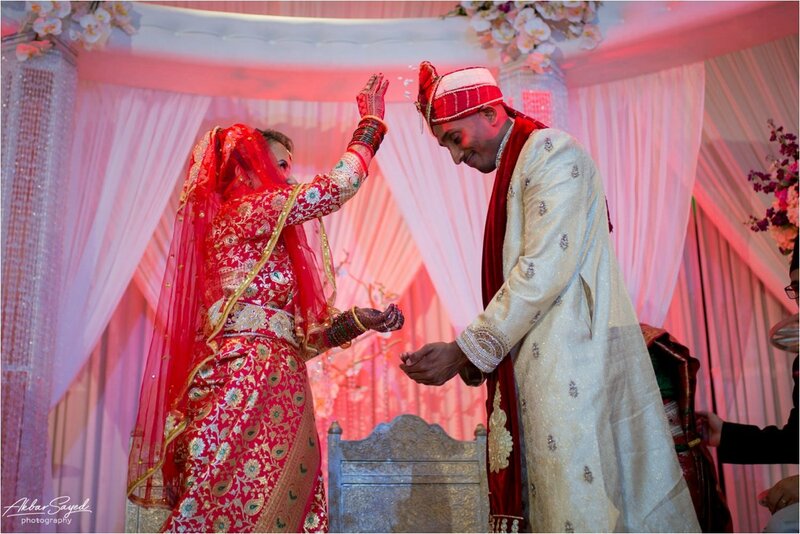 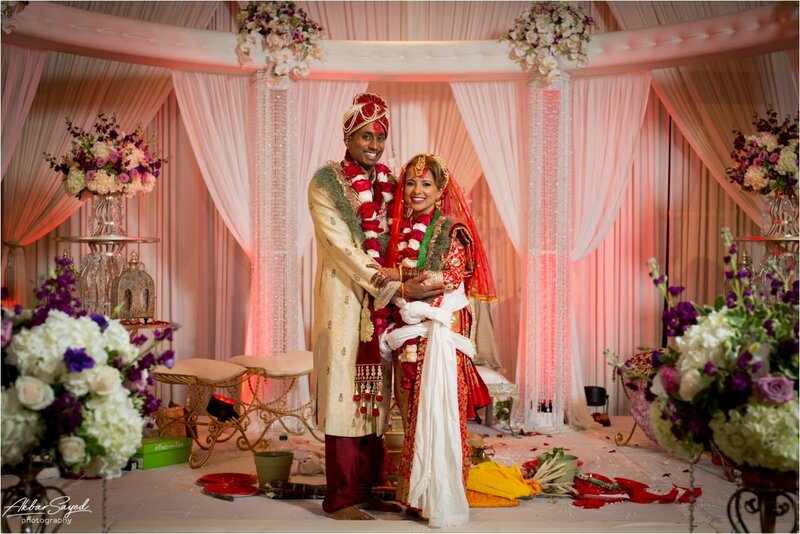 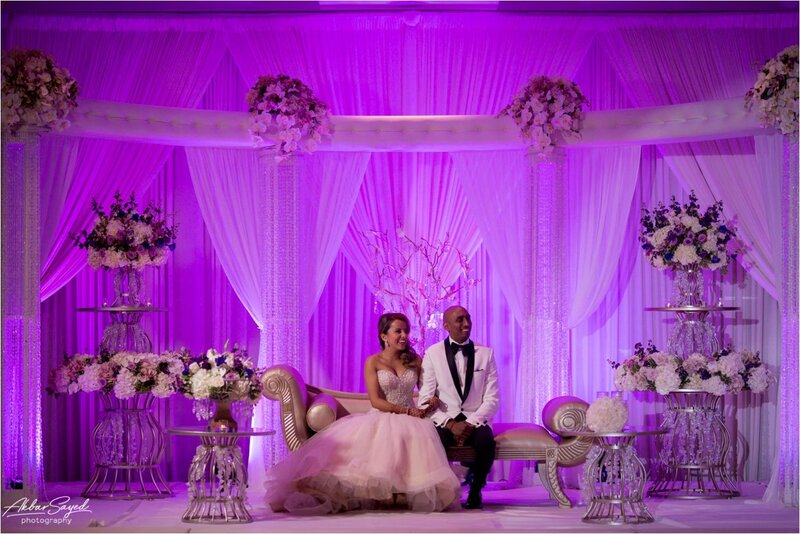 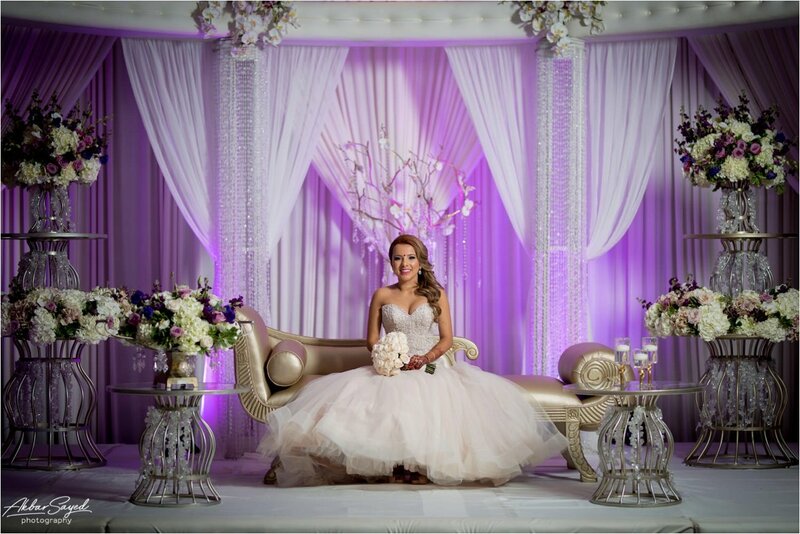 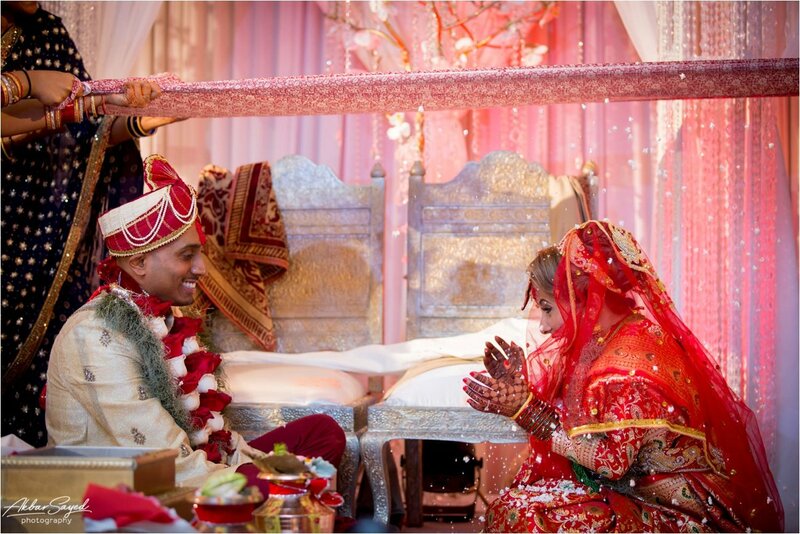 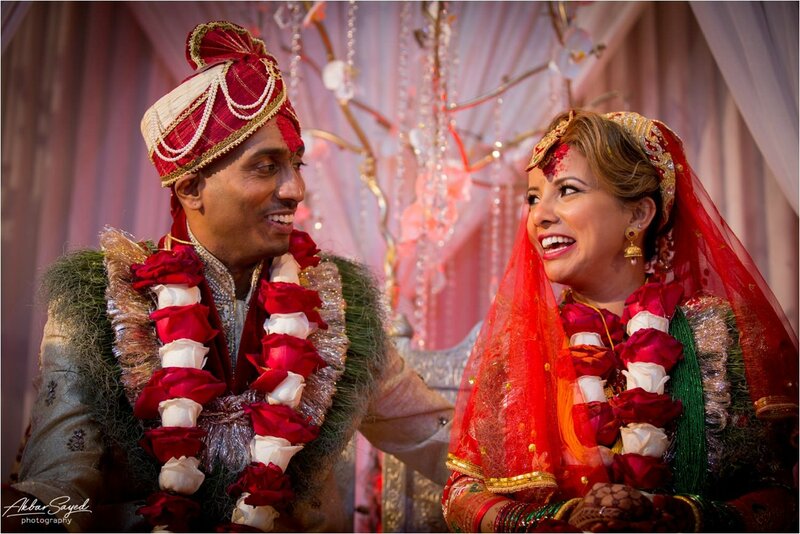 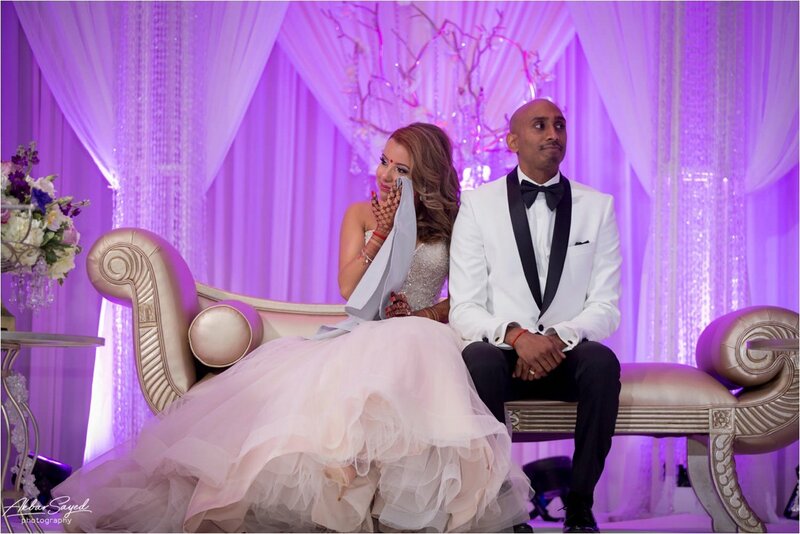 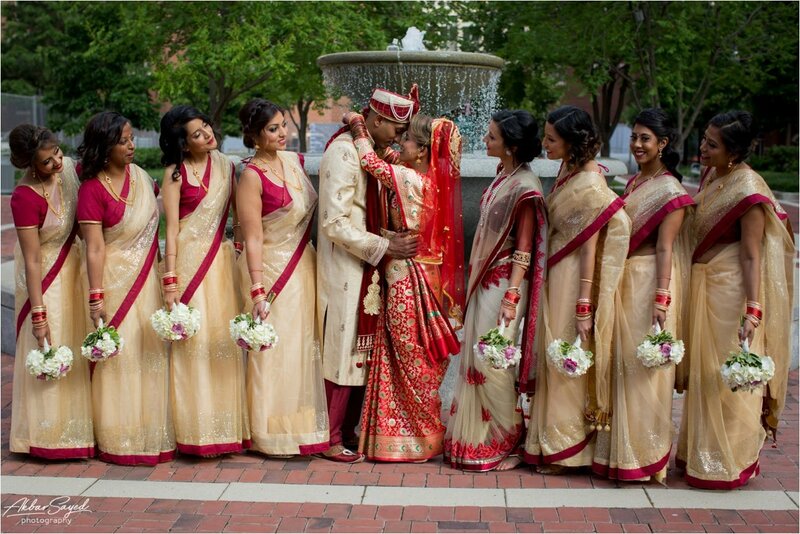 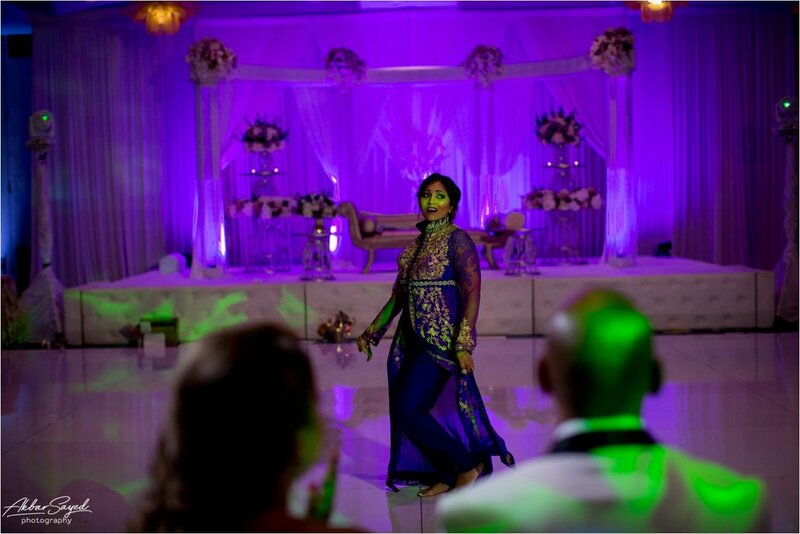 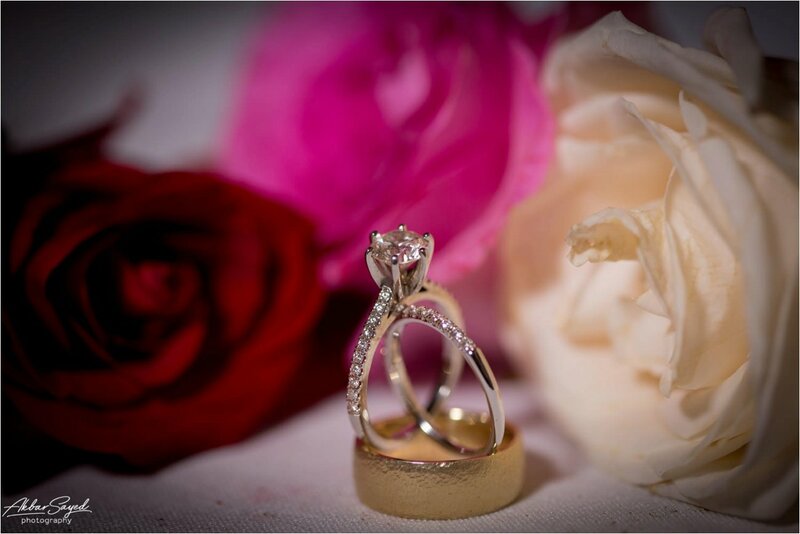 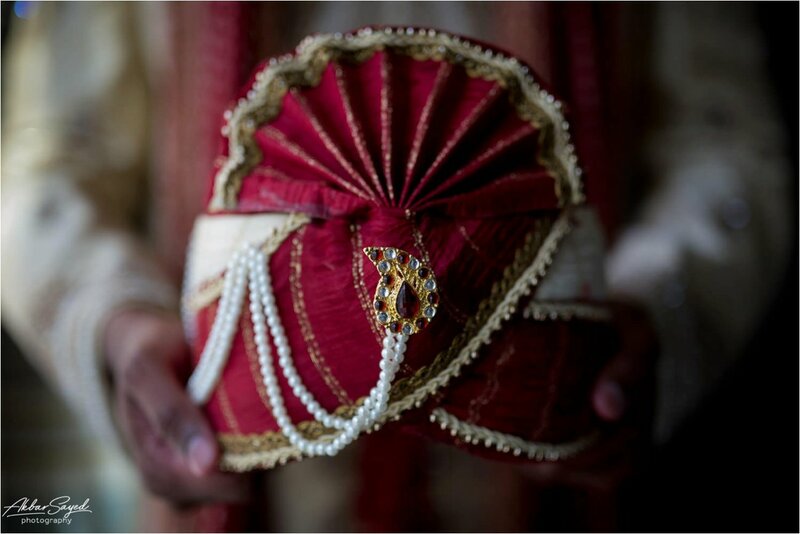 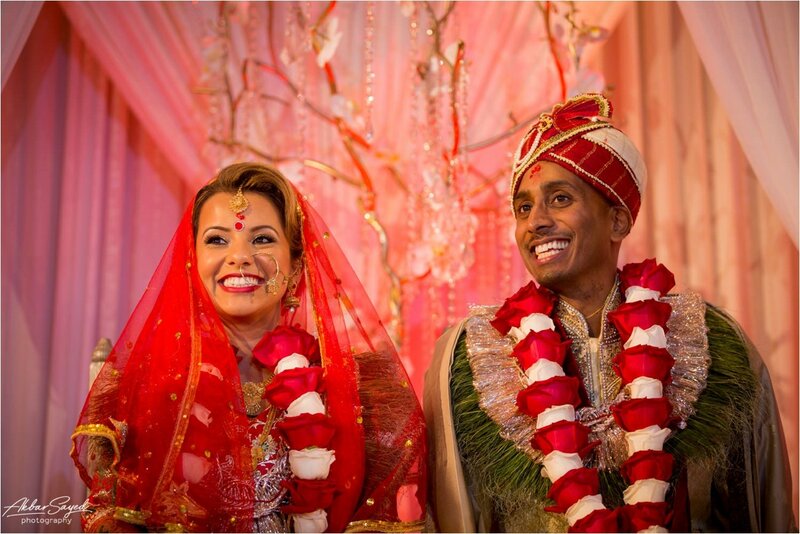 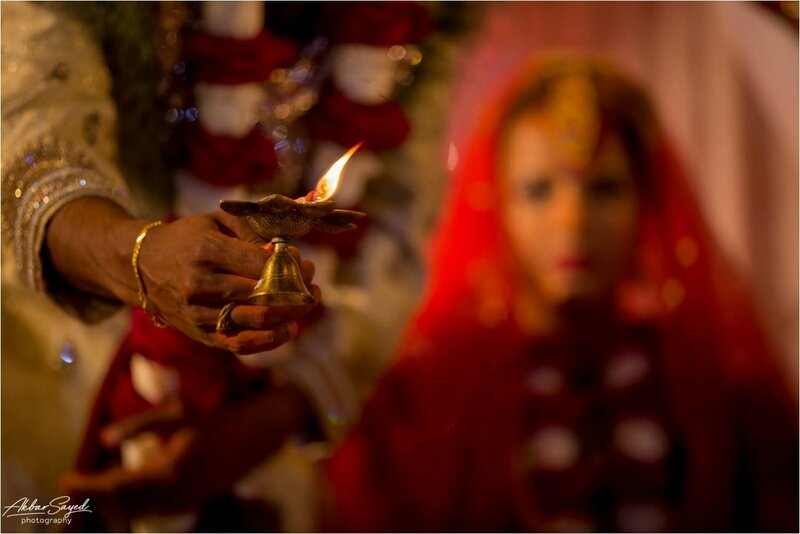 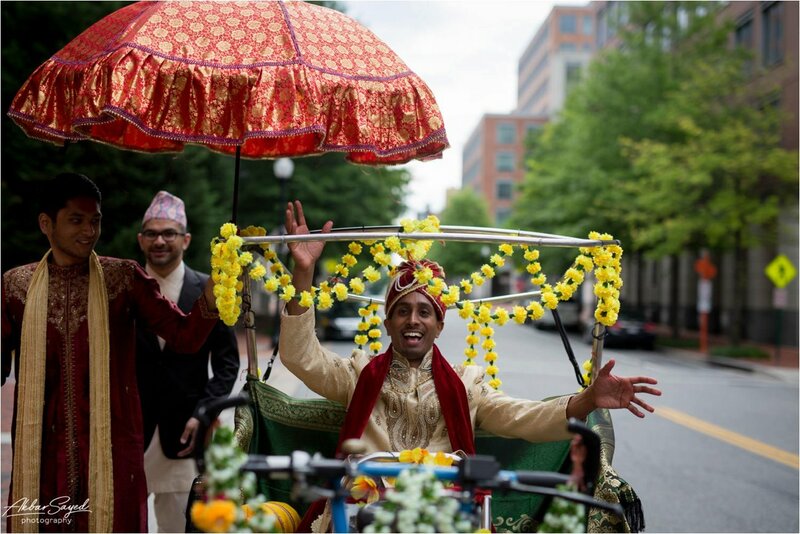 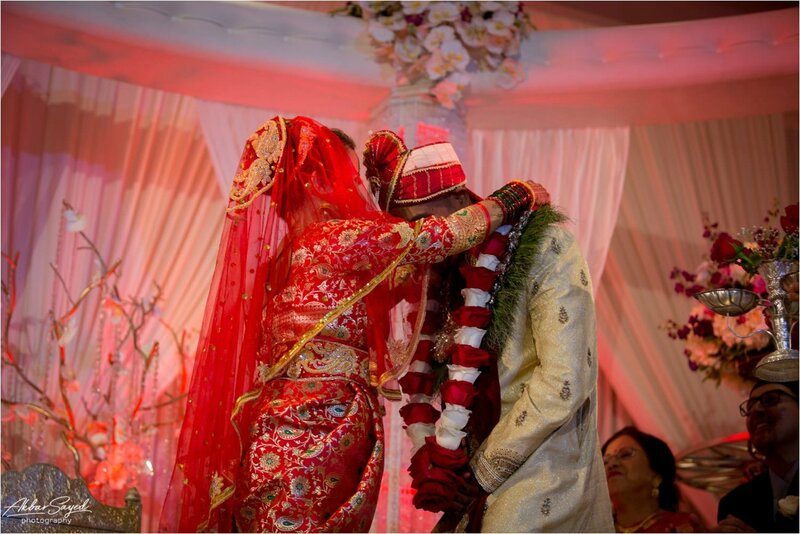 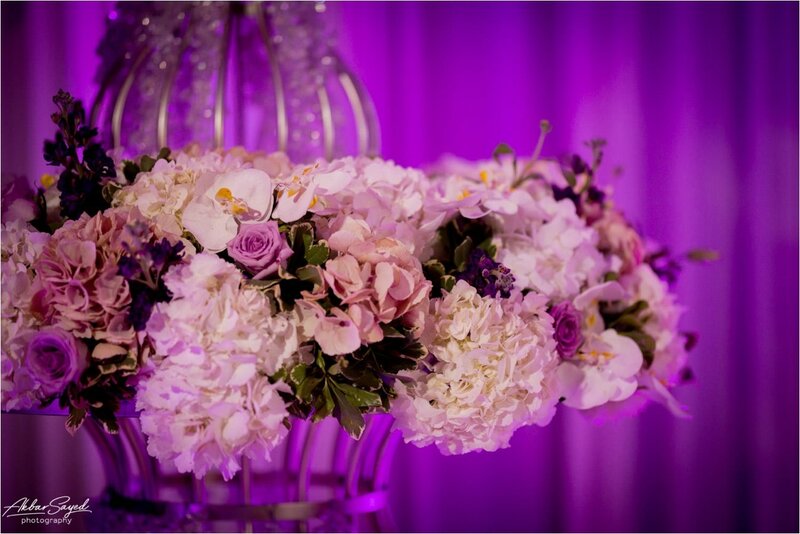 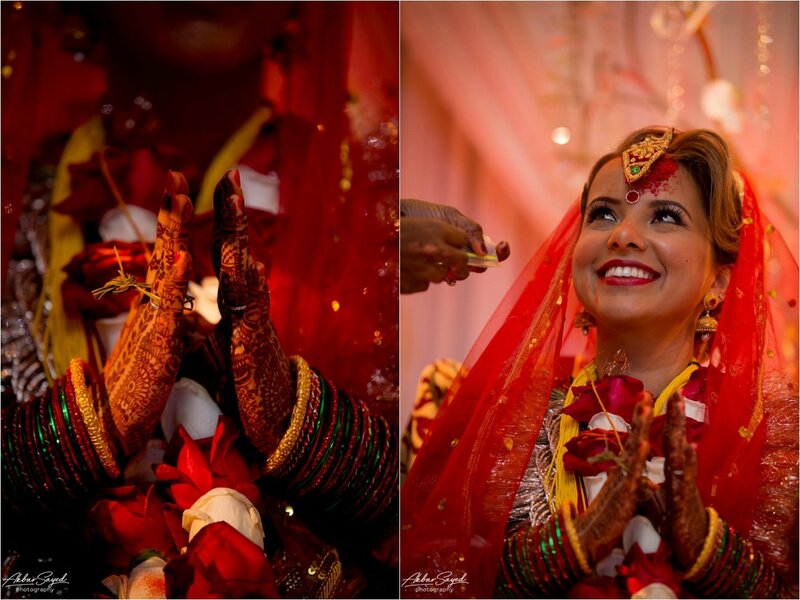 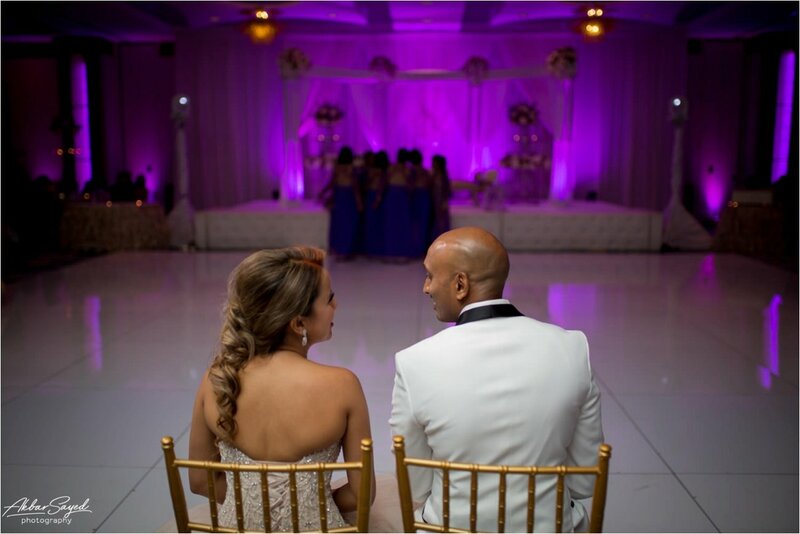 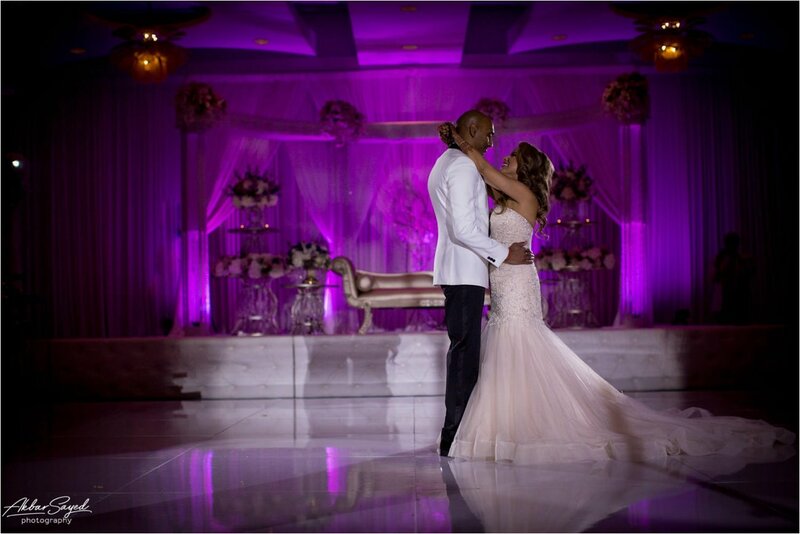 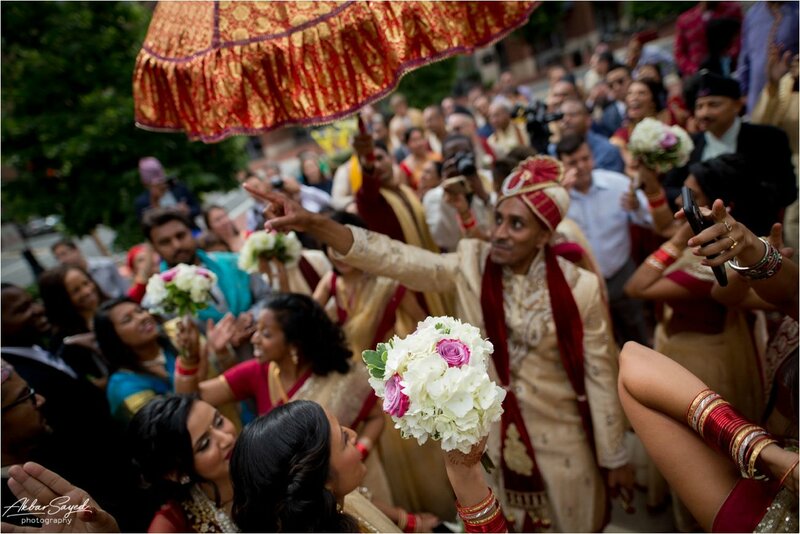 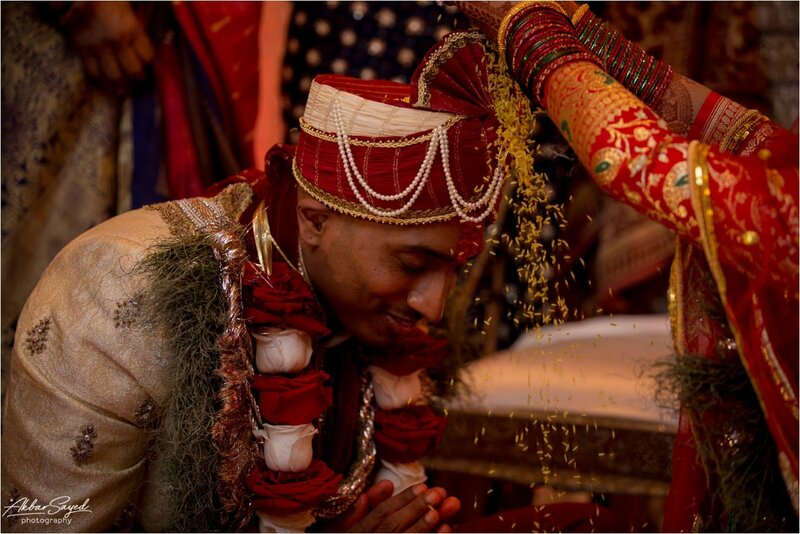 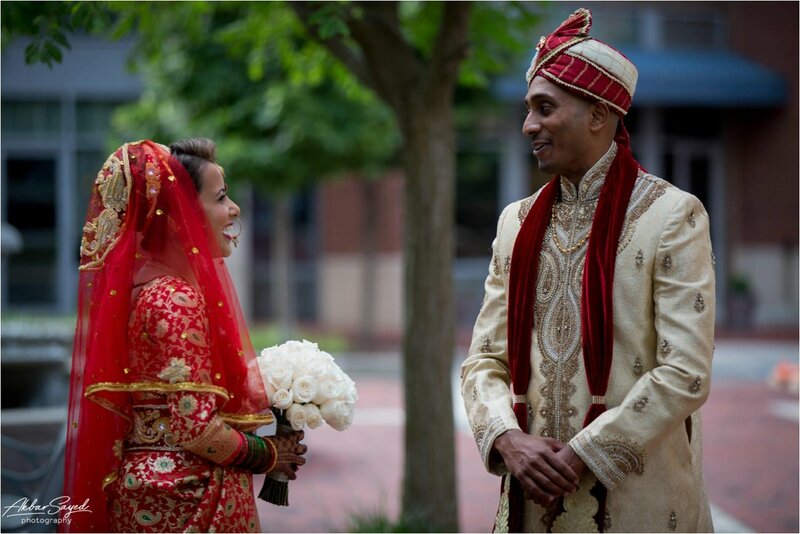 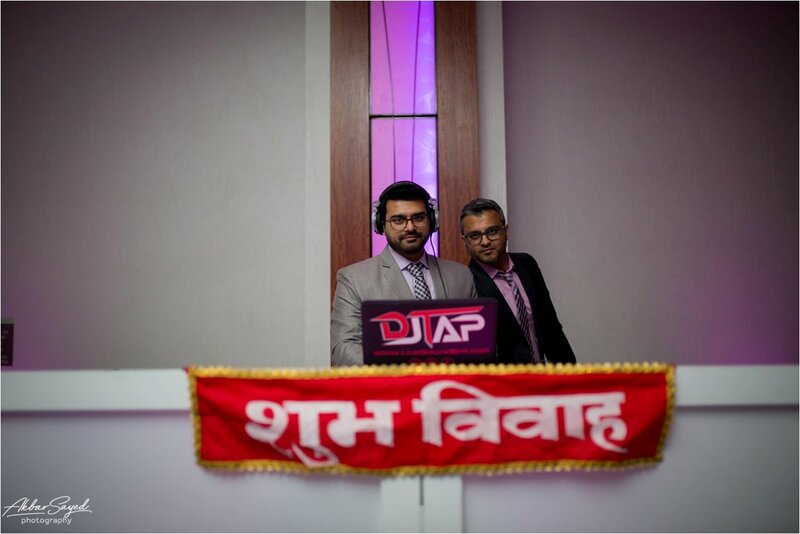 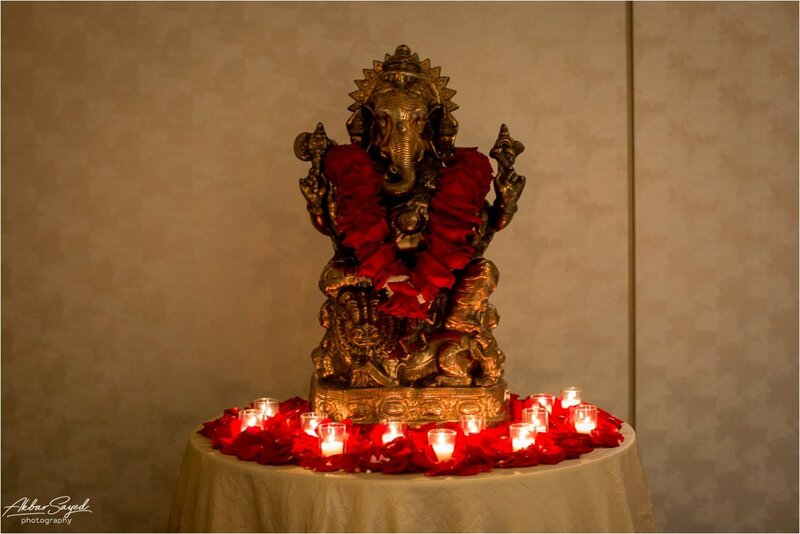 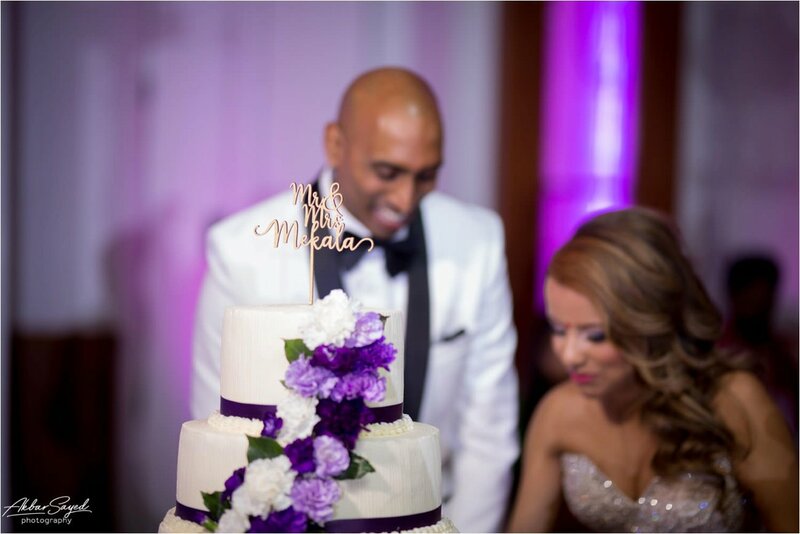 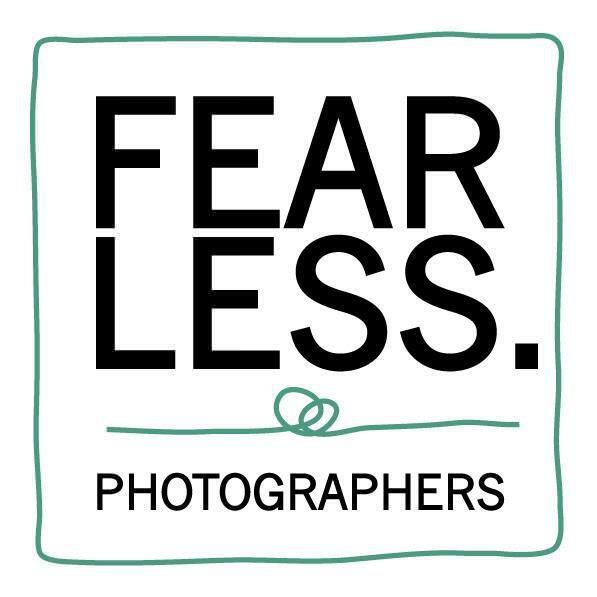 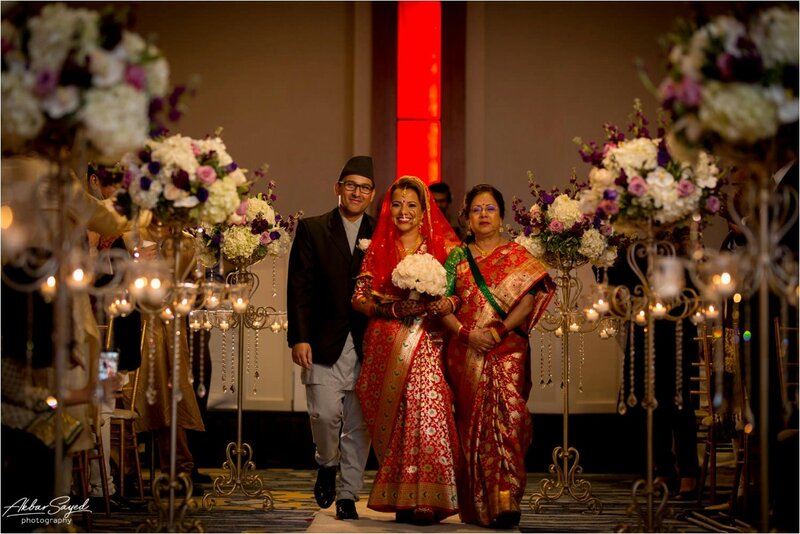 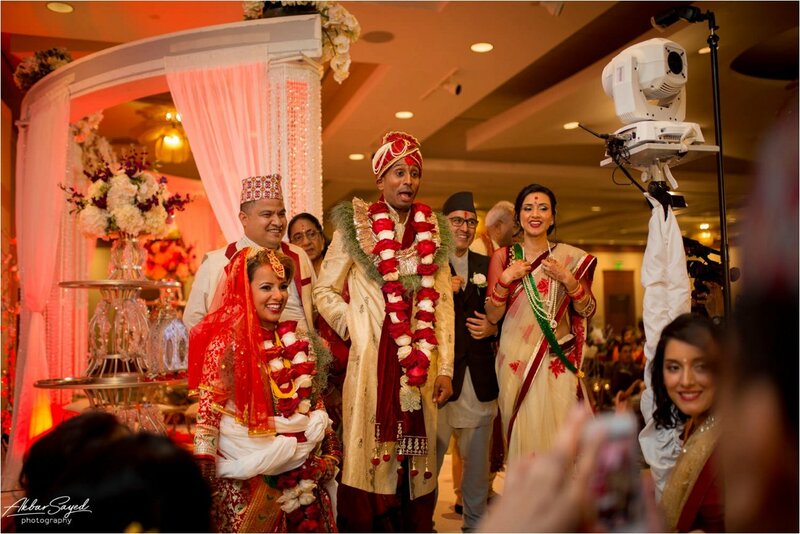 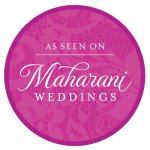 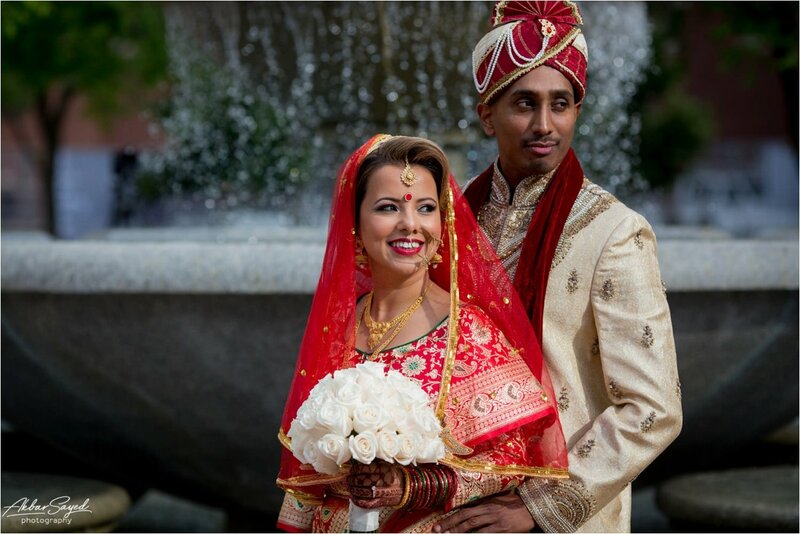 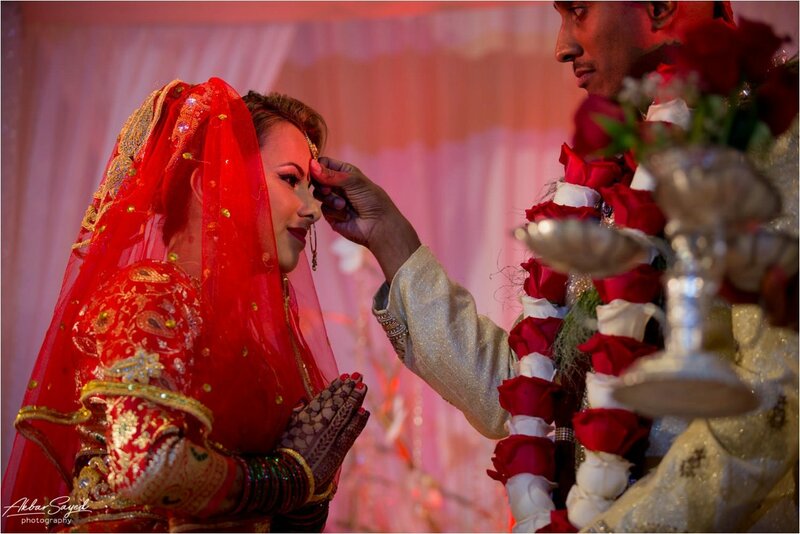 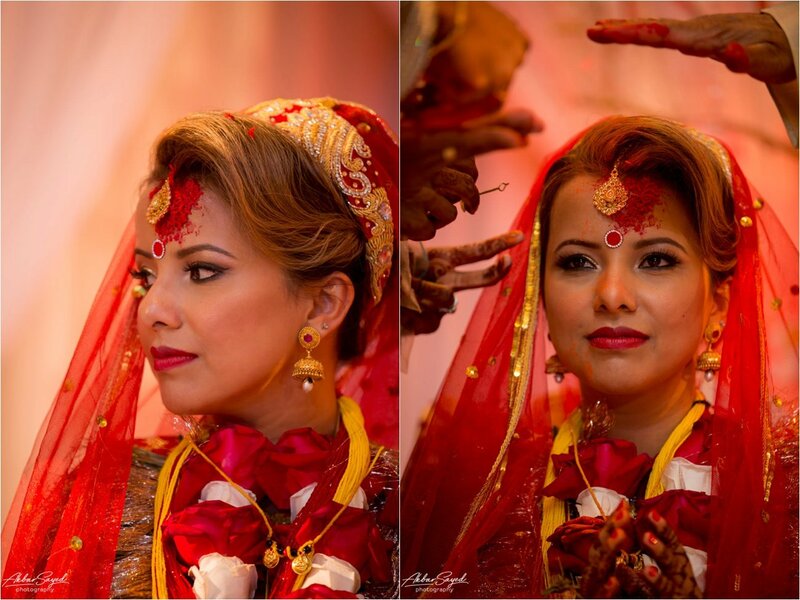 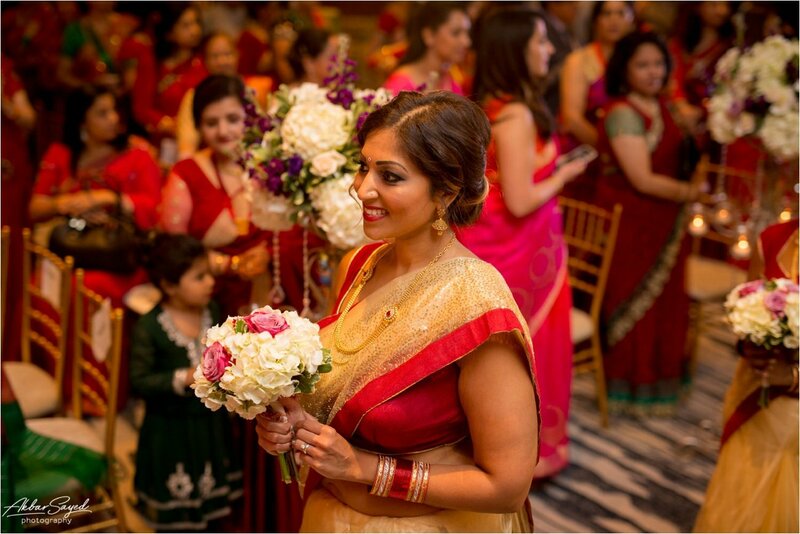 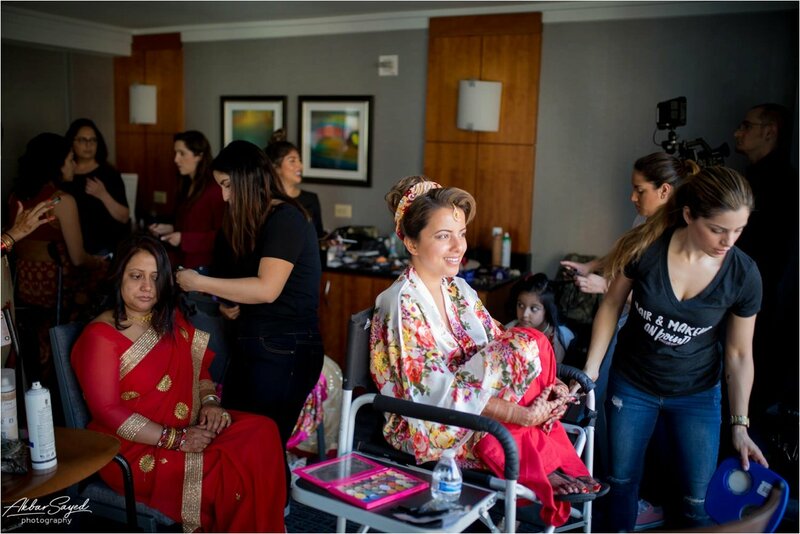 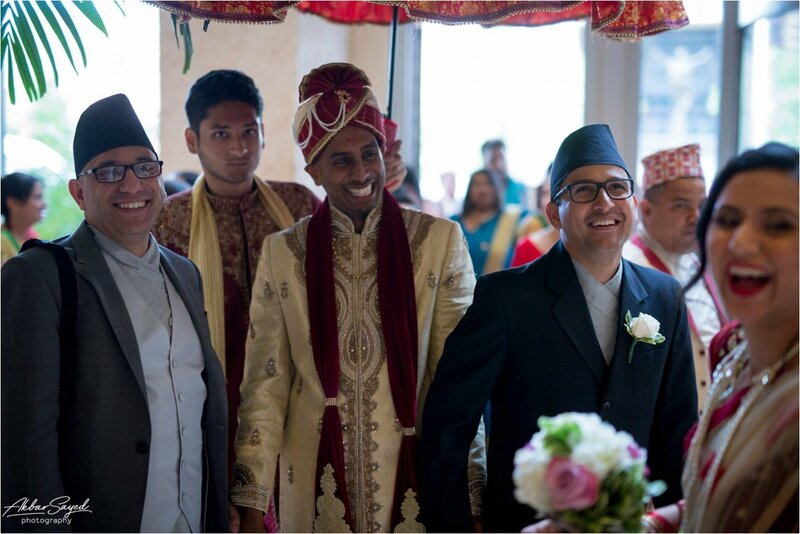 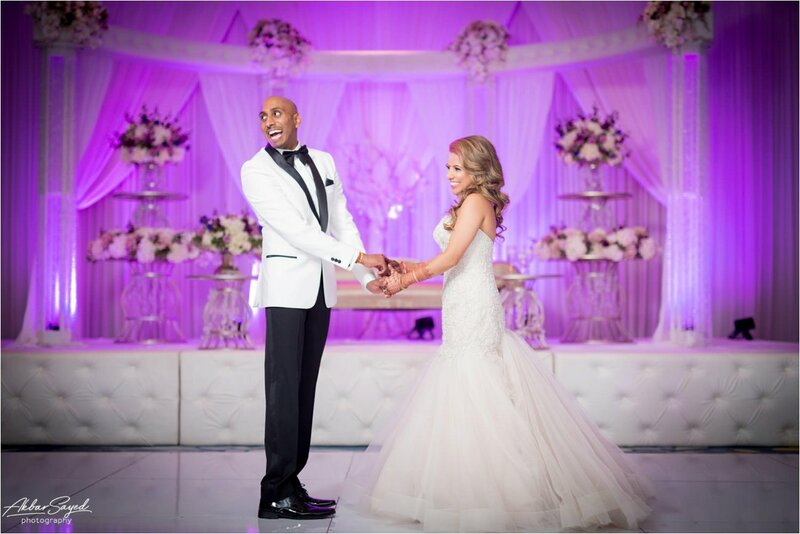 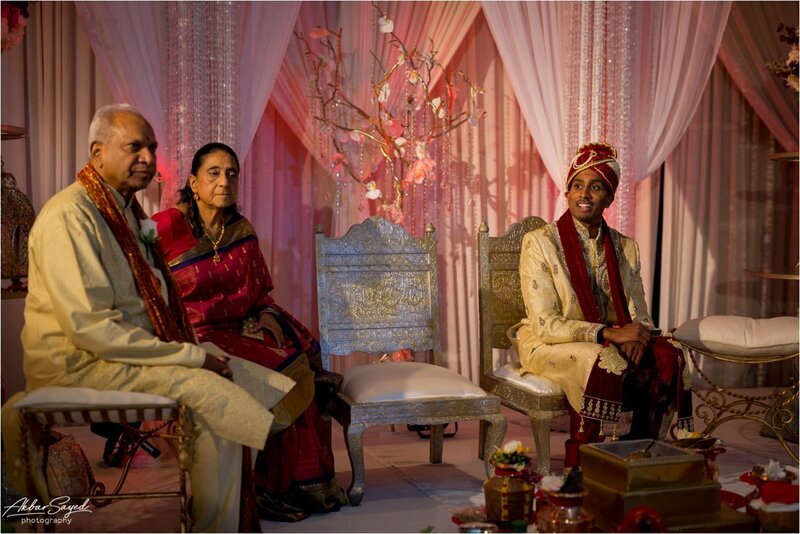 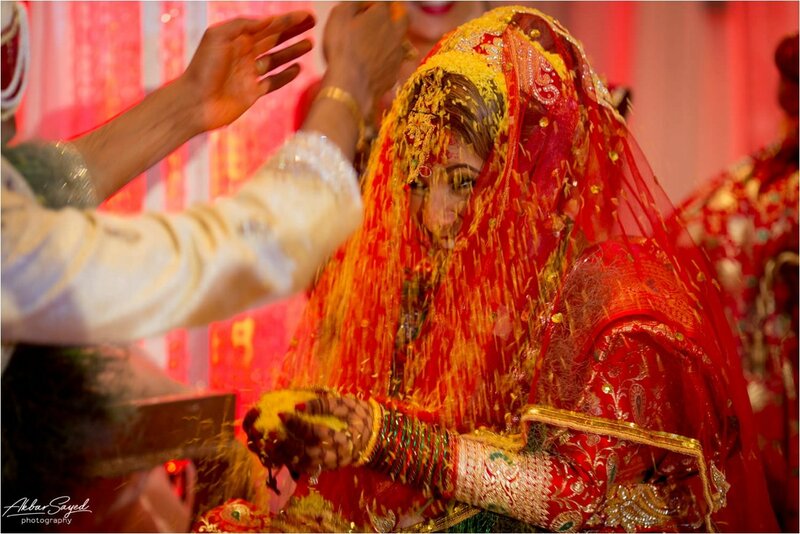 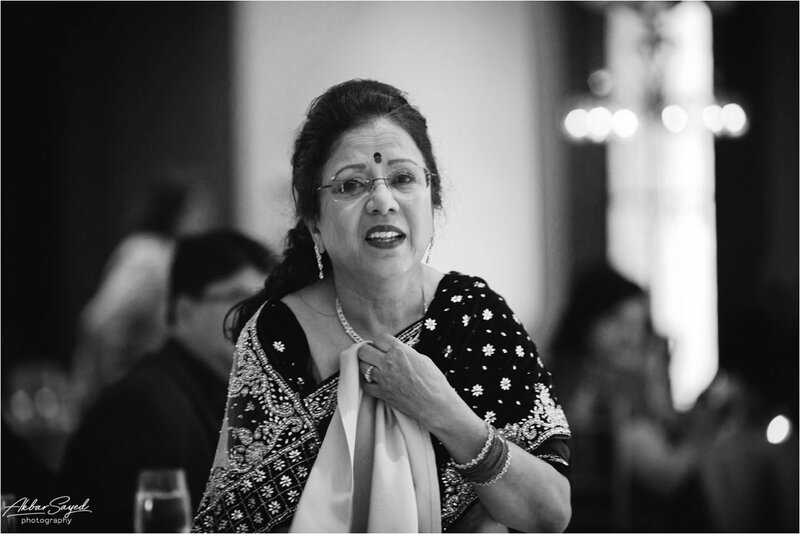 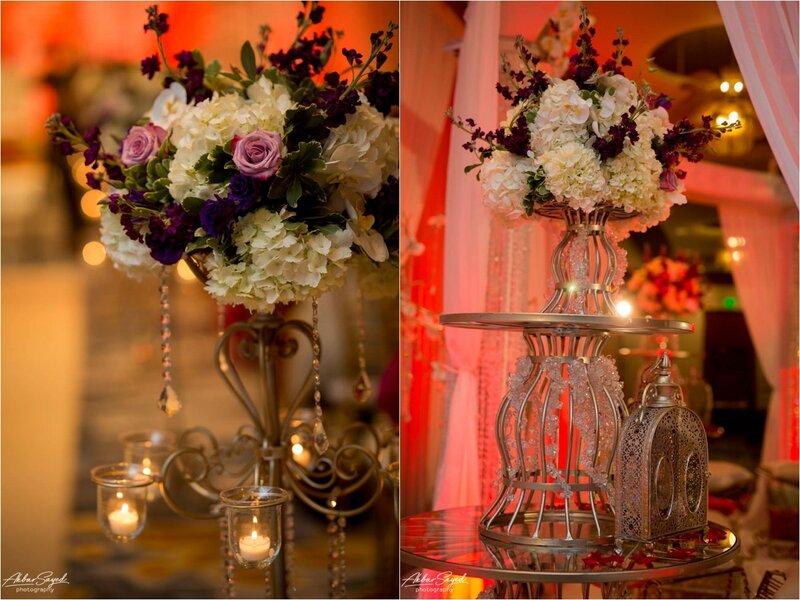 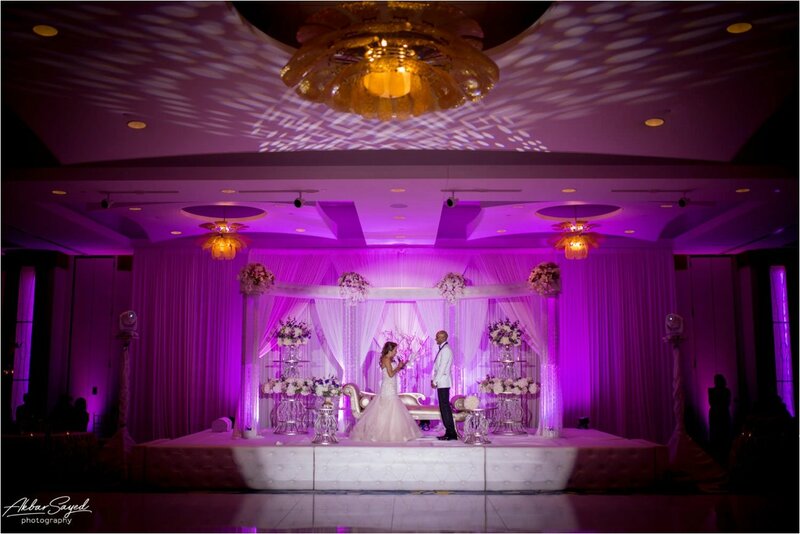 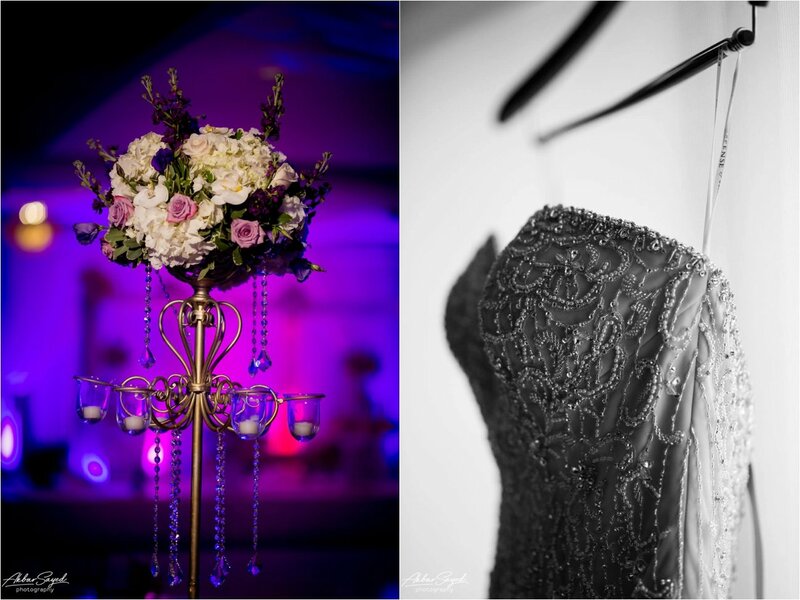 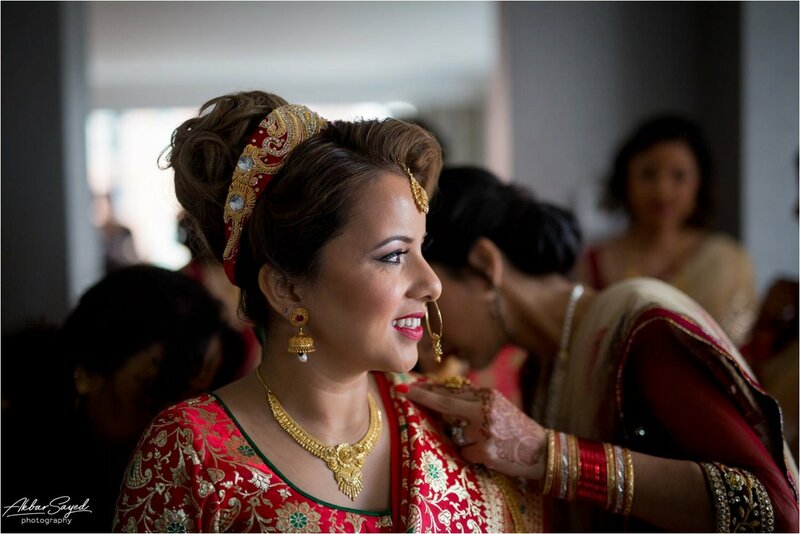 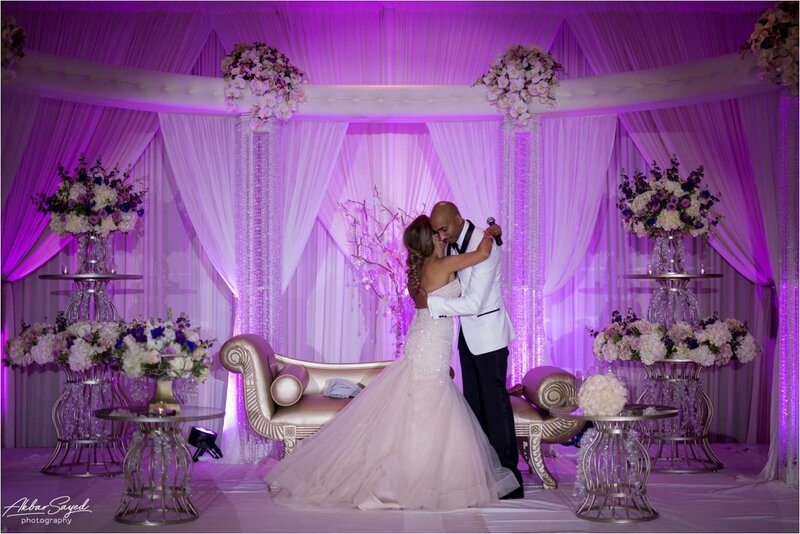 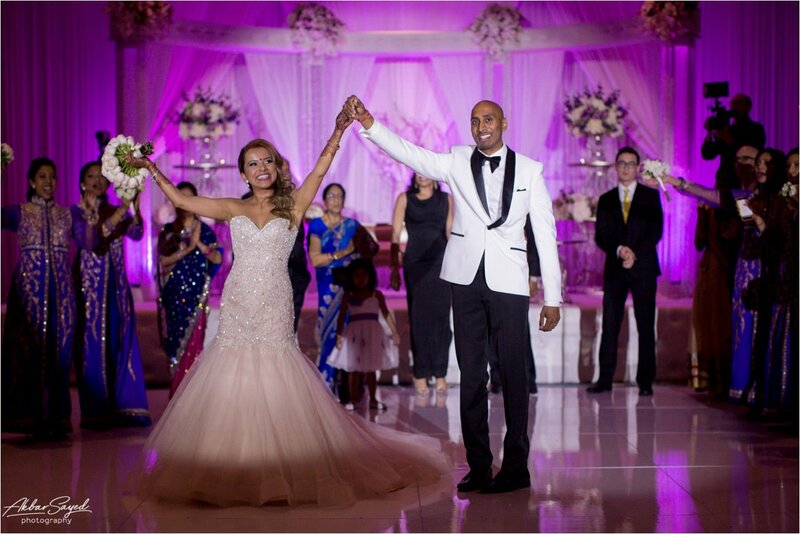 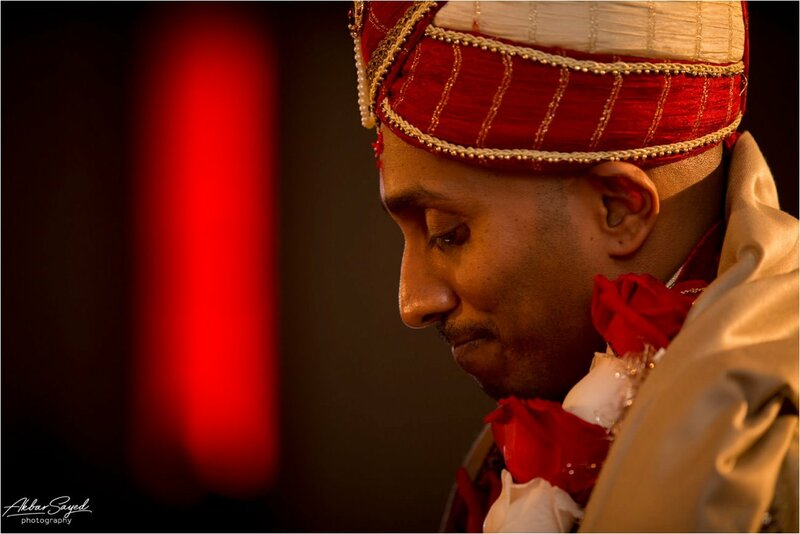 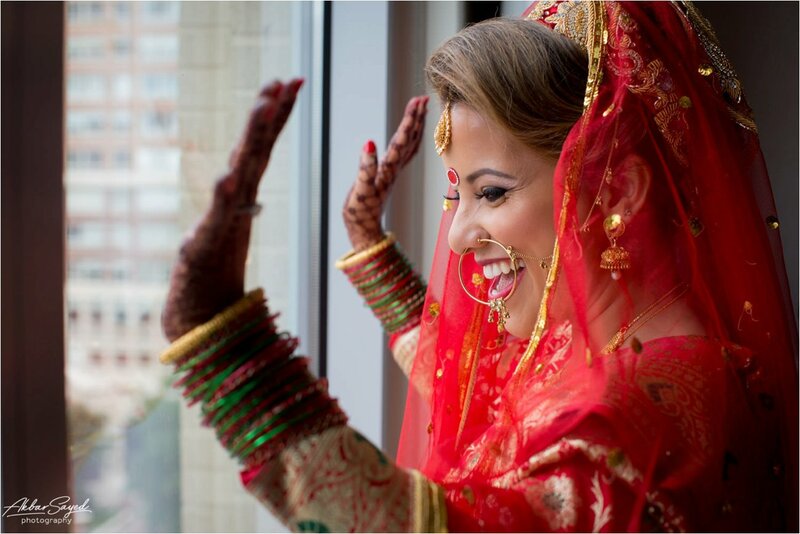 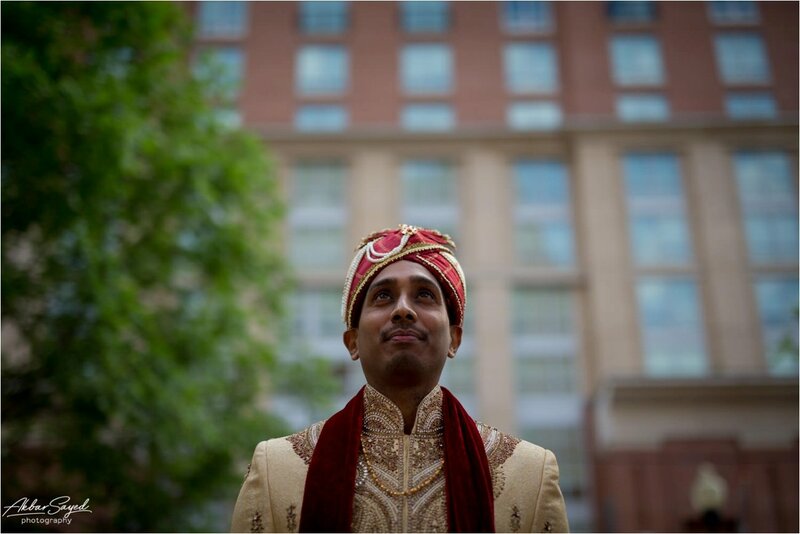 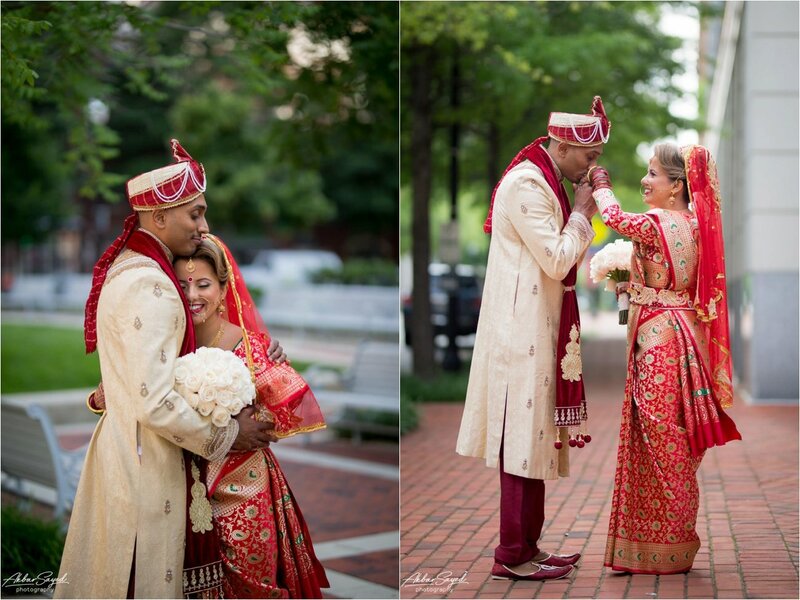 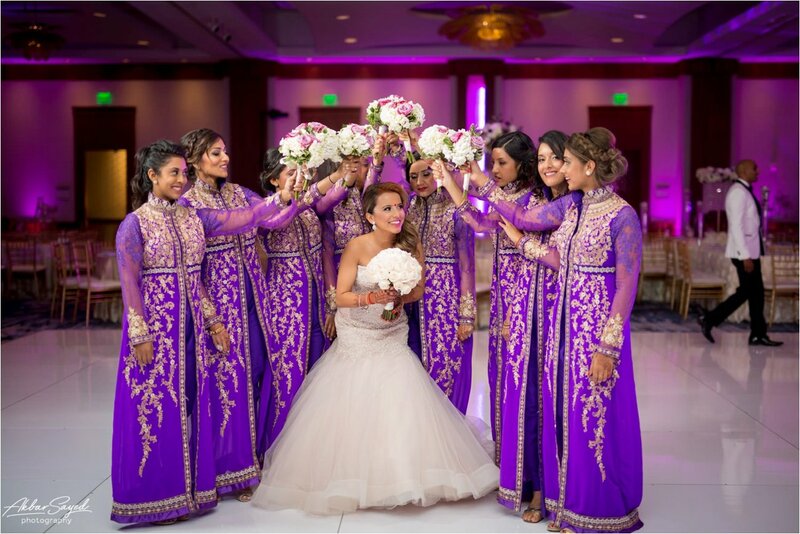 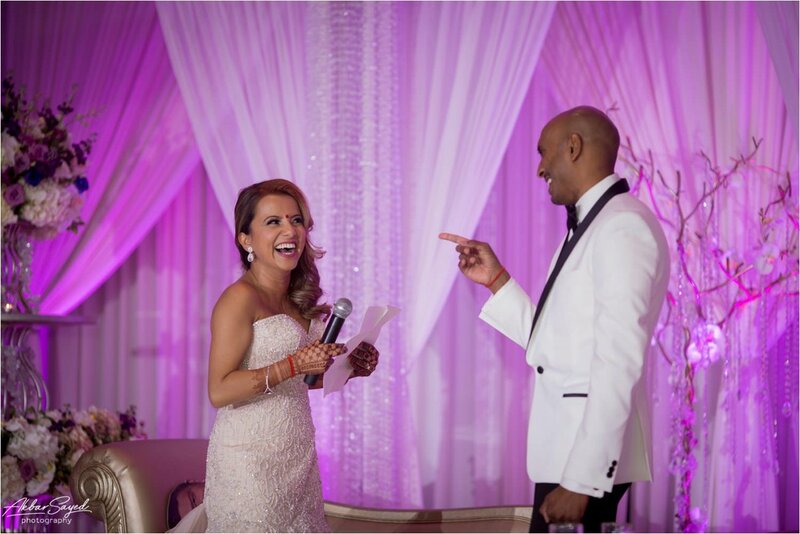 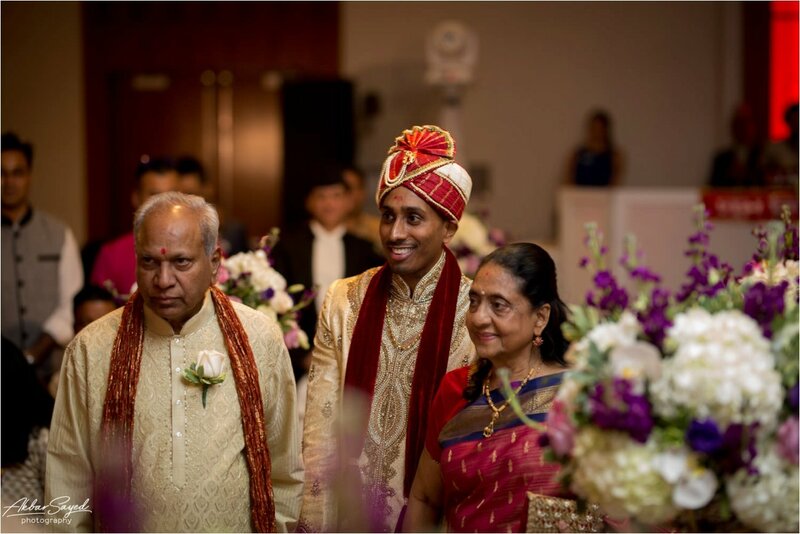 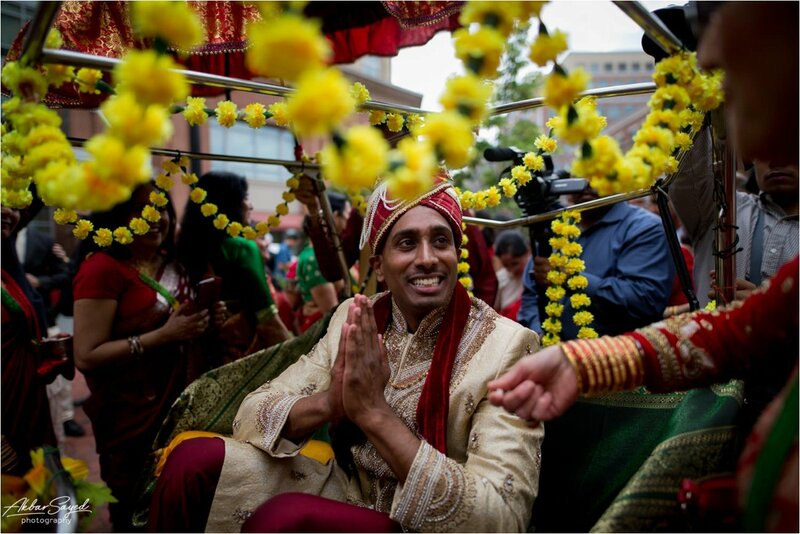 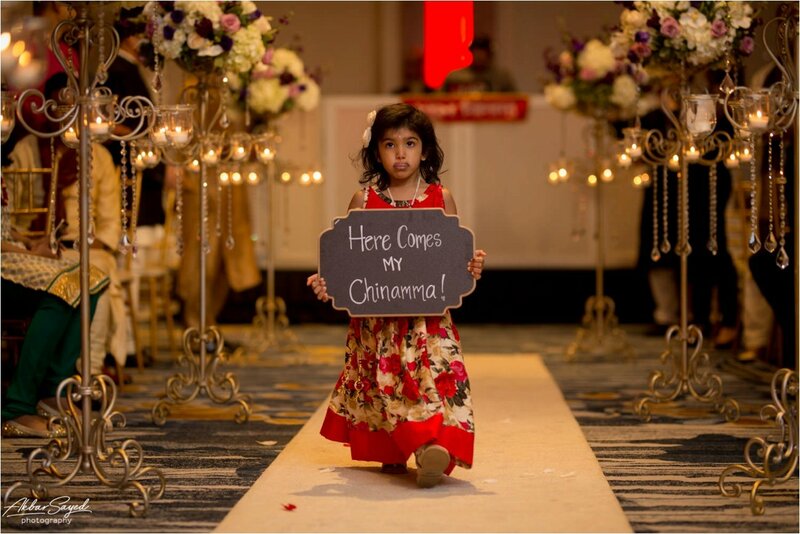 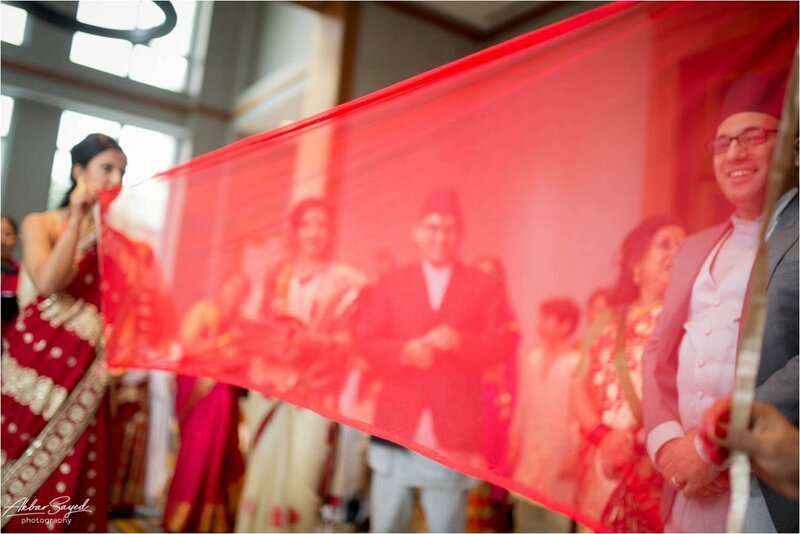 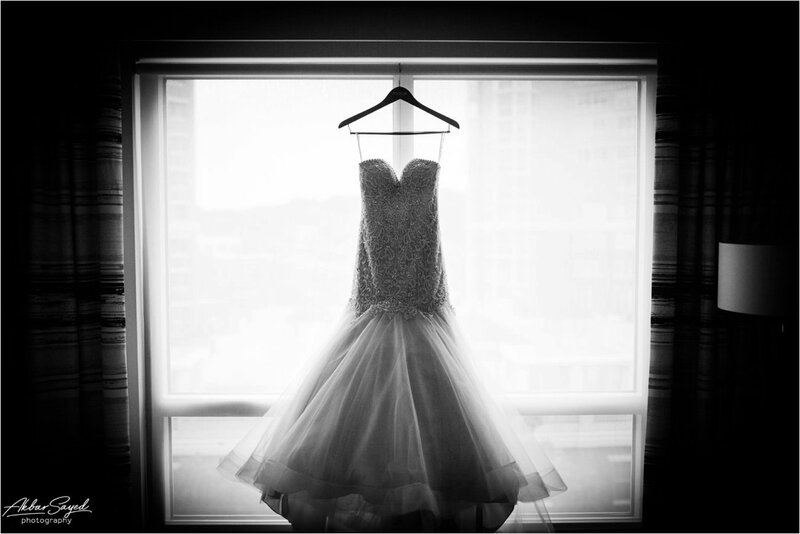 Sharath & Arjoo, thank you for letting us document your wonderful, unforgettable wedding. 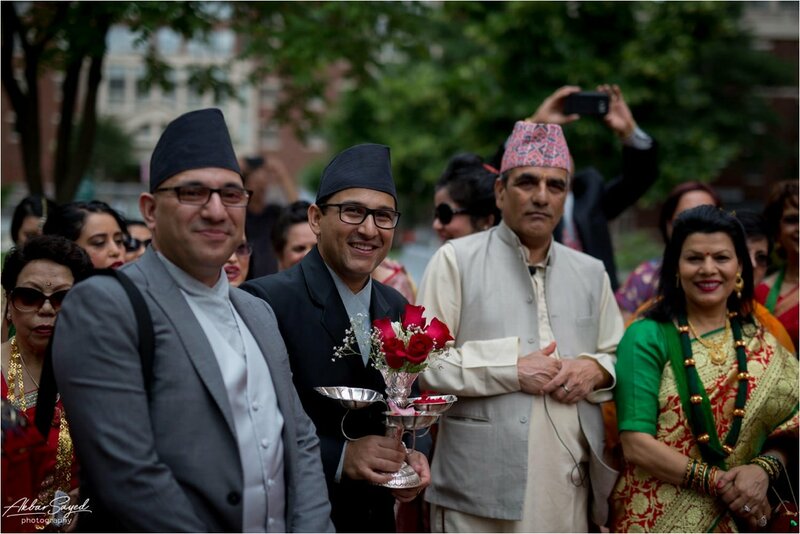 From beginning to end, the whole day was filled with fun, and everyone from the families to the vendors was filled with the warmth and kindness you share. 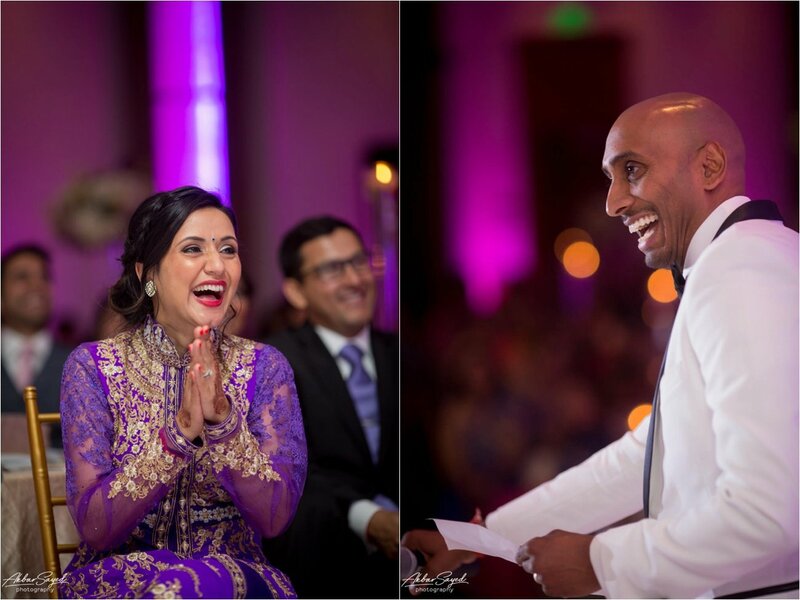 You two are such a joy to be around!